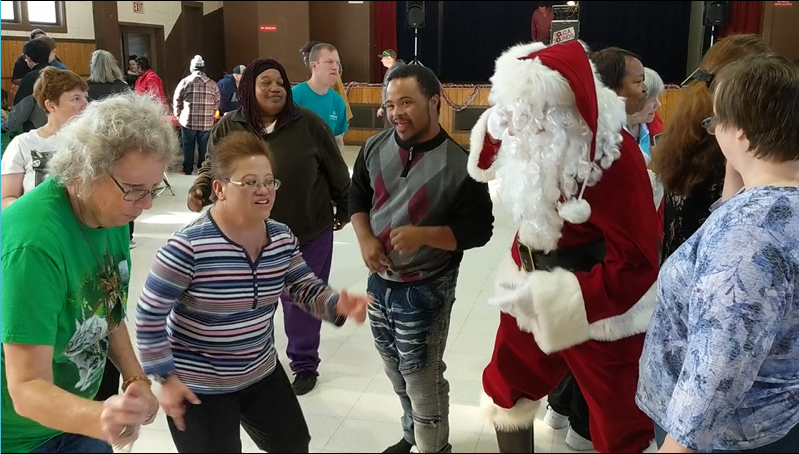 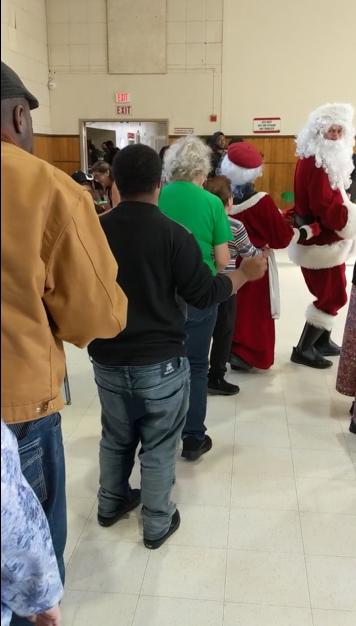 Everyone had fun, especially Mrs. Claus! 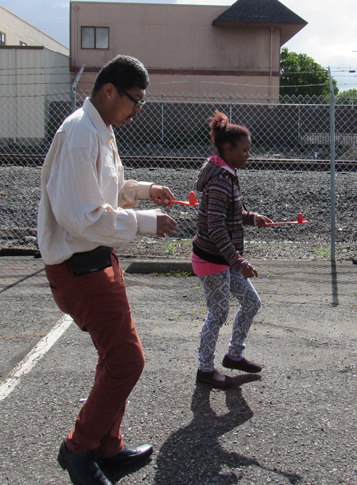 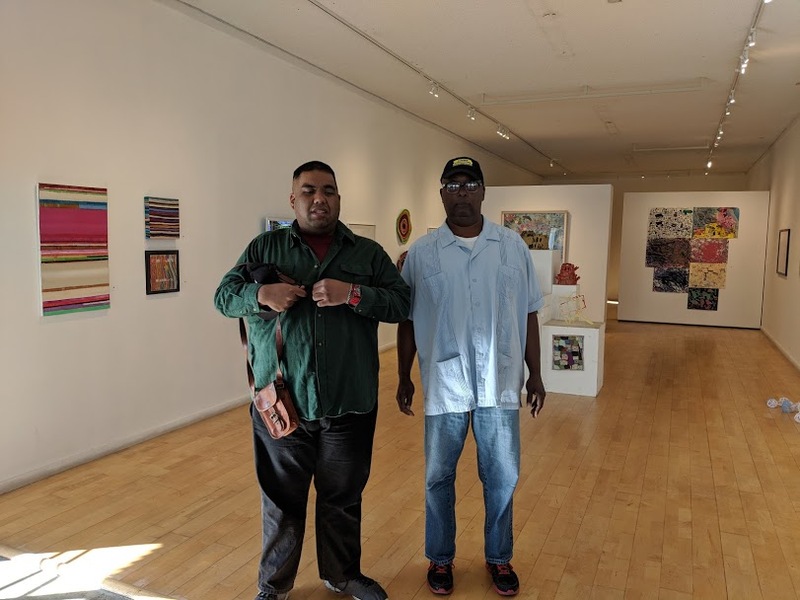 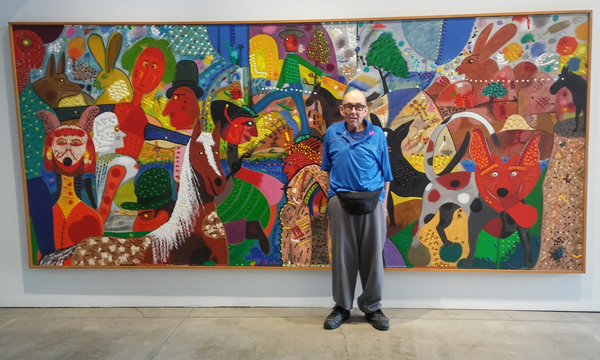 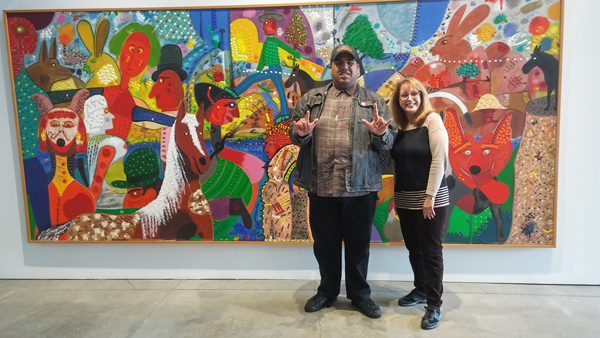 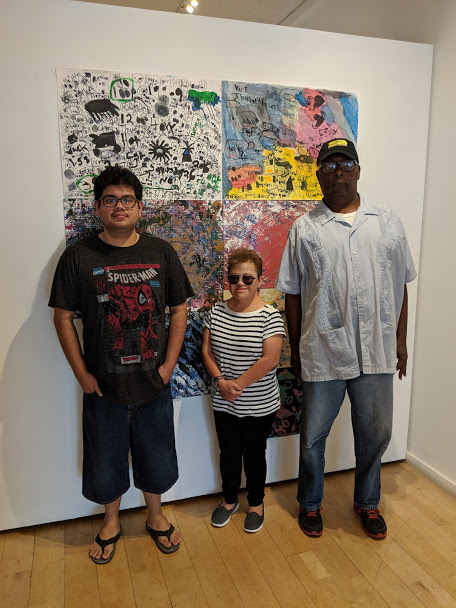 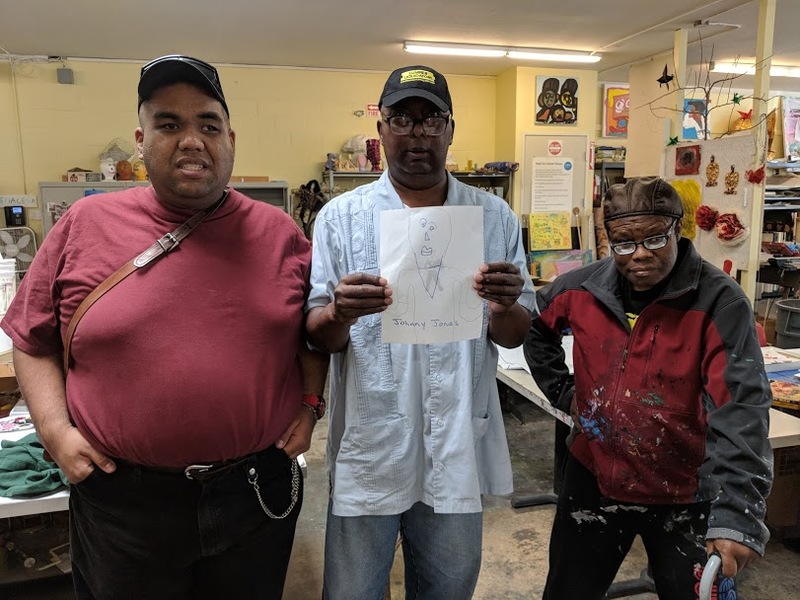 Art@Arc students and staff took a field trip to NIAD Art Center in Richmond, CA. 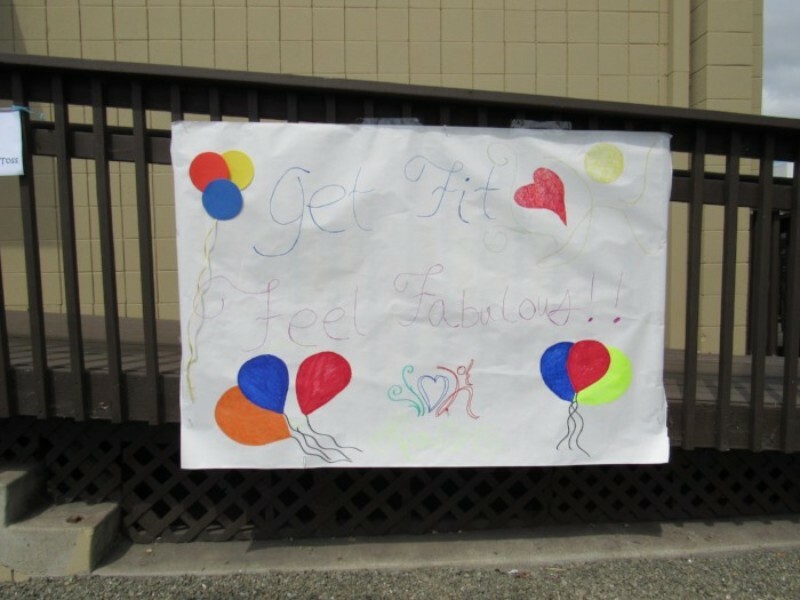 It was very inspirational. 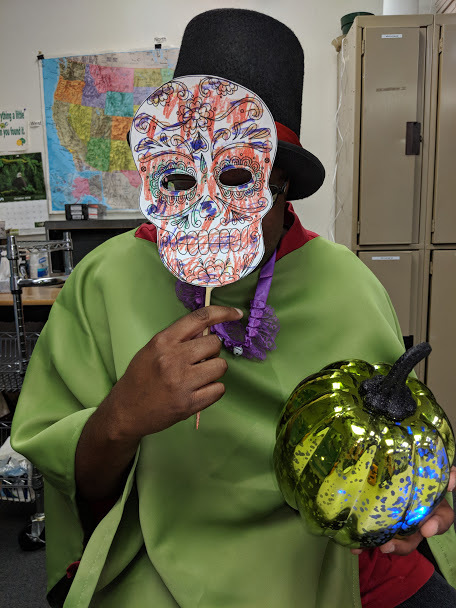 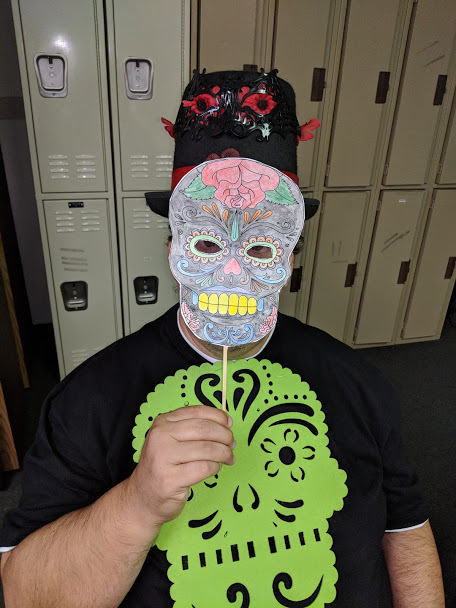 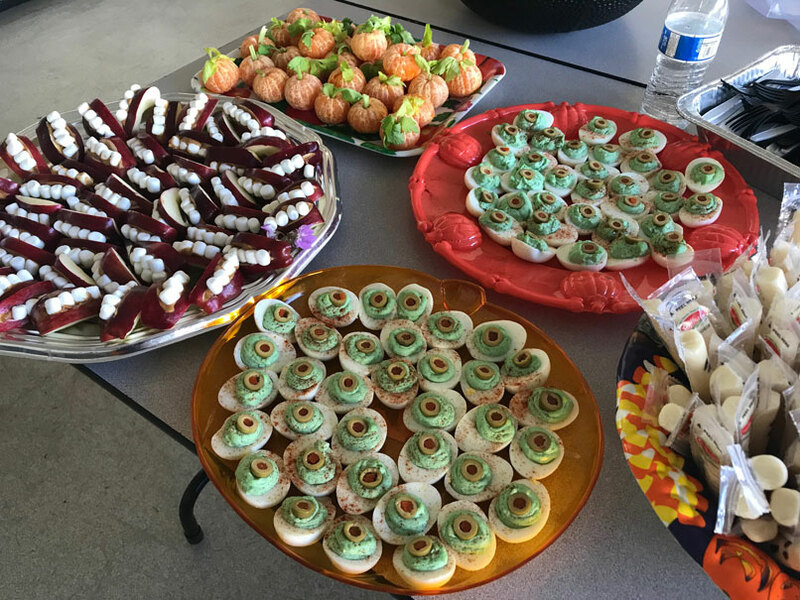 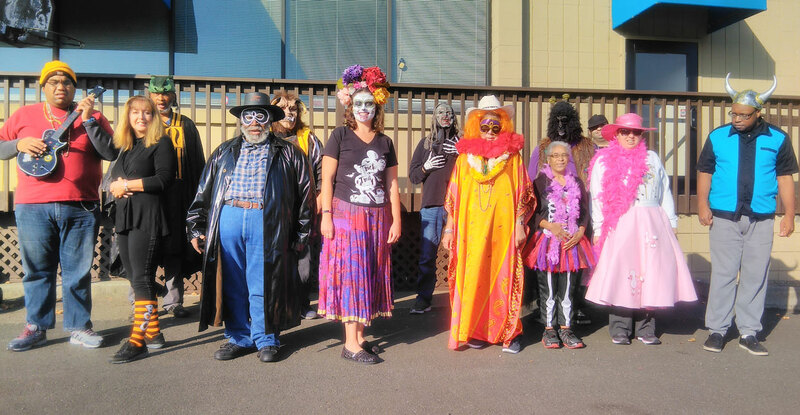 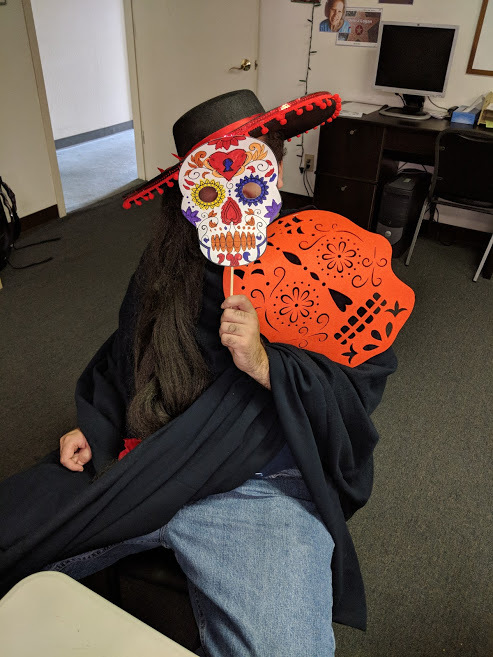 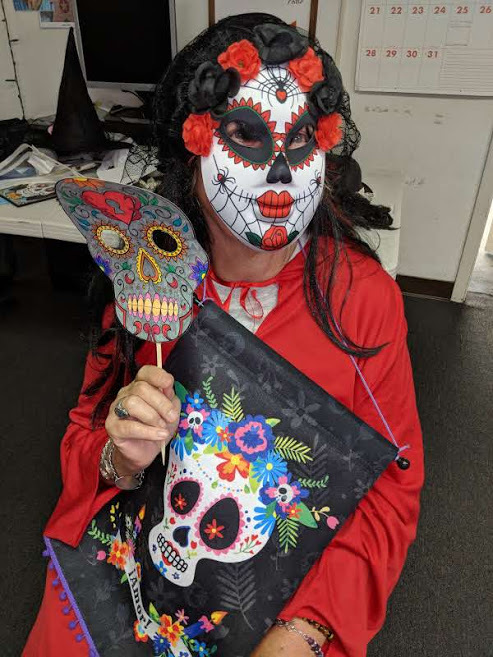 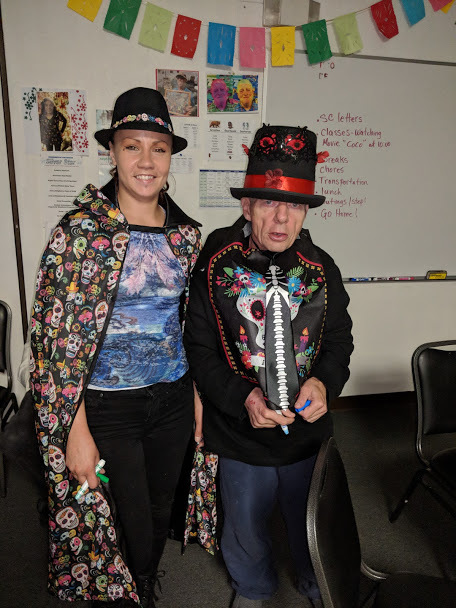 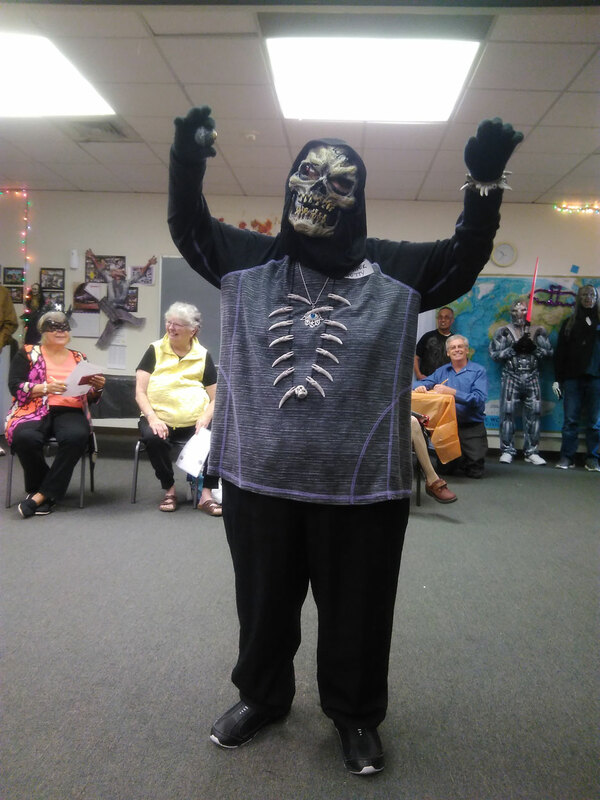 Day of the Dead at The Arc-Solano! 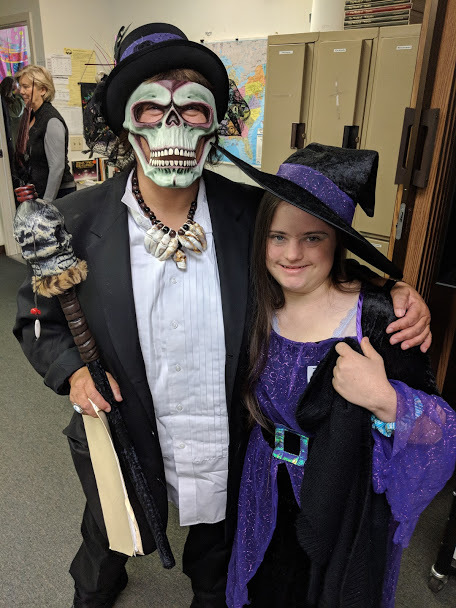 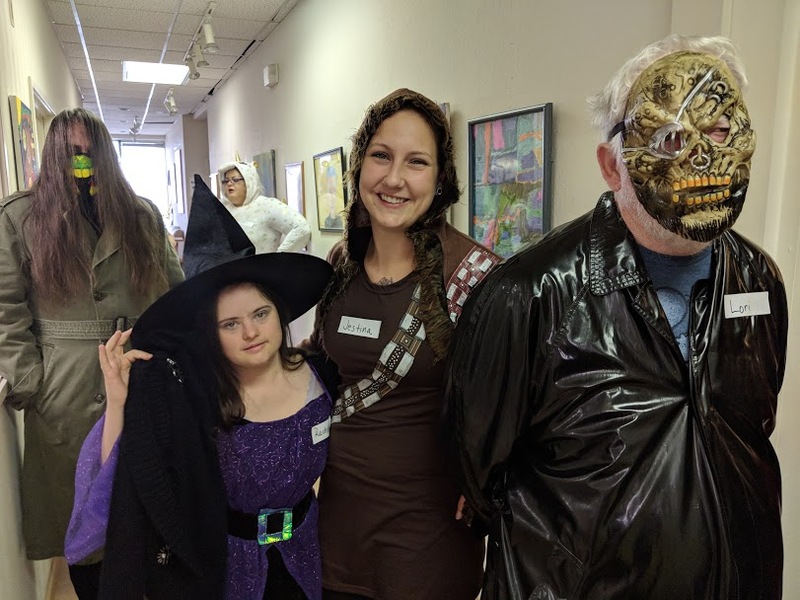 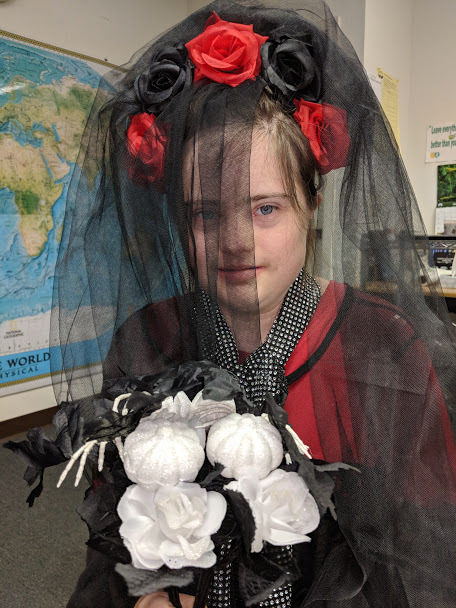 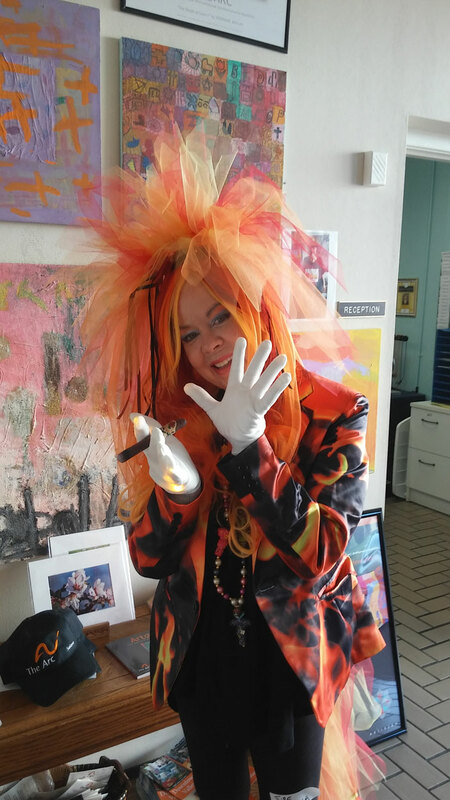 Funny, Scary, Creative; it was all good fun at the Halloween costume contest, followed by a Halloween dance at the GVRD. 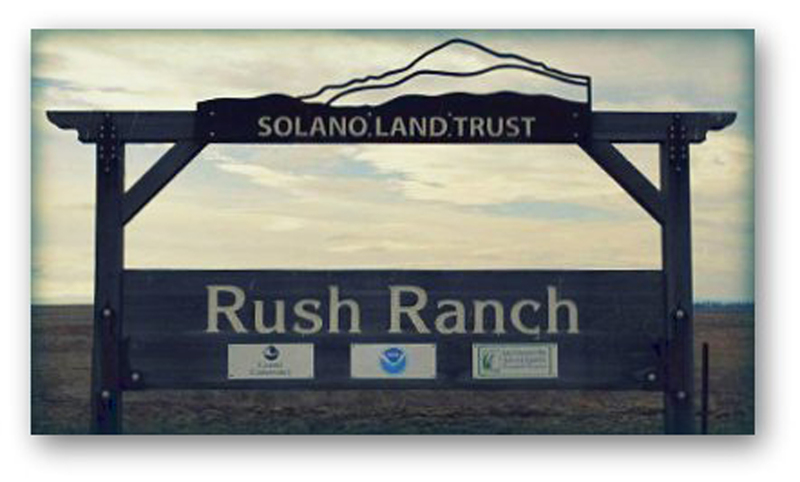 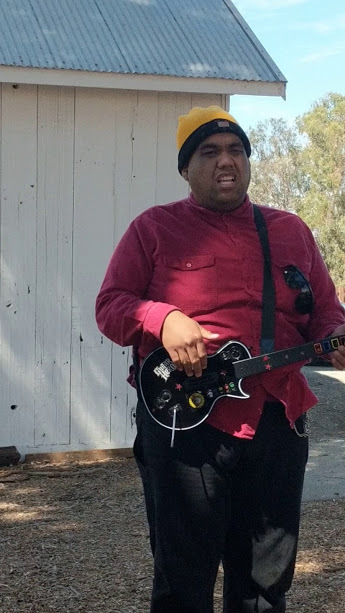 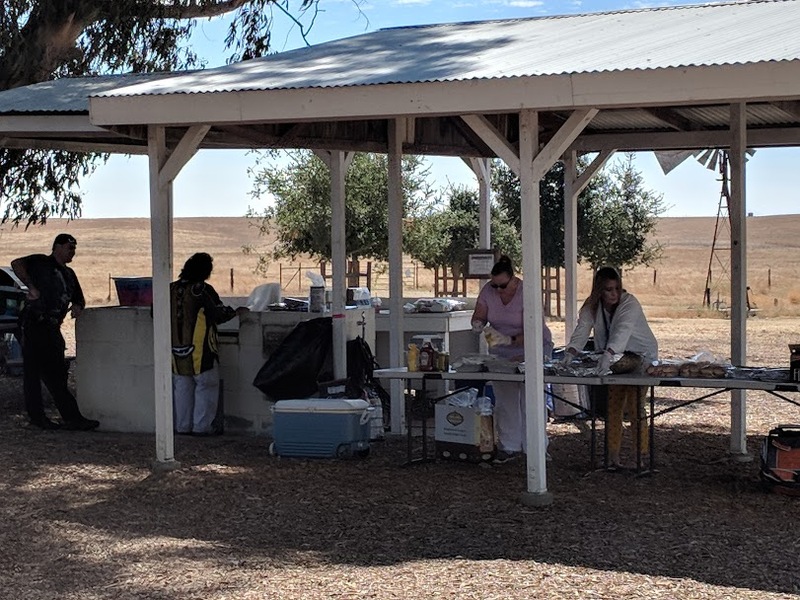 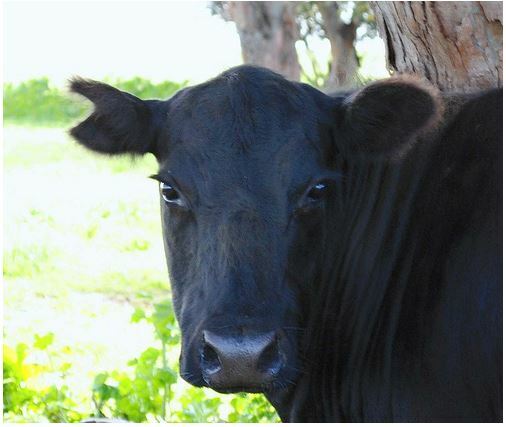 This year, our annual BBQ was held at the Rush Ranch in Suisun City, CA. 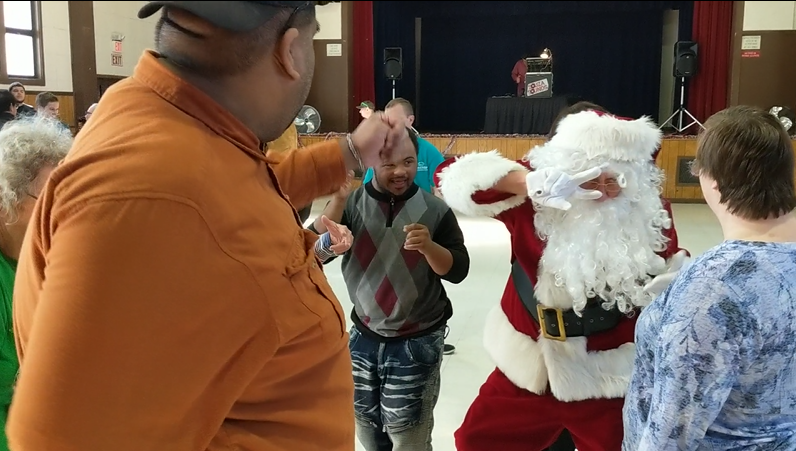 It was a huge success; the highlight of the event was the Talent Show. 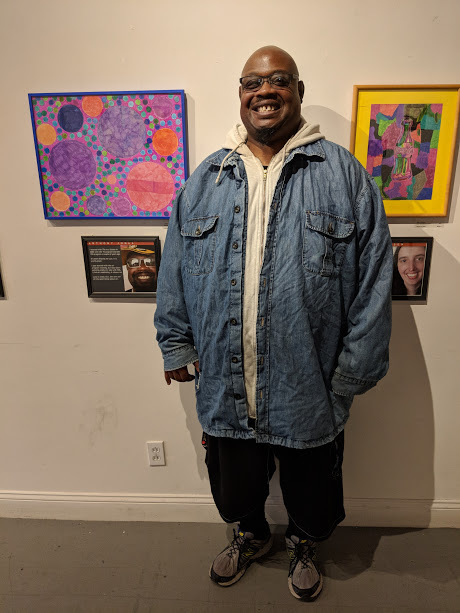 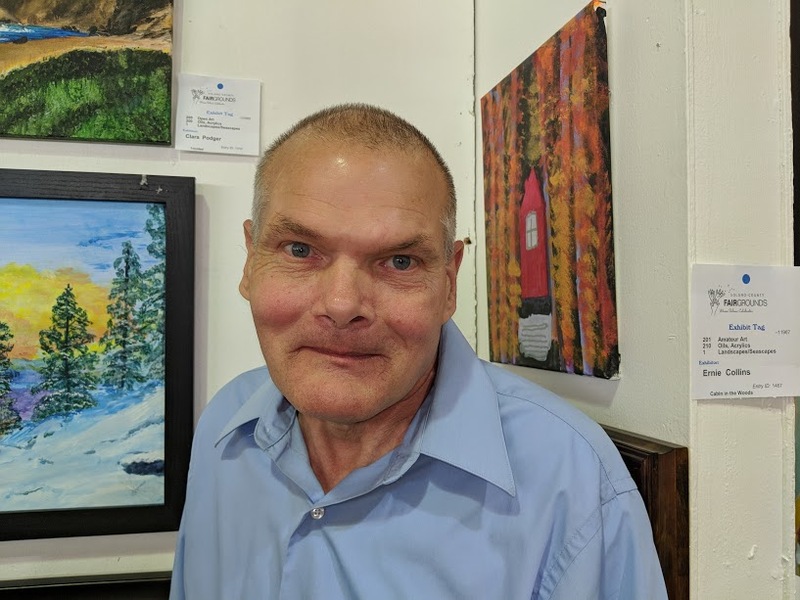 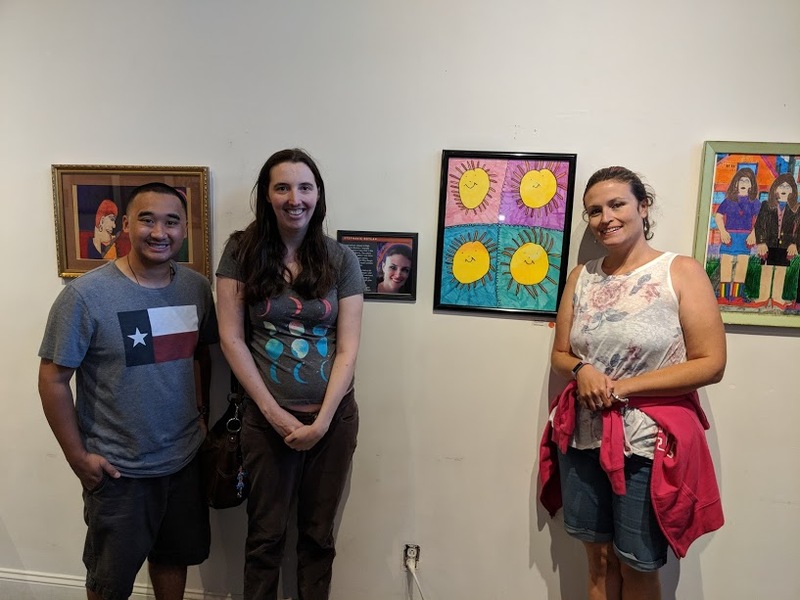 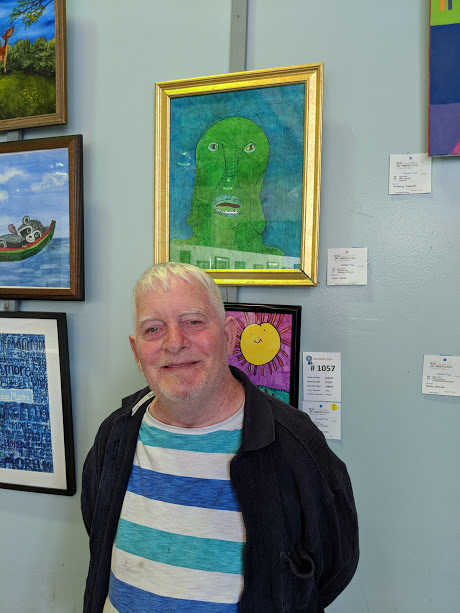 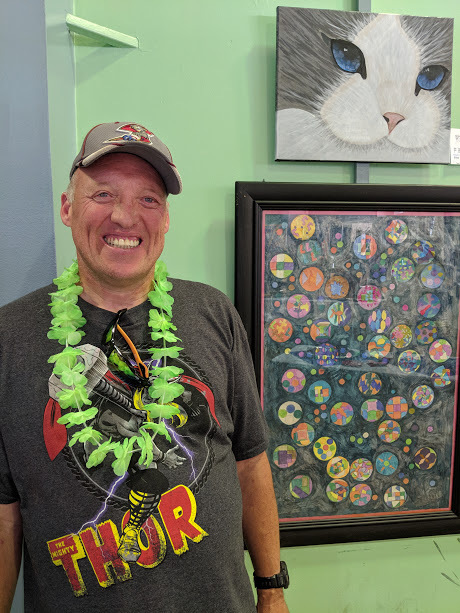 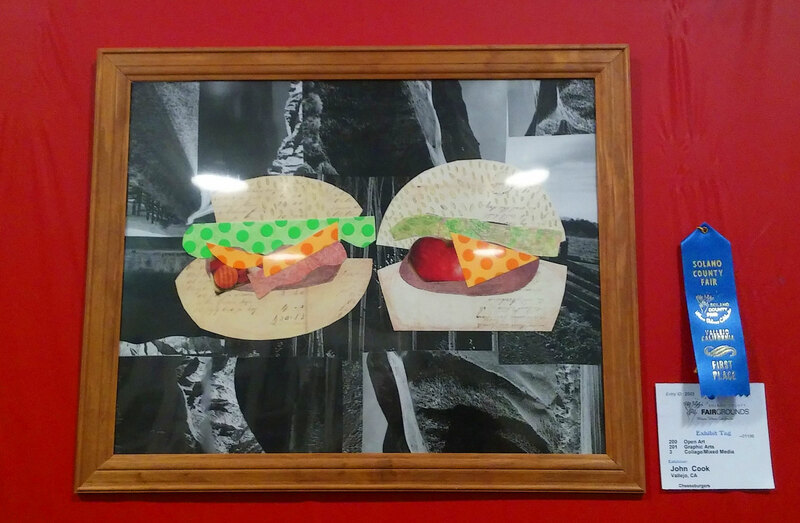 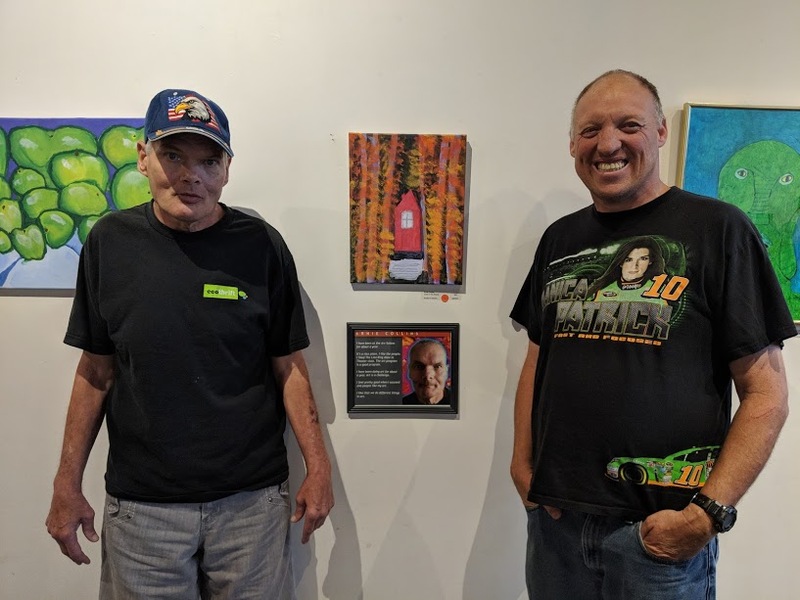 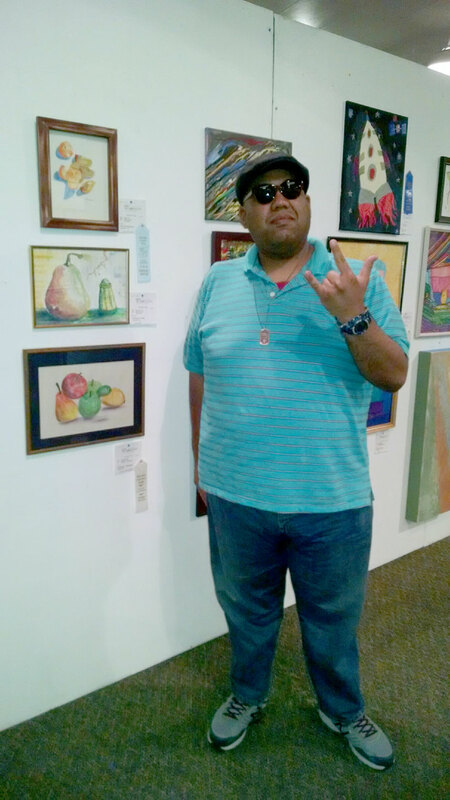 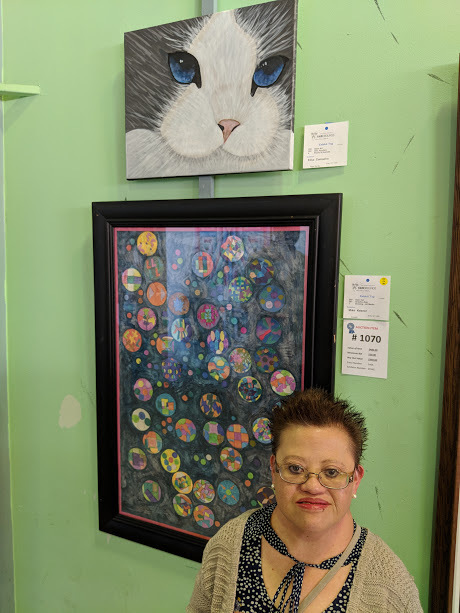 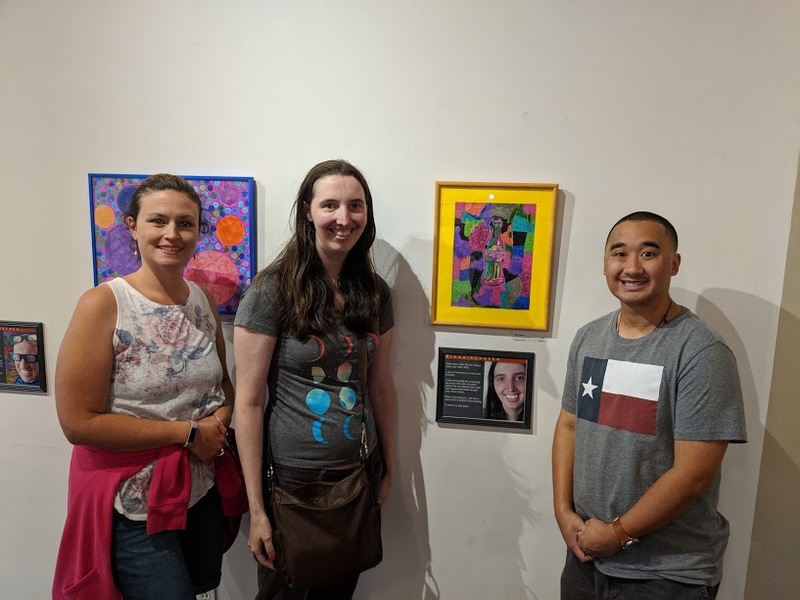 After taking our art down from the fair, we had an art exhibit at Artiszen Gallery. 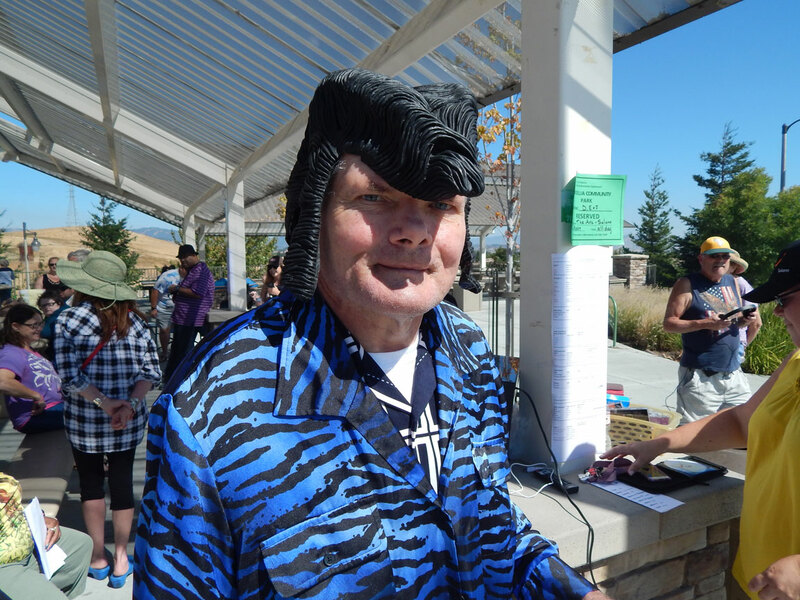 Later on in the month, we attended the GVRD picnic at Blue Rock Springs for a lovely day of comaraderie and sunshine. 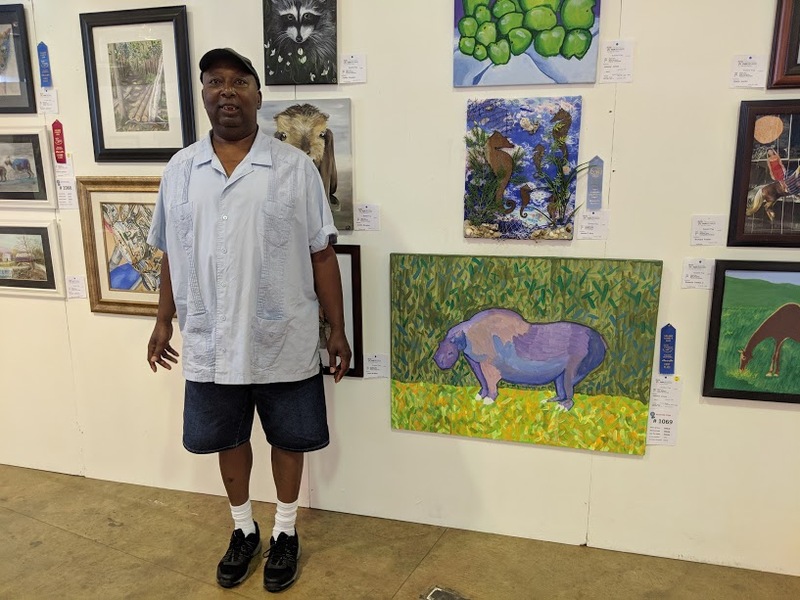 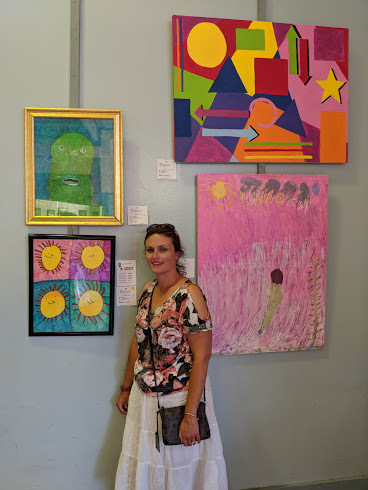 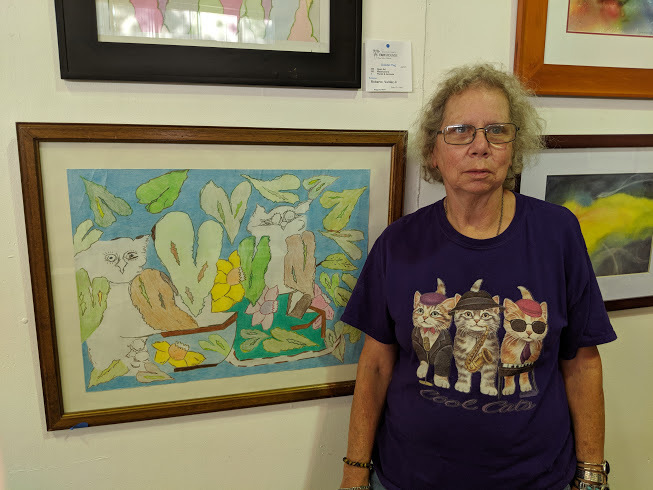 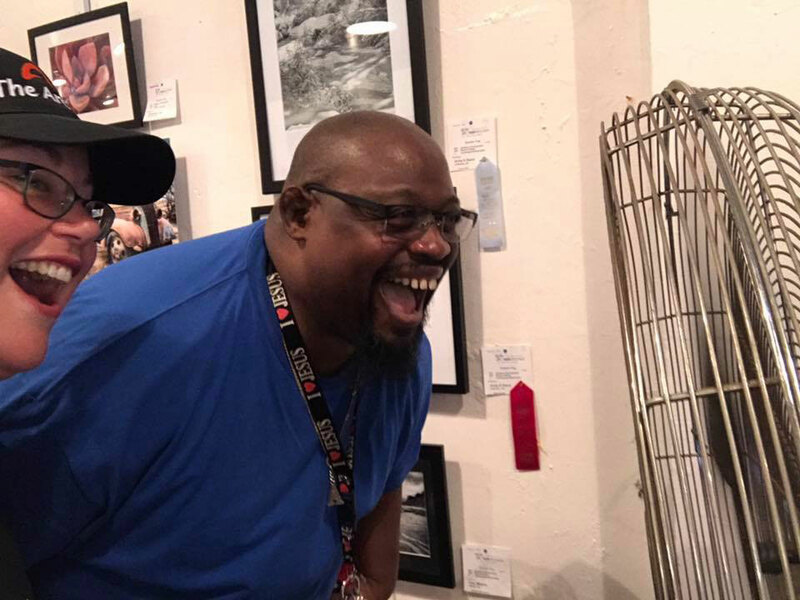 Once again, we won many ribbons in the art competition at The Solano County Fair, and we also attended the State Fair in Sacramento. 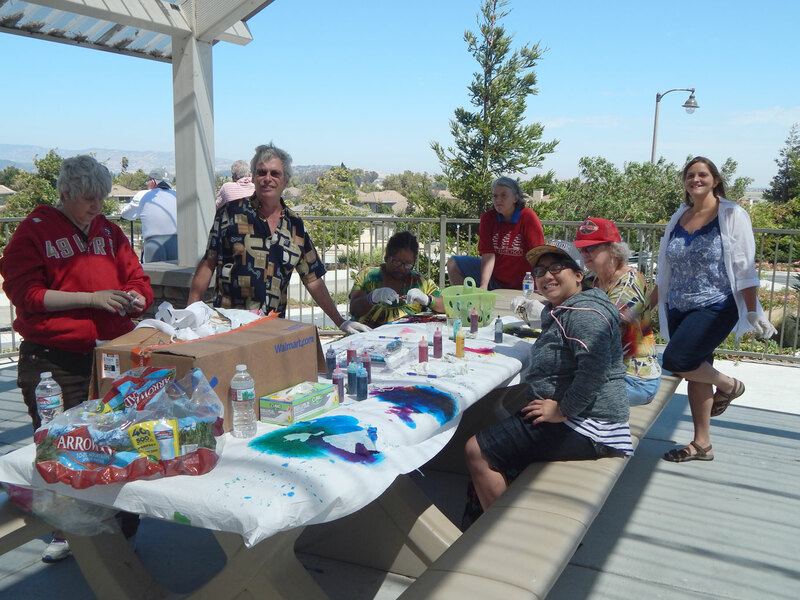 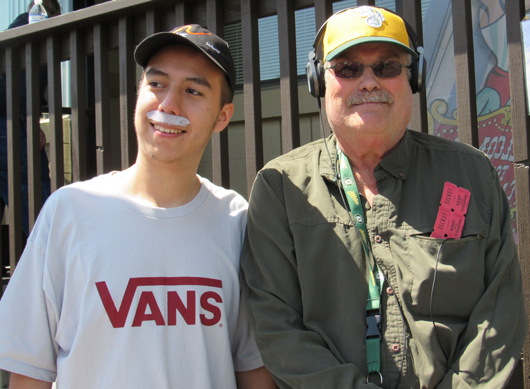 In previous years, we held an Ice Cream Social & Carnival event at this time. 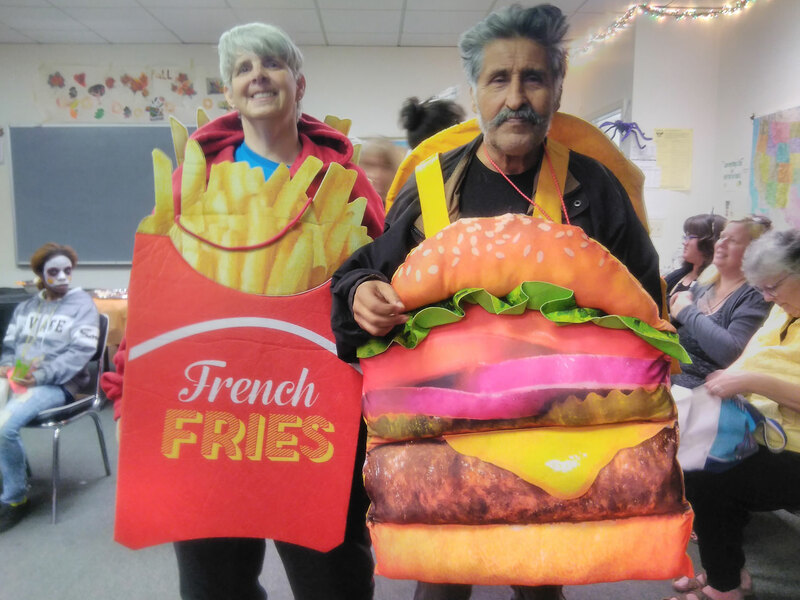 This year, we went in another direction: health and well-being. 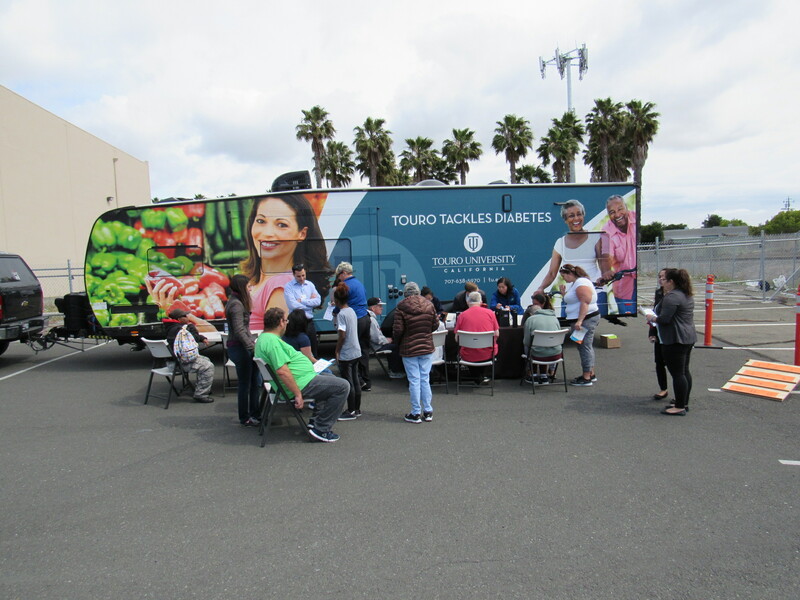 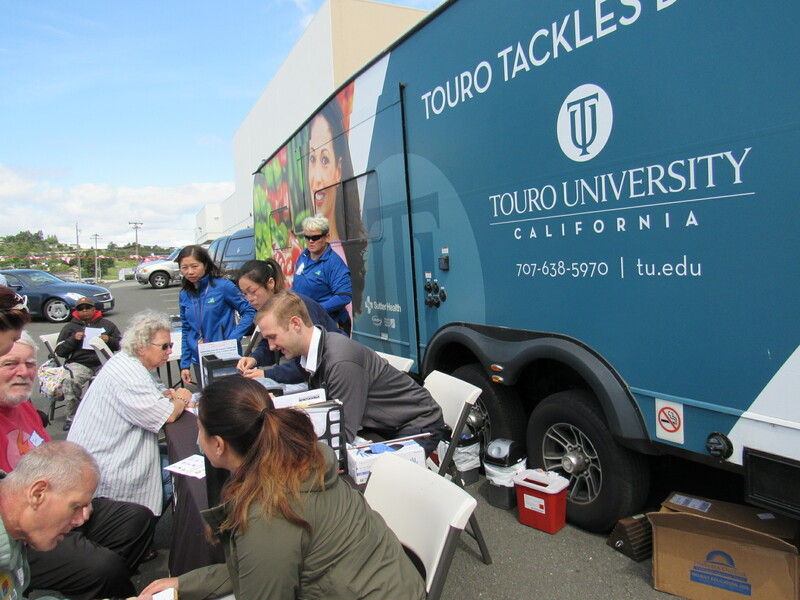 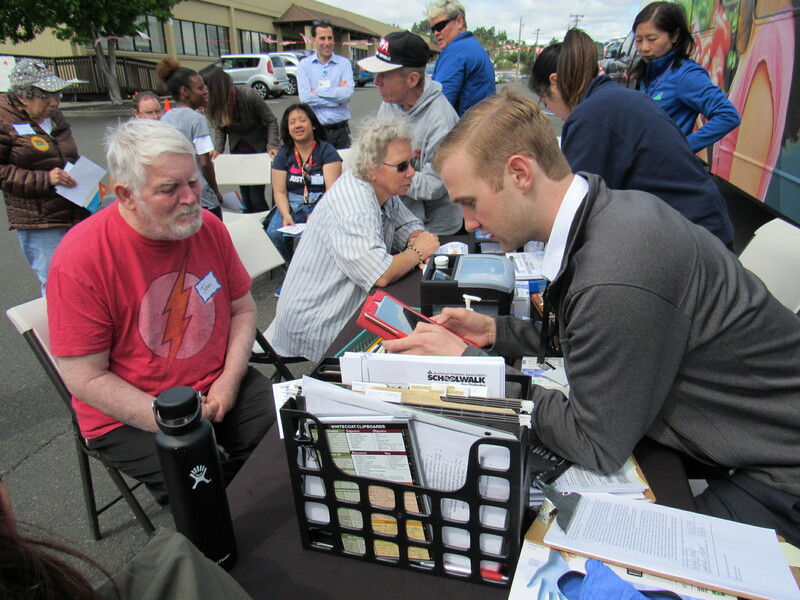 A medical van with Student Doctors from Touro University graciously joined us to provide basic health screenings which included blood pressure readings and glucose level testing. 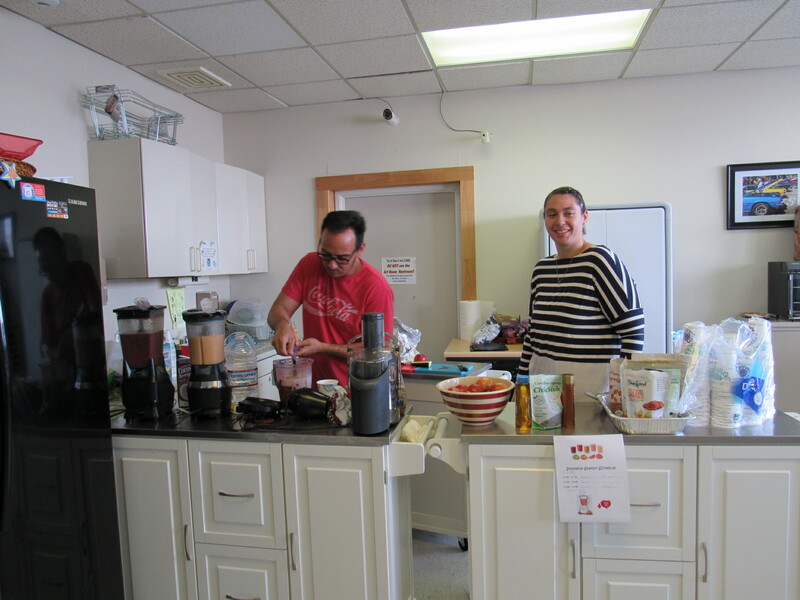 Sharky and Janine concocted a variety of delicious and nutritious smoothies, a visiting Zumba instructor got us dancing, and still, we had carnival games. 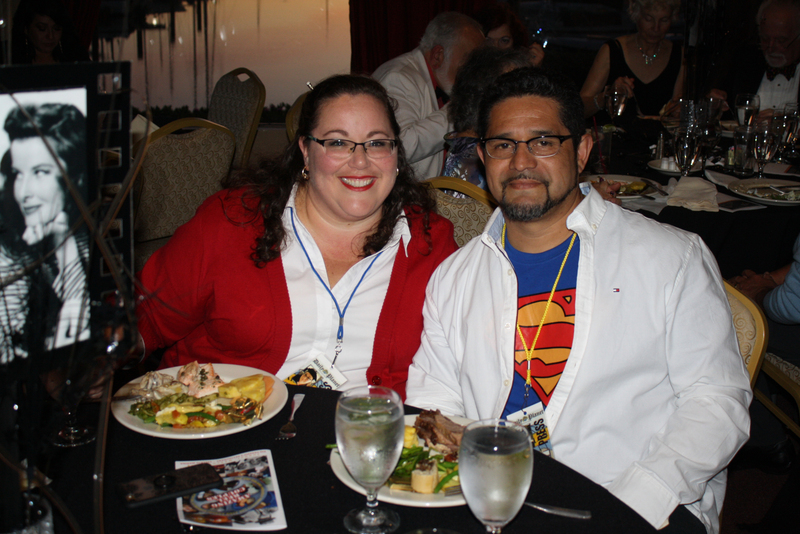 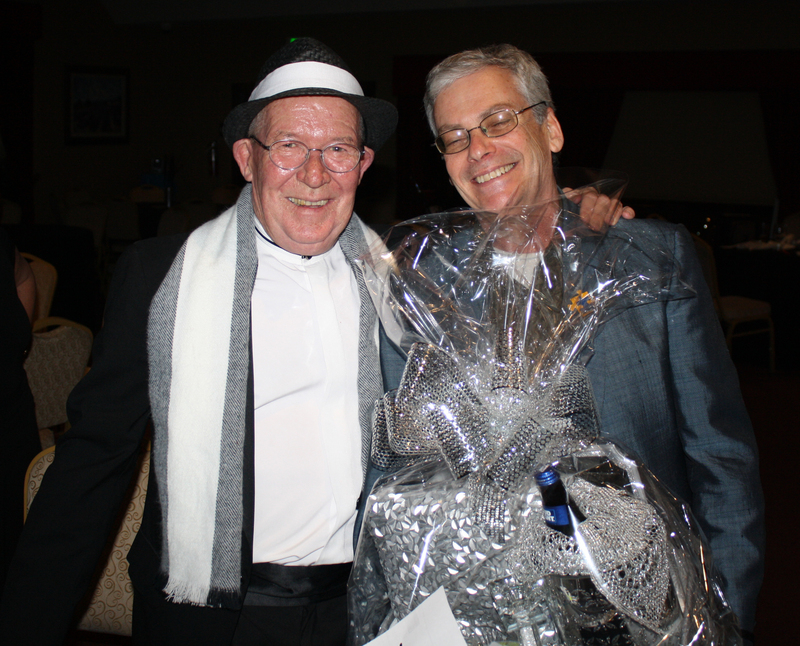 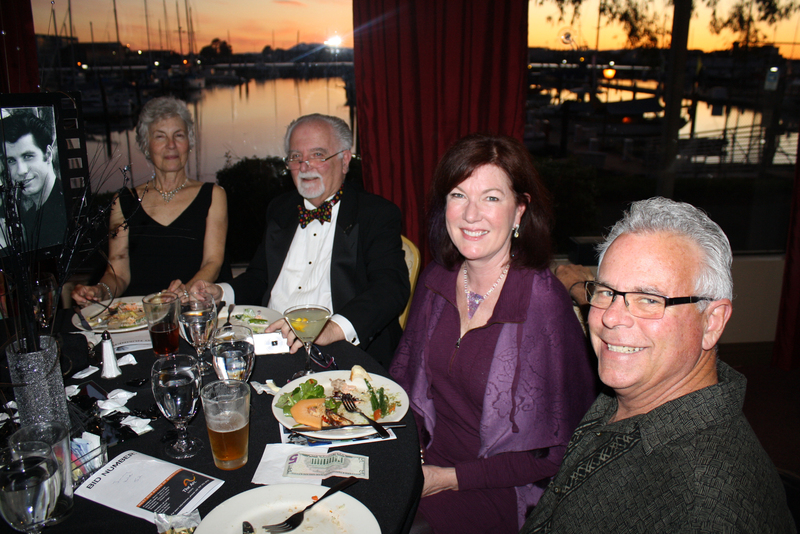 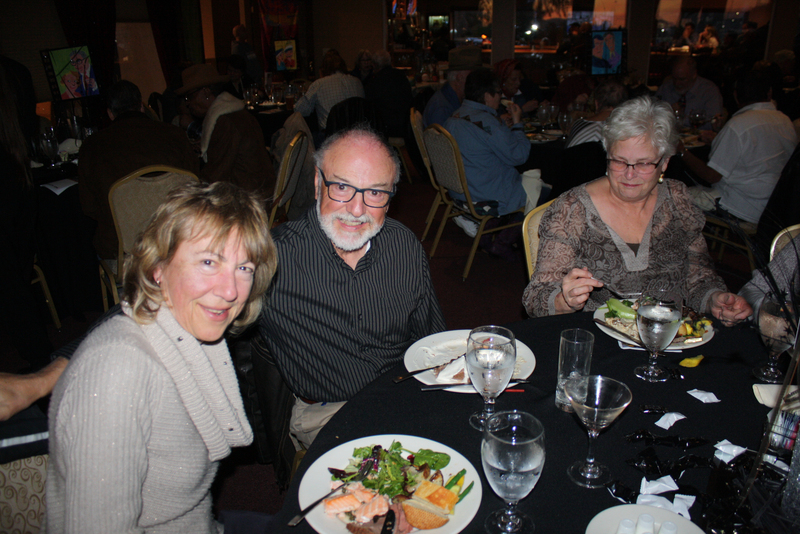 On Sunday, March 4, 2018, The Arc-Solano hosted its 22nd annual Evening at the Academy Awards Oscar night simulcast dinner auction event. 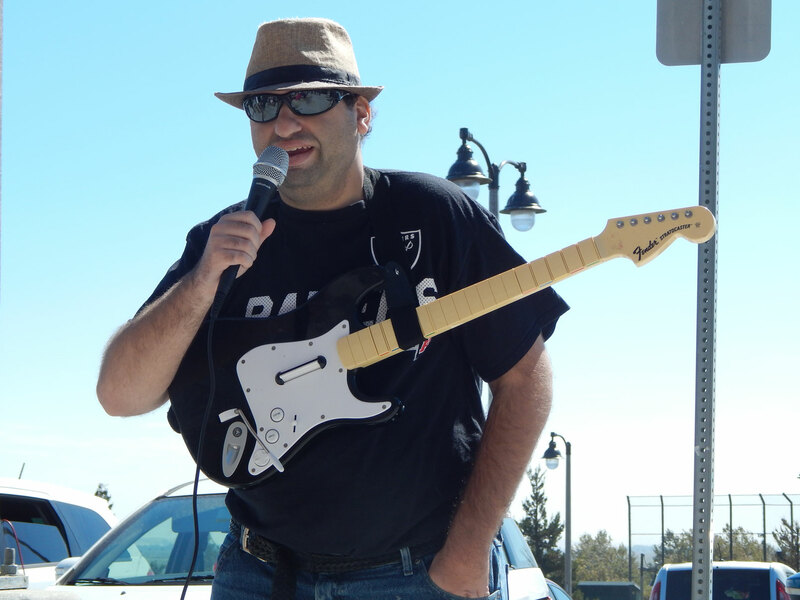 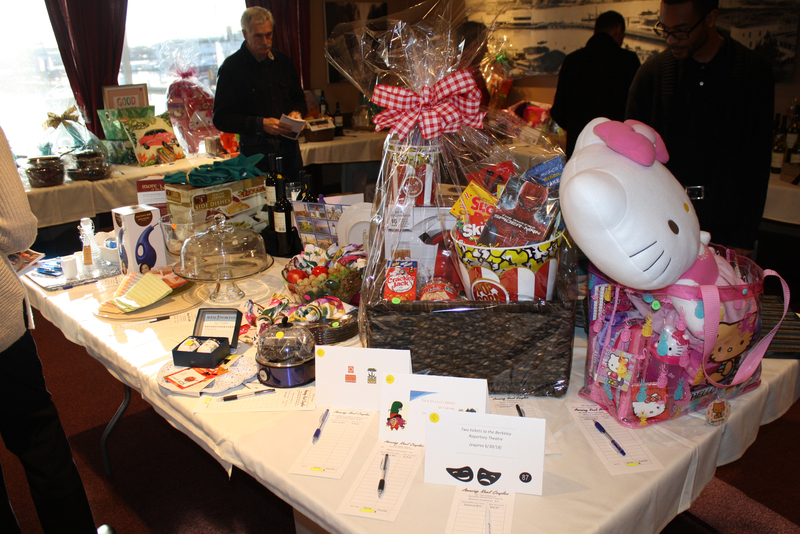 Over 100 people were in attendance at the Zio Fraedo's event site and more than $18,000 was raised this year! 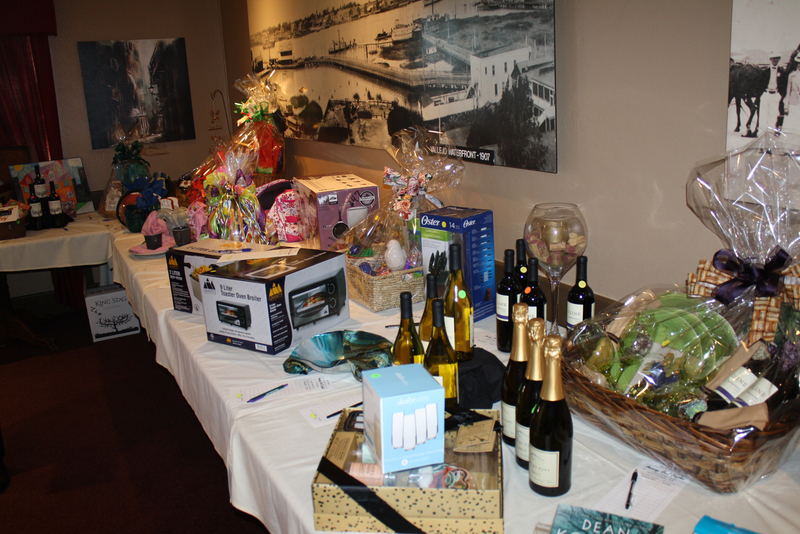 This amount came from $8,500 in financial sponsorships, $7500 from the silent auction, $2000 in product and service donations not associated with the auction as well as miscellaneous donations from the audience. 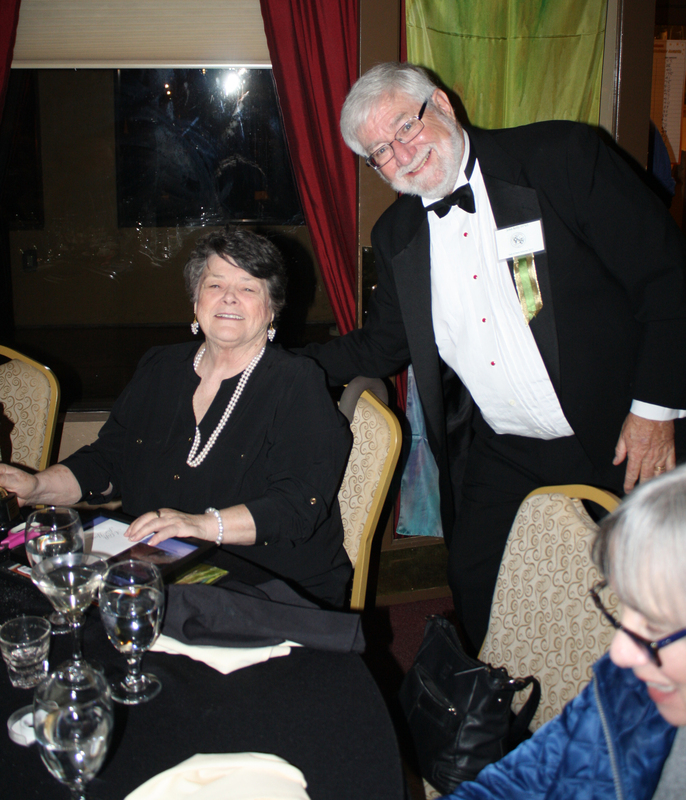 The highlight of the evening was the Lifetime Achievement Award given to Karen Paedon and Anna Scopesi. 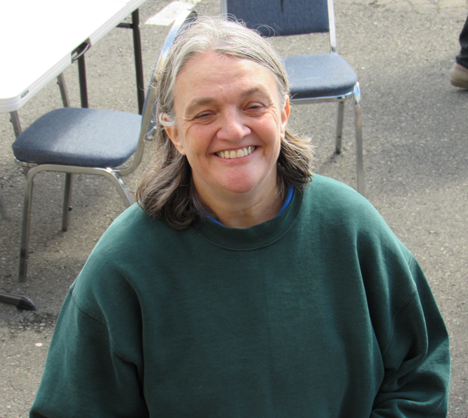 Luna Gilligan created a very compelling powerpoint slideshow set to music to acknowledge their 10 years of constant devotion to volunteering for the event. 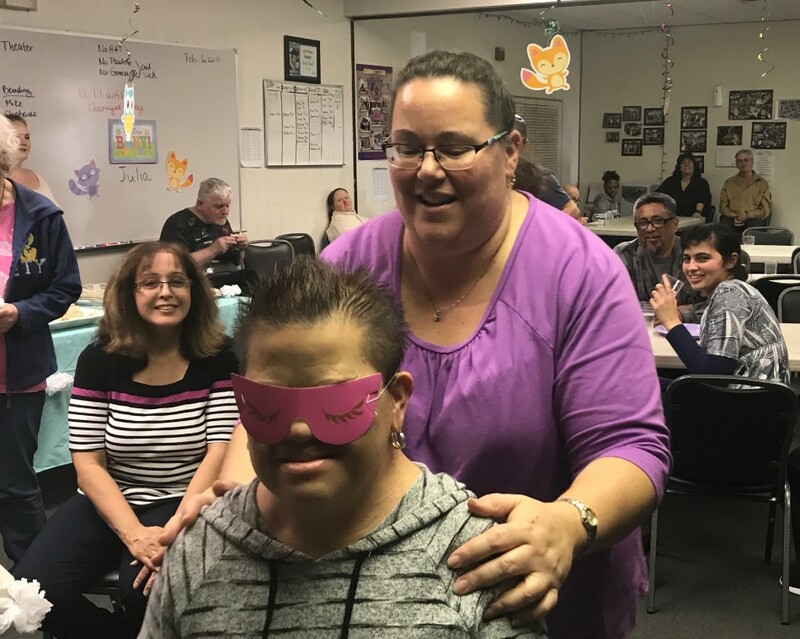 During a standing ovation, John Kelly, Board VP, and Gerry Forcier, former Executive Director, presented Karen and Anna with a Hollywood walk of fame star framed certificate, inscribed Oscar statuette and a $300 gift card to both Karen and Anna. 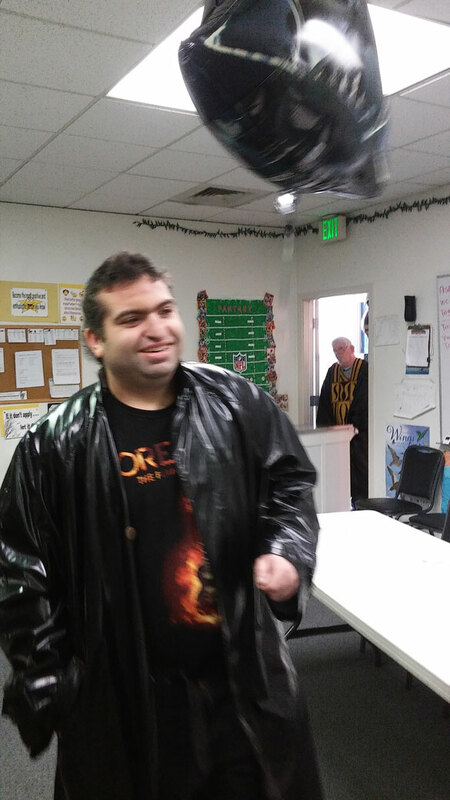 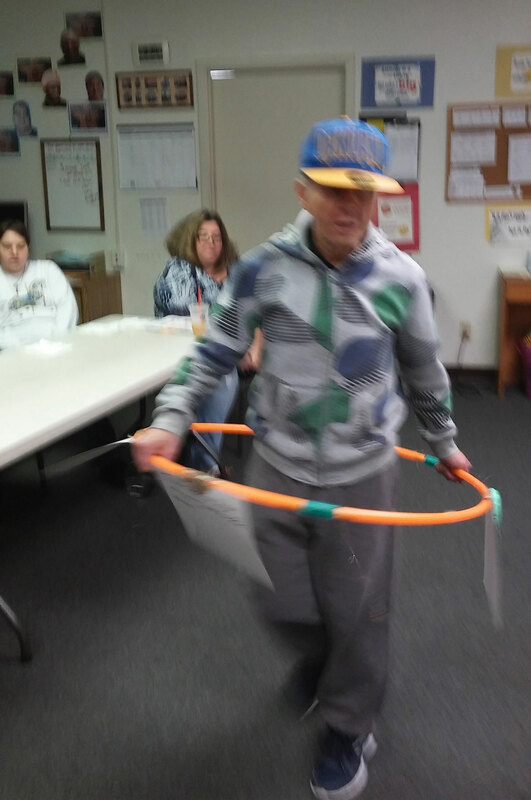 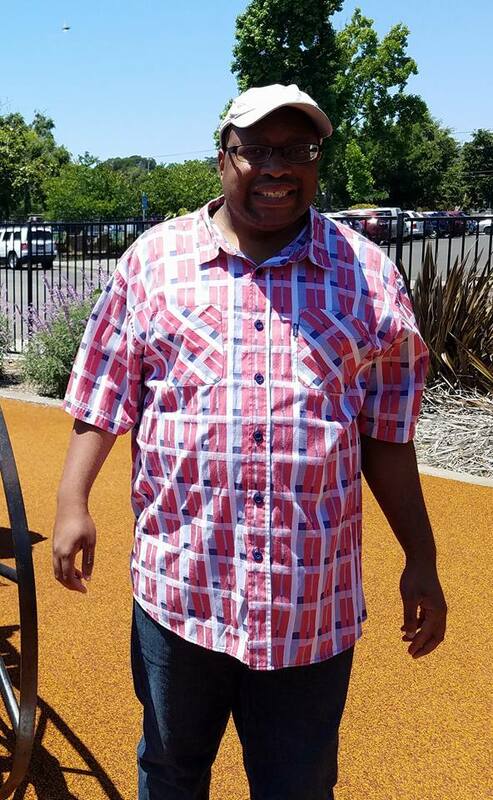 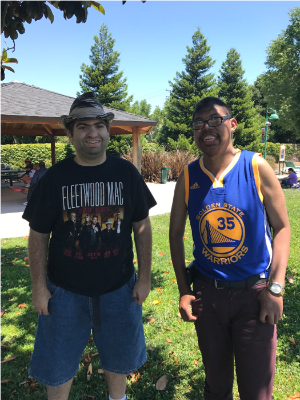 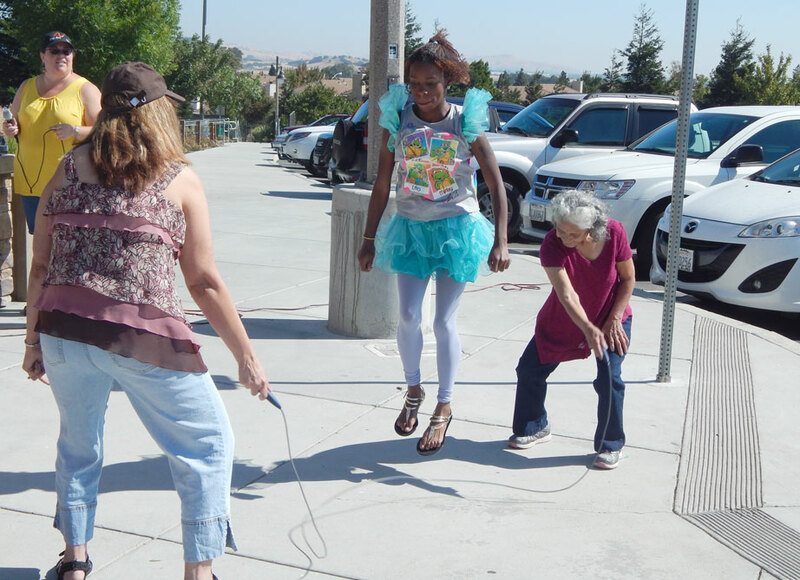 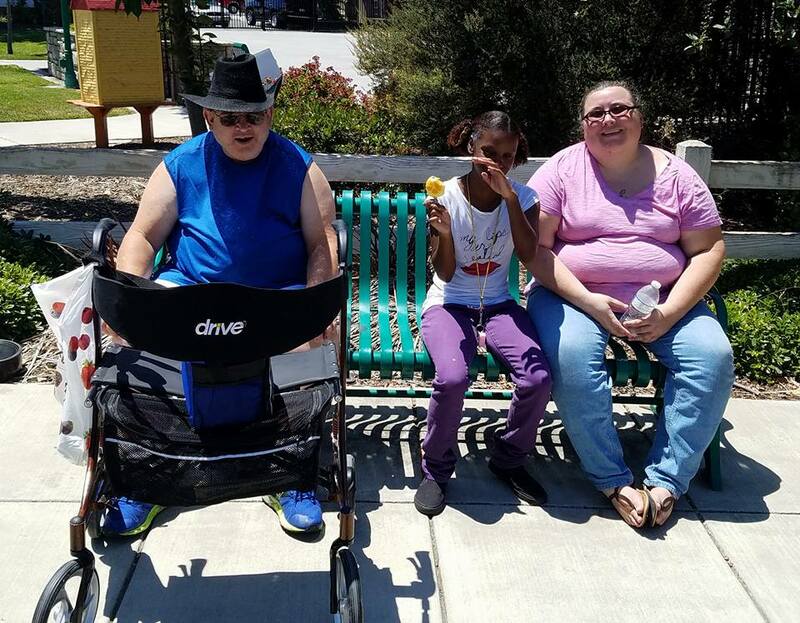 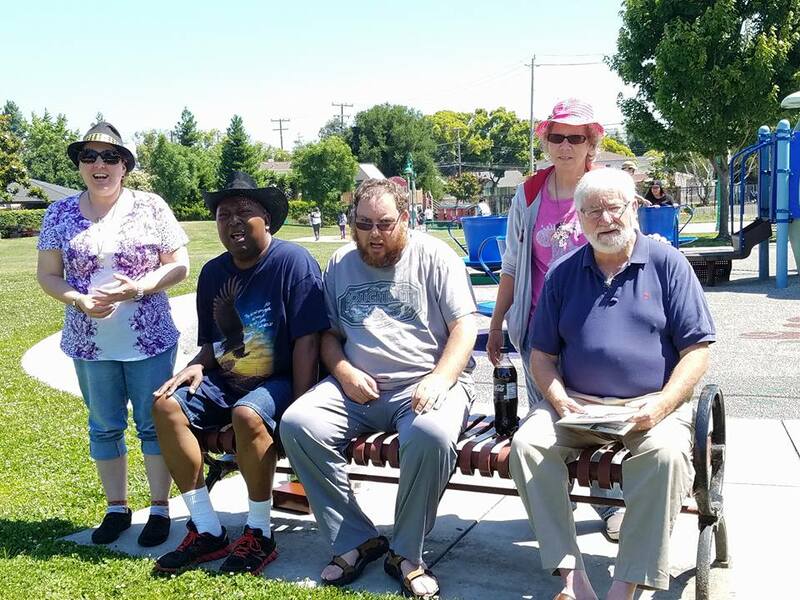 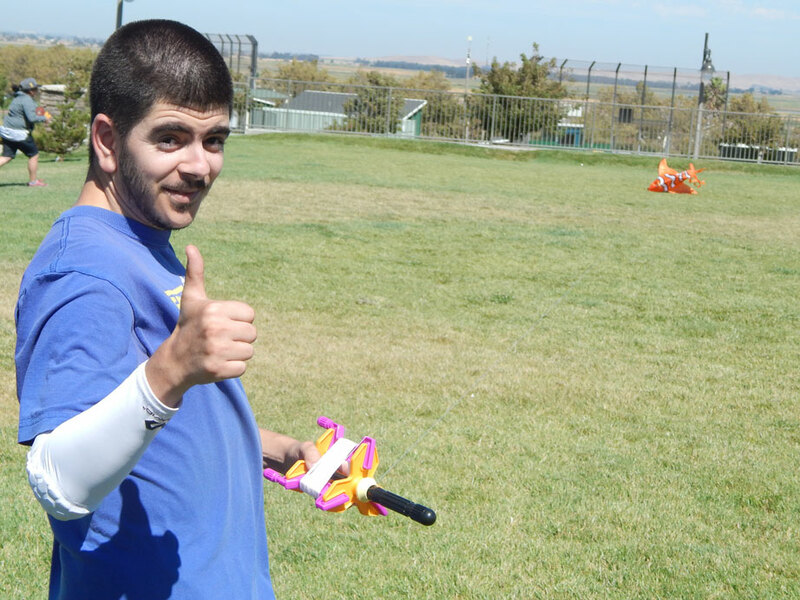 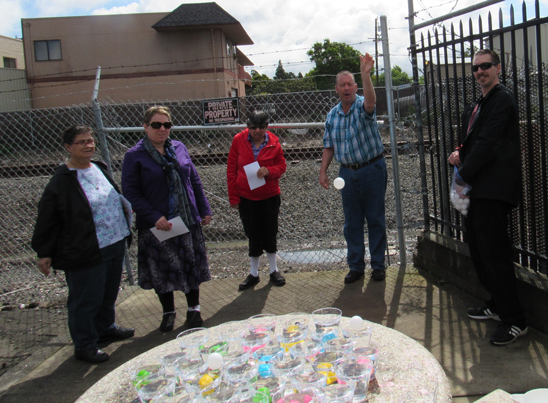 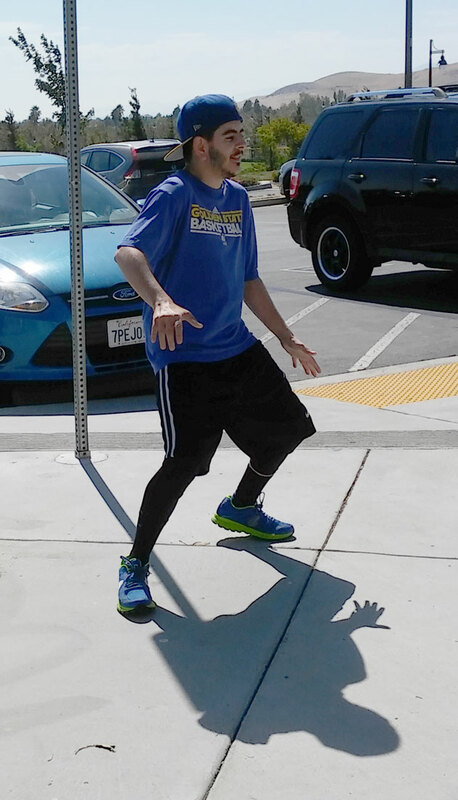 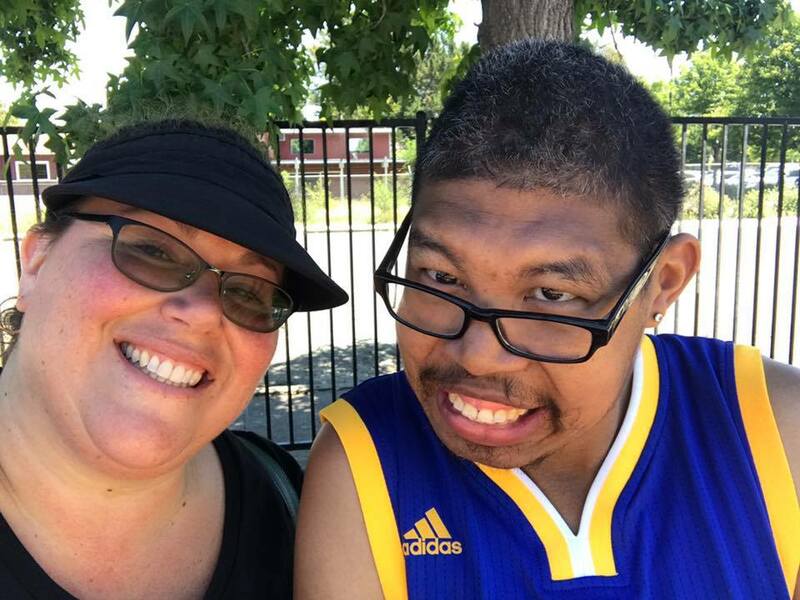 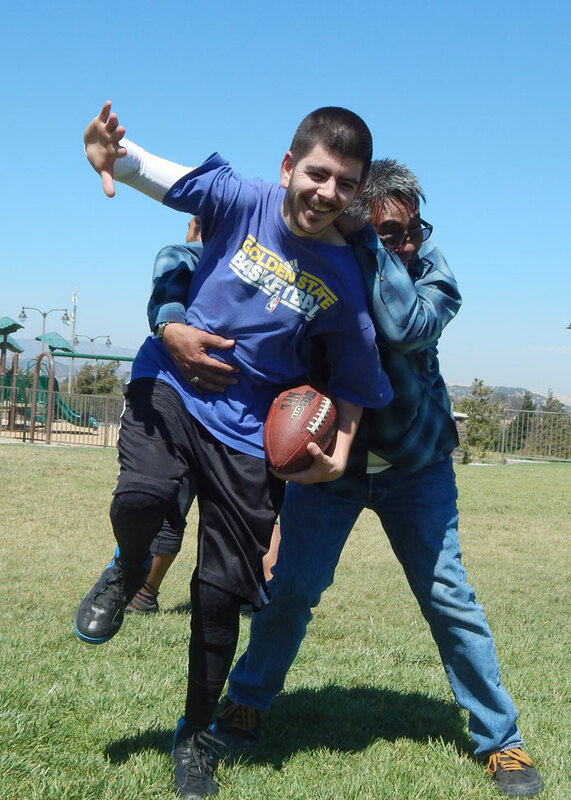 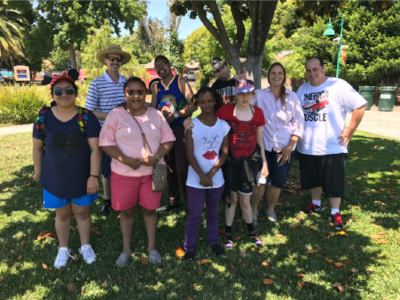 This has been a busy month at The Arc-Solano! 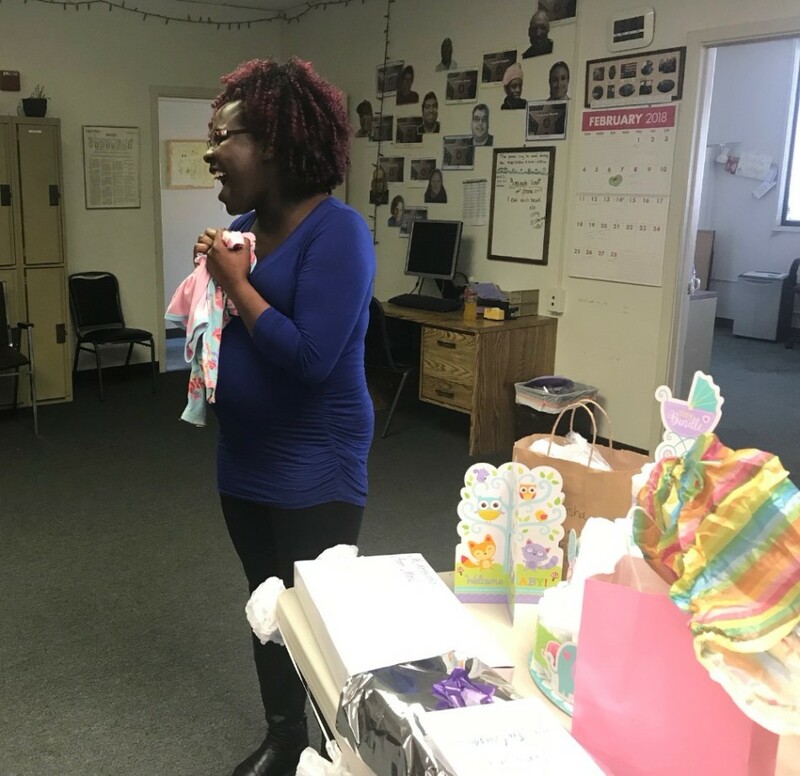 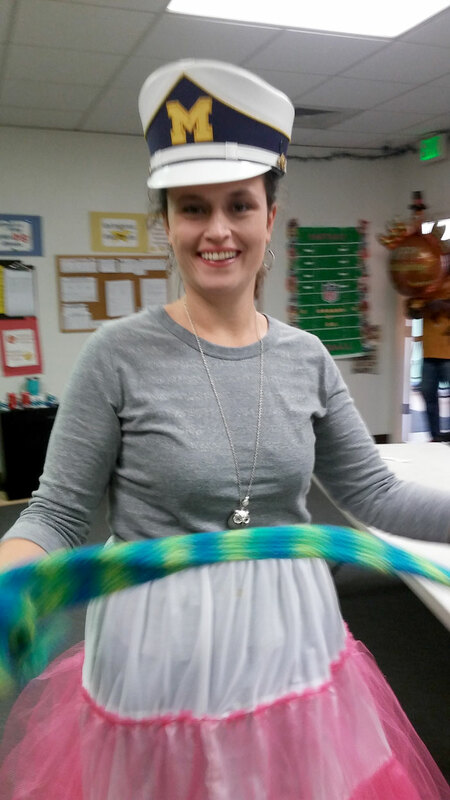 On February 6, we hosted a baby shower for TDS Instructor Nateisha. 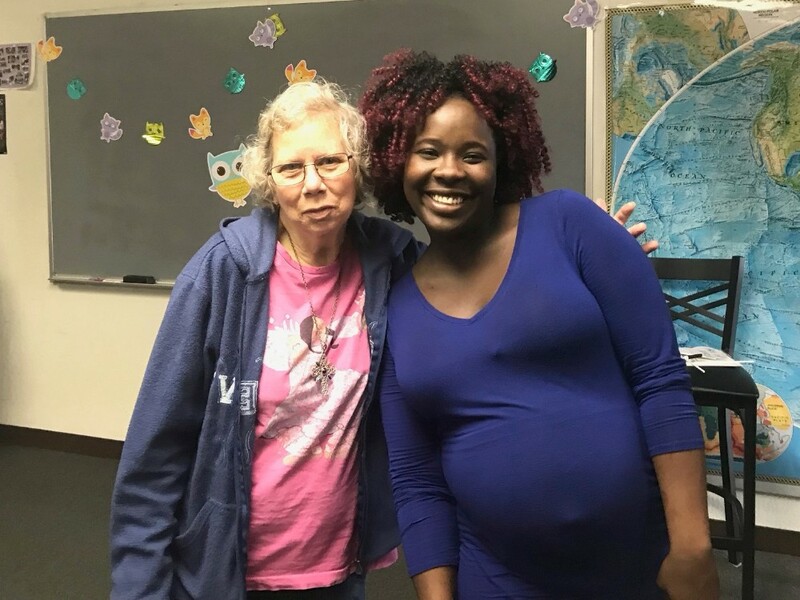 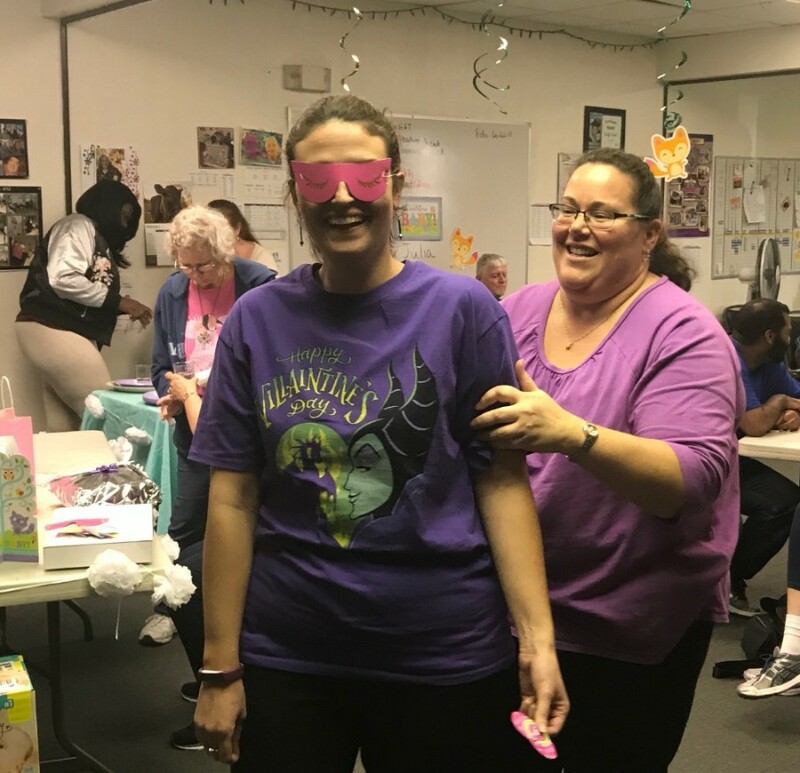 Staff and consumers had a great time playing Pin the Pacifier to the Baby, Baby Bingo, Measure Mommy's Tummy, showering Nateisha with gifts, and enjoying finger foods. 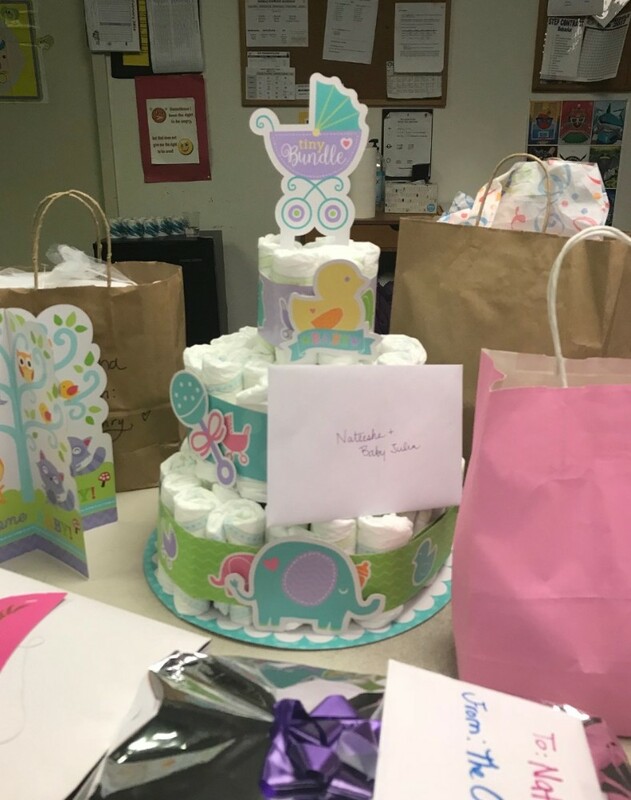 For many of our consumers, this was the first baby shower they've attended. 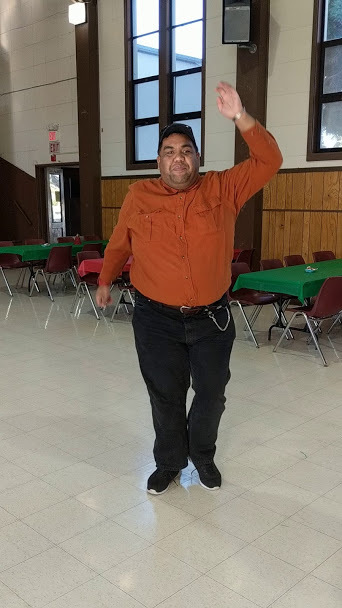 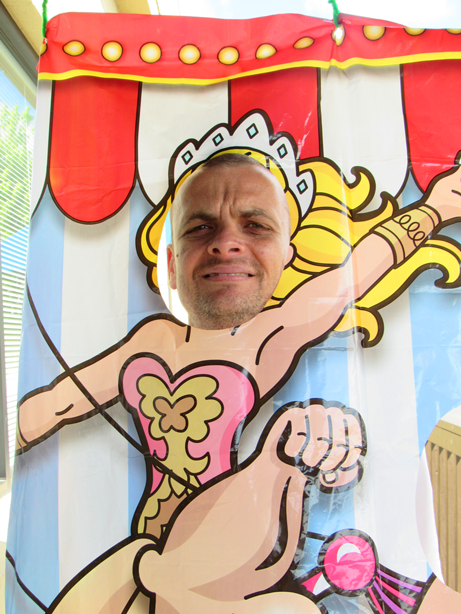 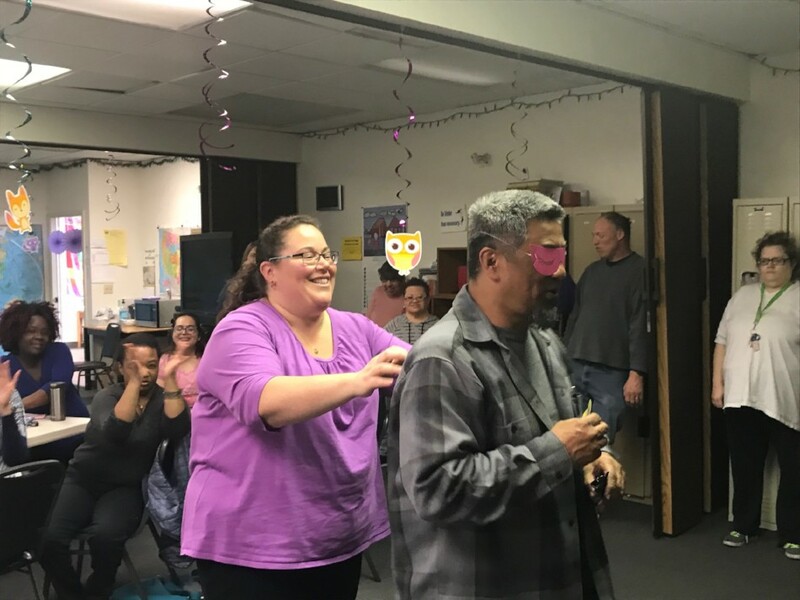 On February 8, the ACT and TDS departments boogied on down to the GVRD Mardi Gras Dance. 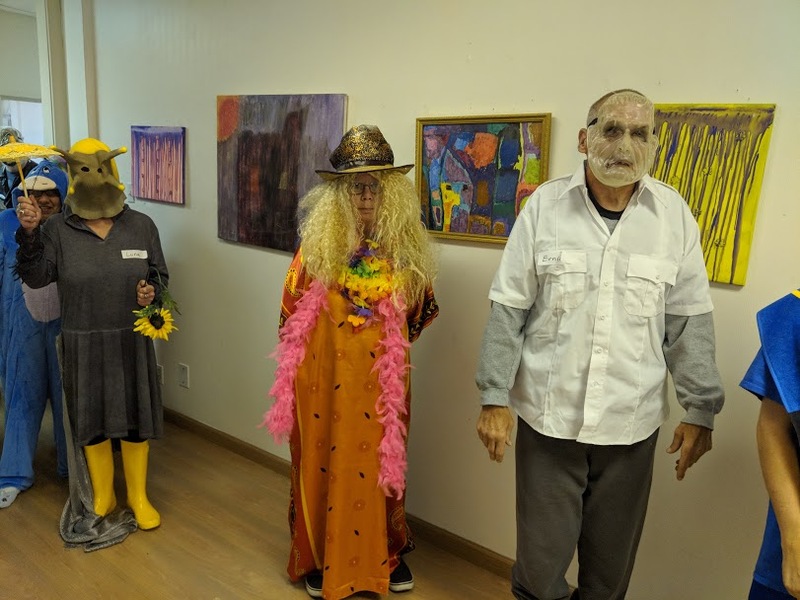 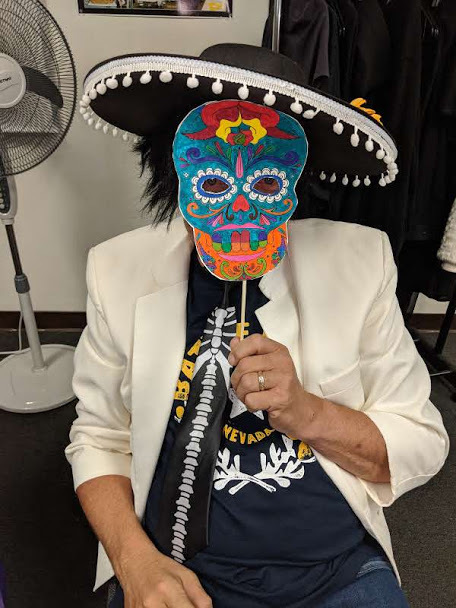 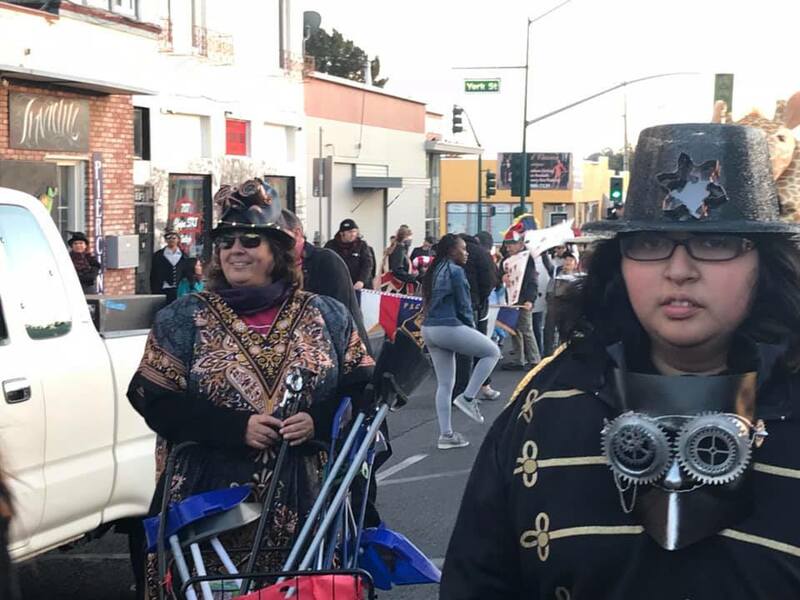 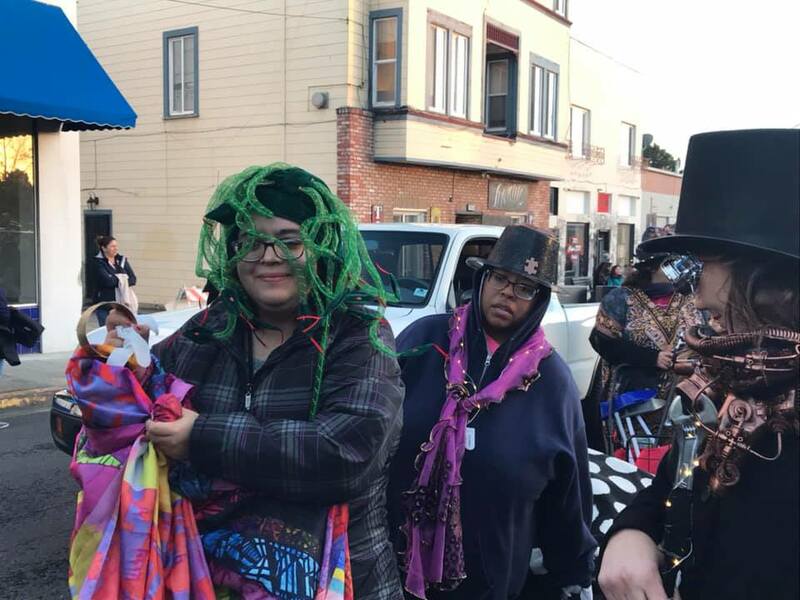 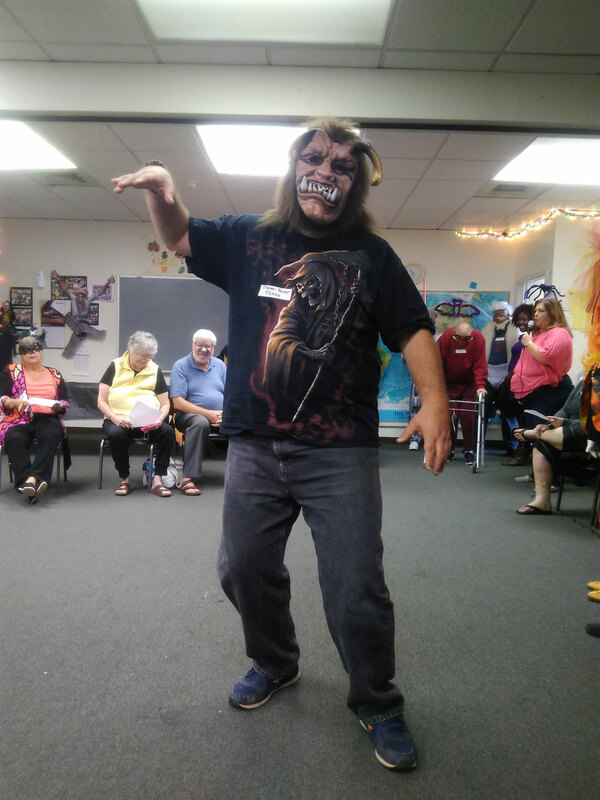 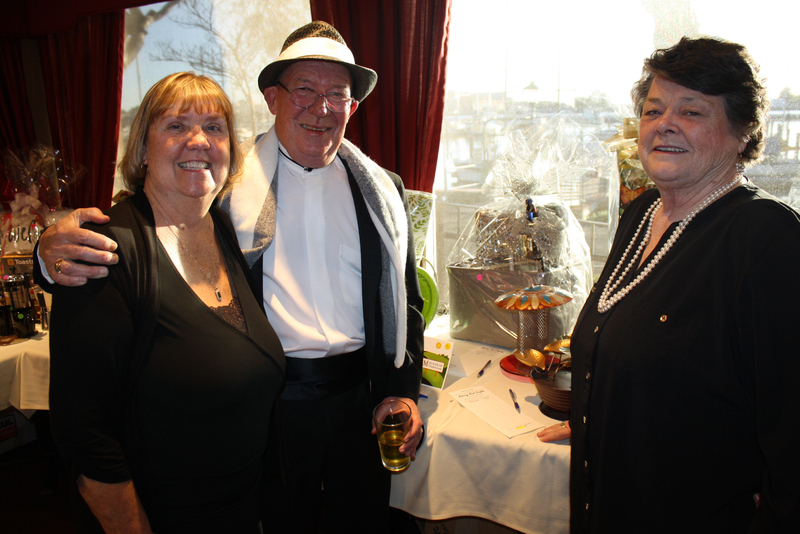 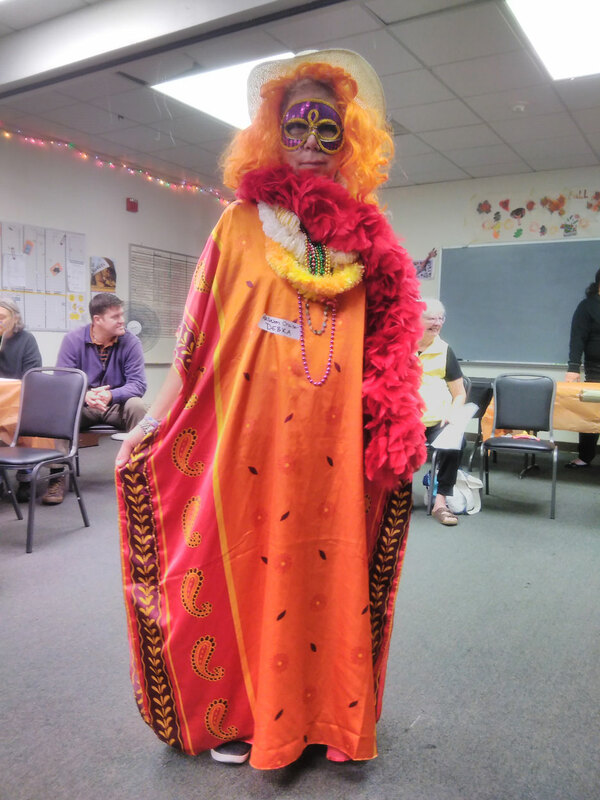 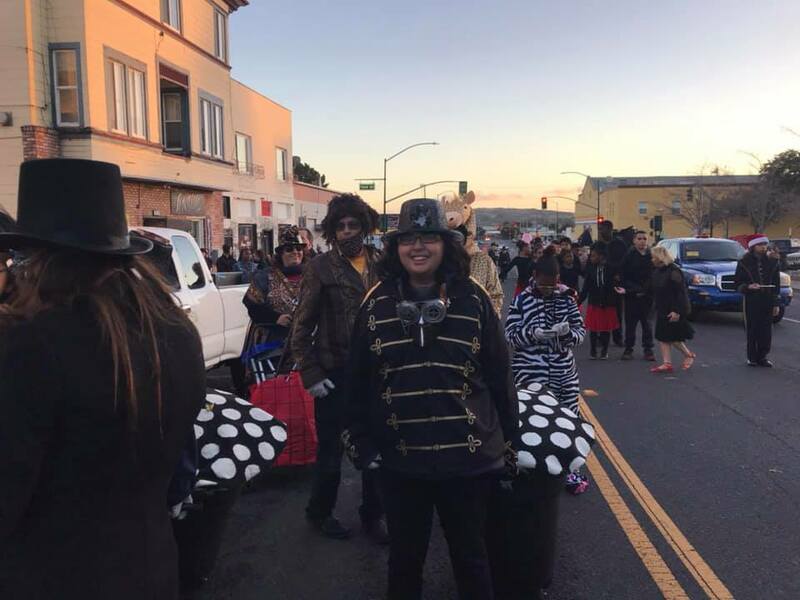 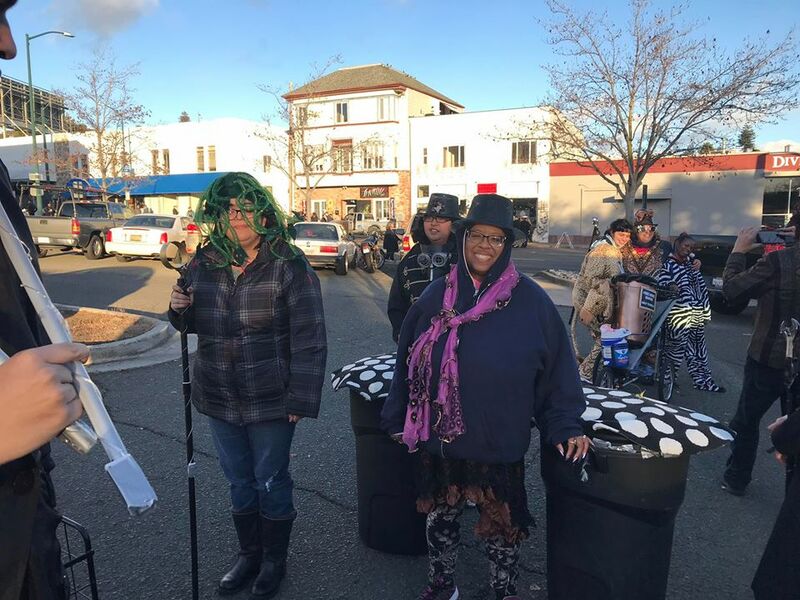 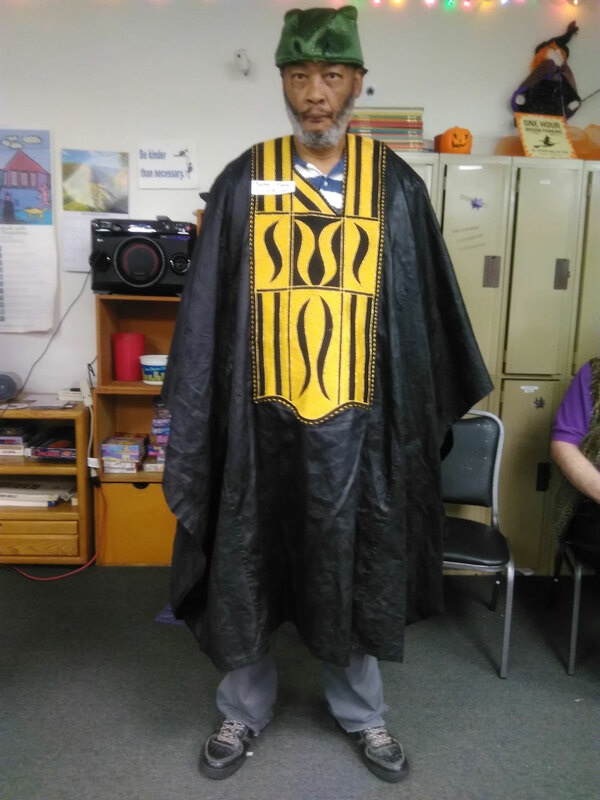 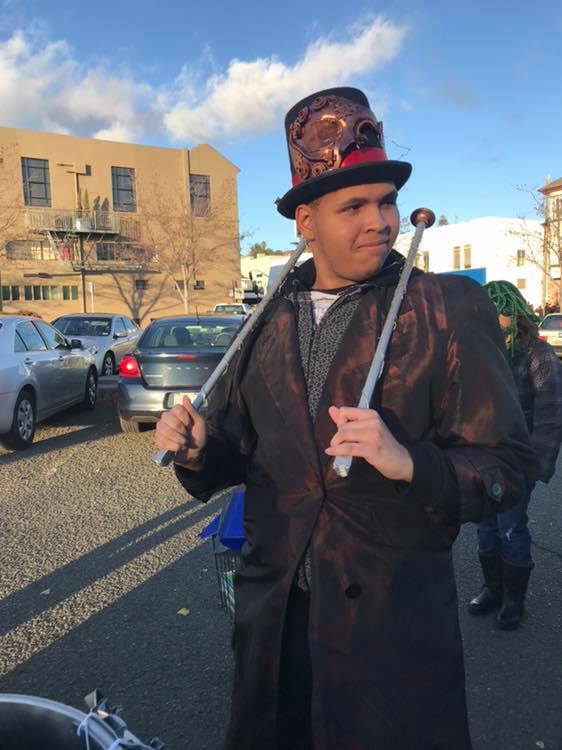 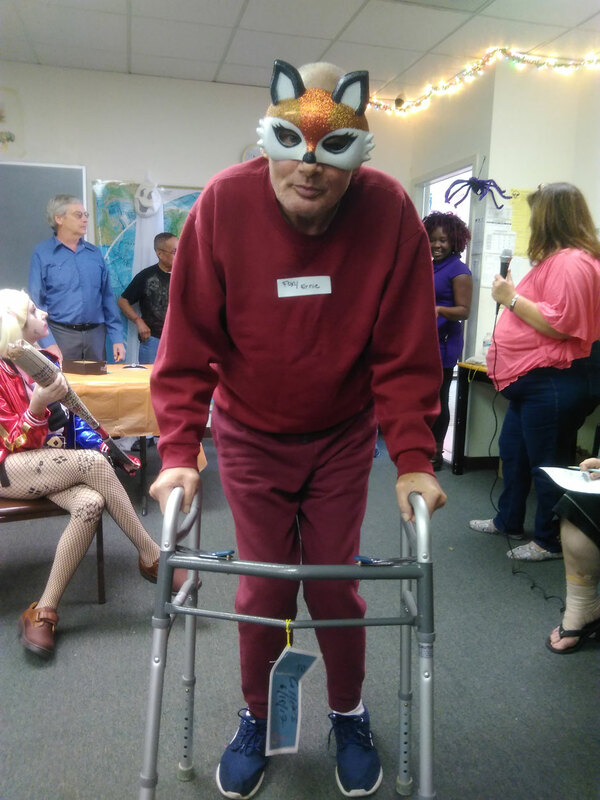 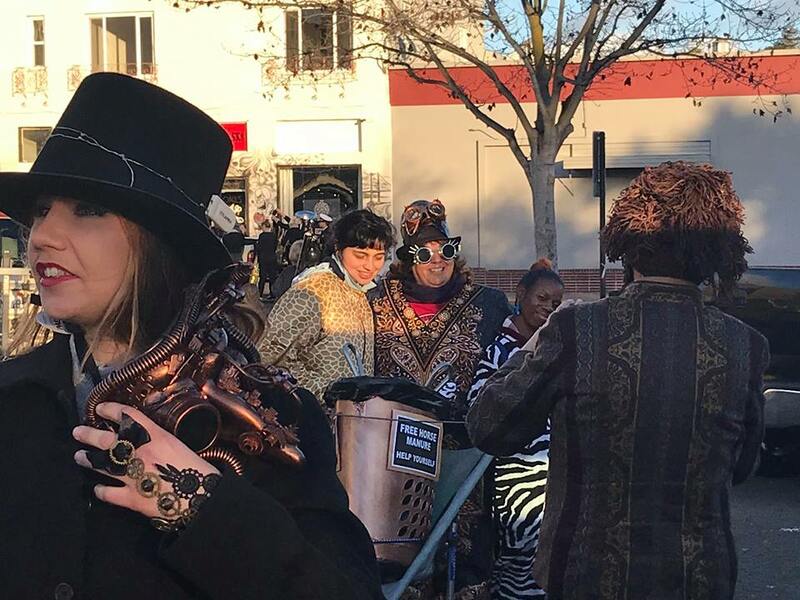 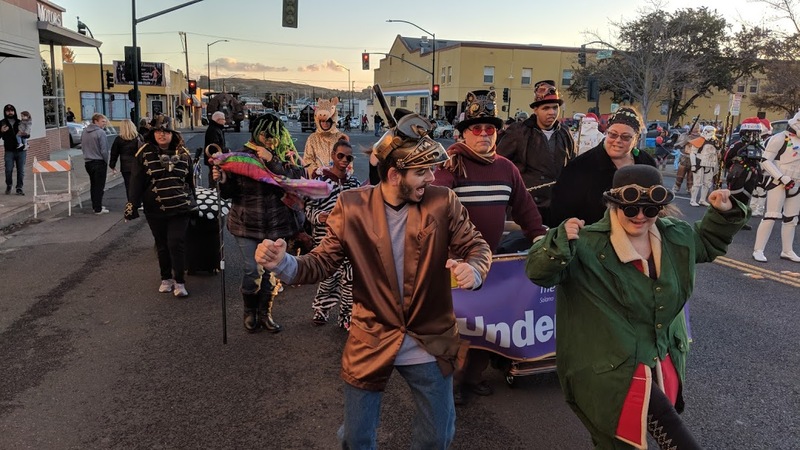 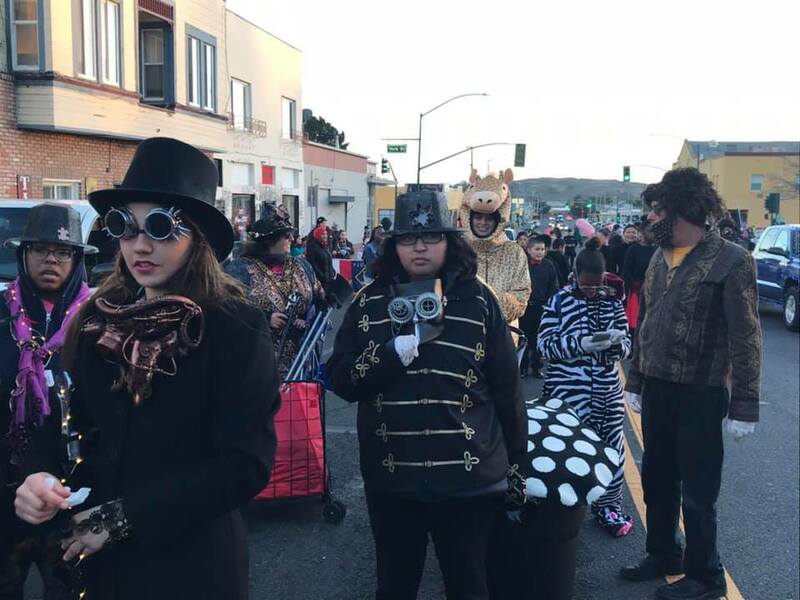 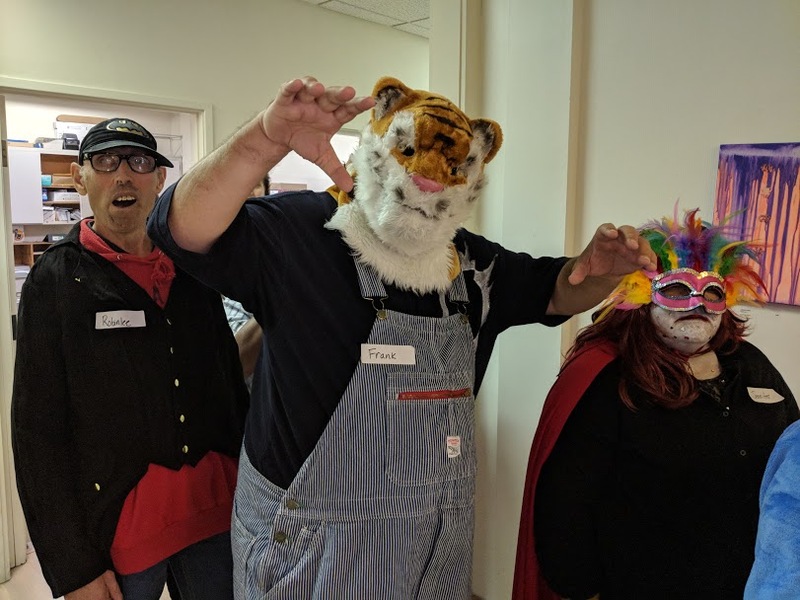 Consumers and staff partied with clients from other Vallejo programs, wore beads and created masks, and crowned a King and Queen. 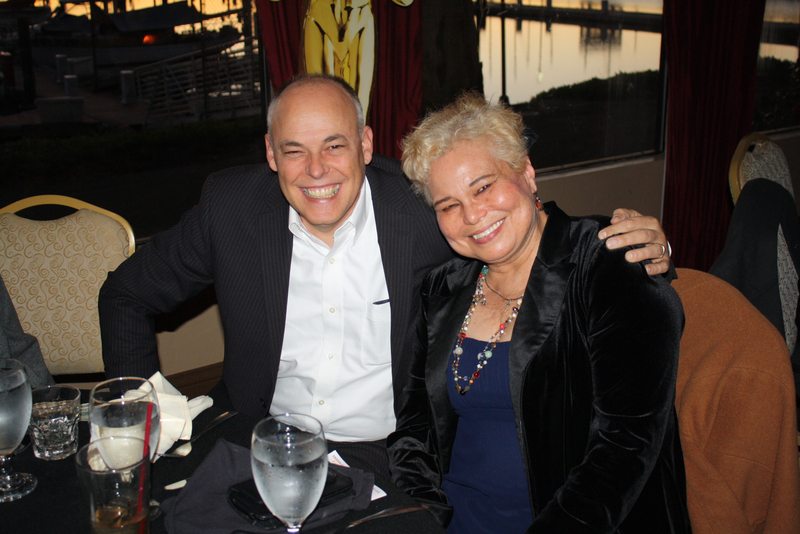 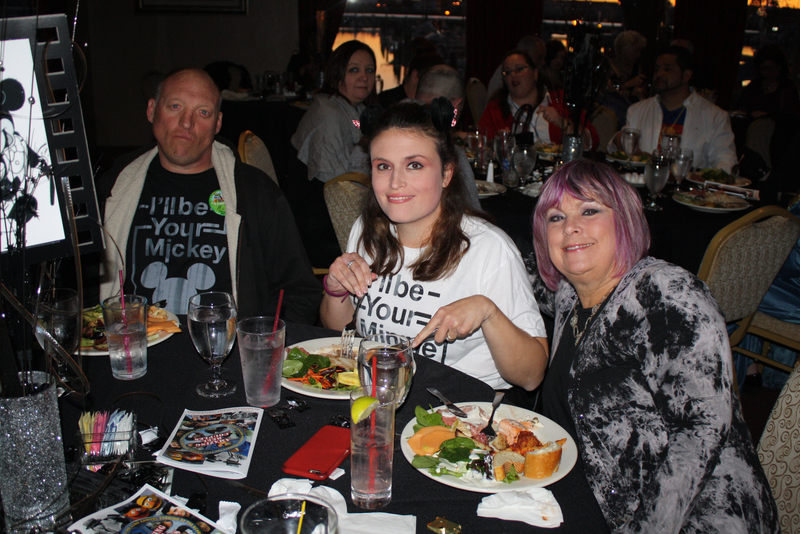 Finally, we attended the Tim Tebow Night to Shine Prom in Vacaville on February 9. 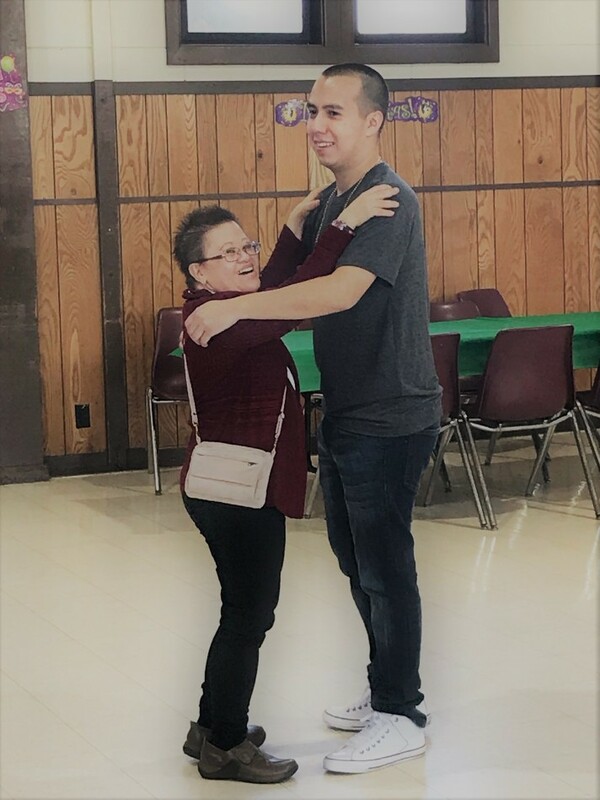 This special event was hosted by F3 Ministries and featured a swingin' dance, crowns and tiaras, a limo ride, dinner, photos, and buddy dates for all! 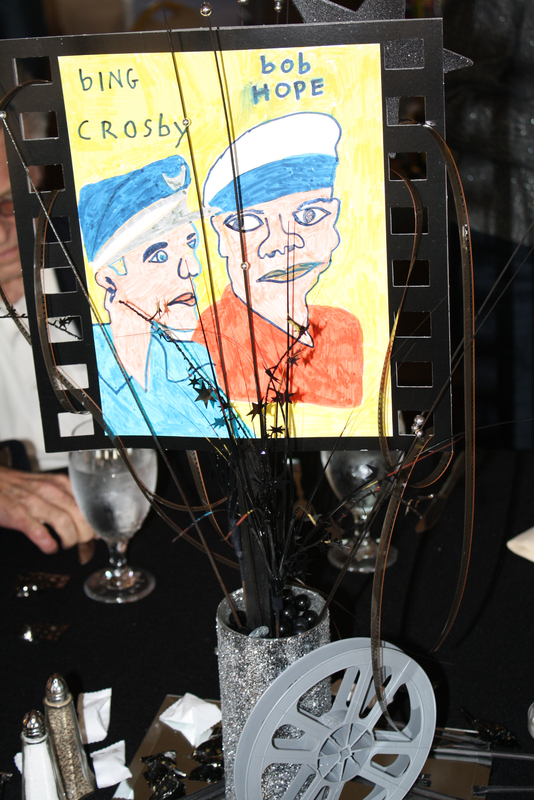 Many of our attendees said that this was the prom they never had in high school and thoroughly enjoyed themselves. 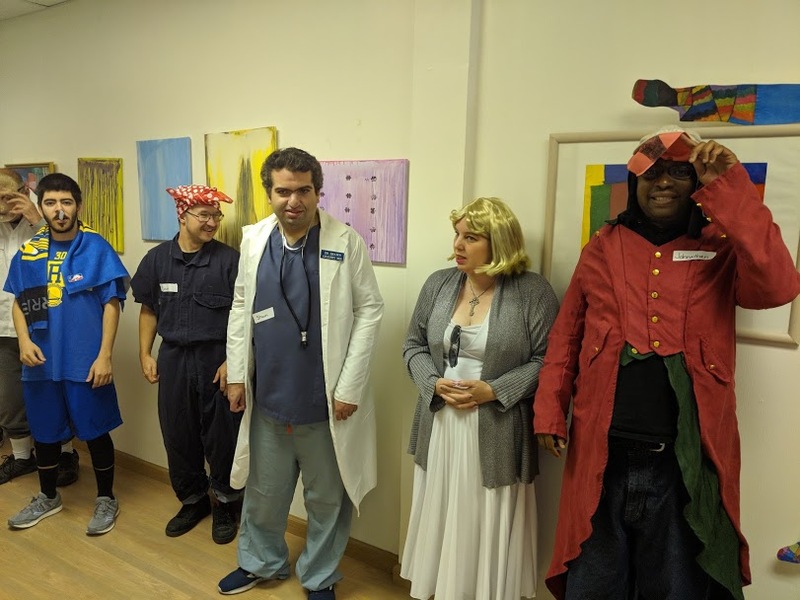 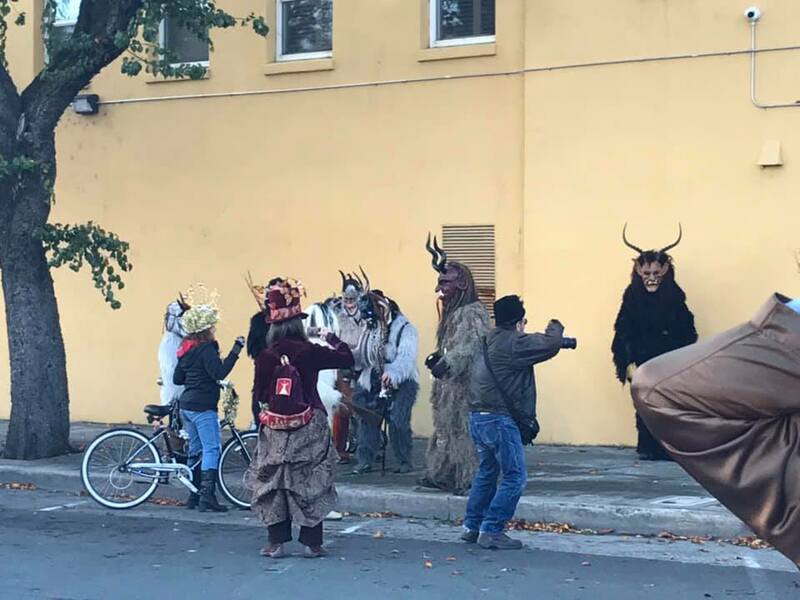 Just prior to Thanksgiving, our Theater group performed our own version of the Macy's Thanksgiving Parade to add anticipation towards the holiday. 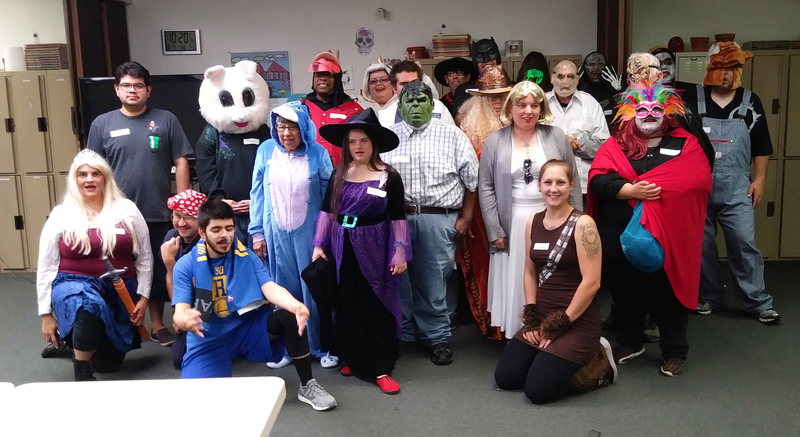 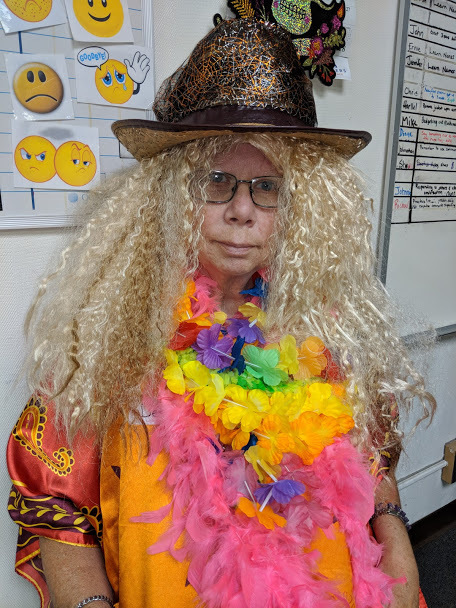 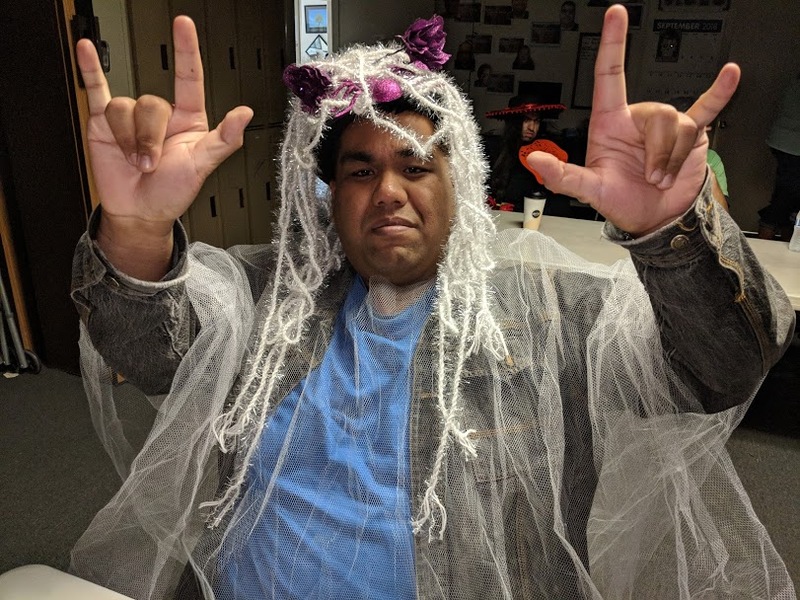 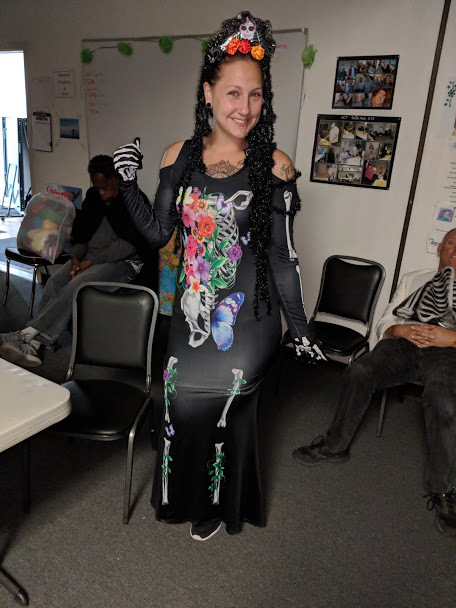 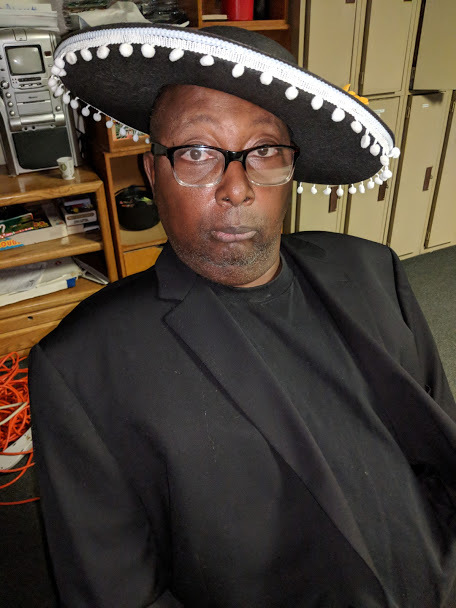 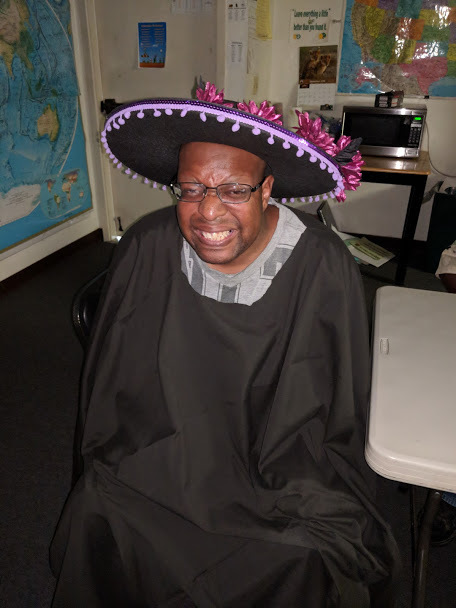 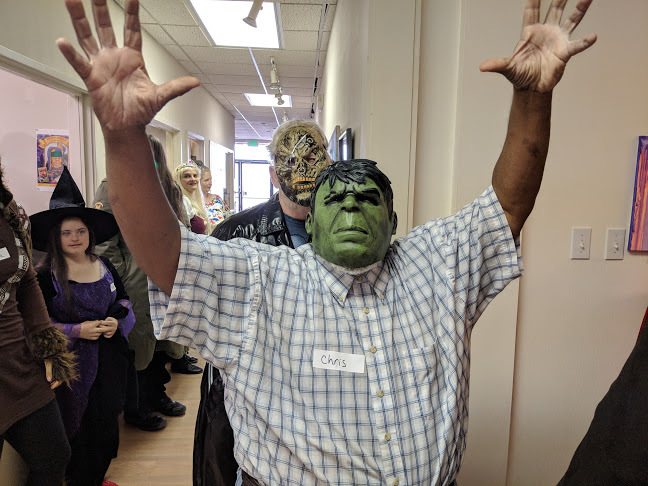 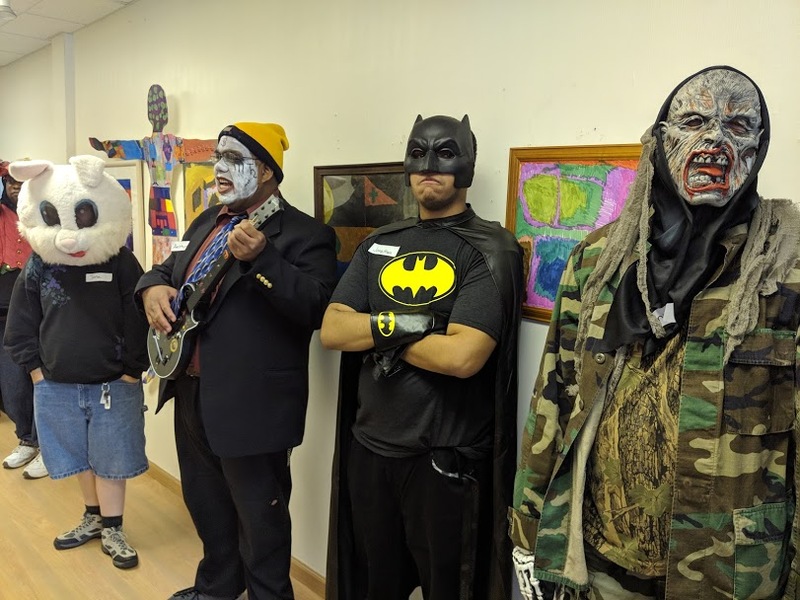 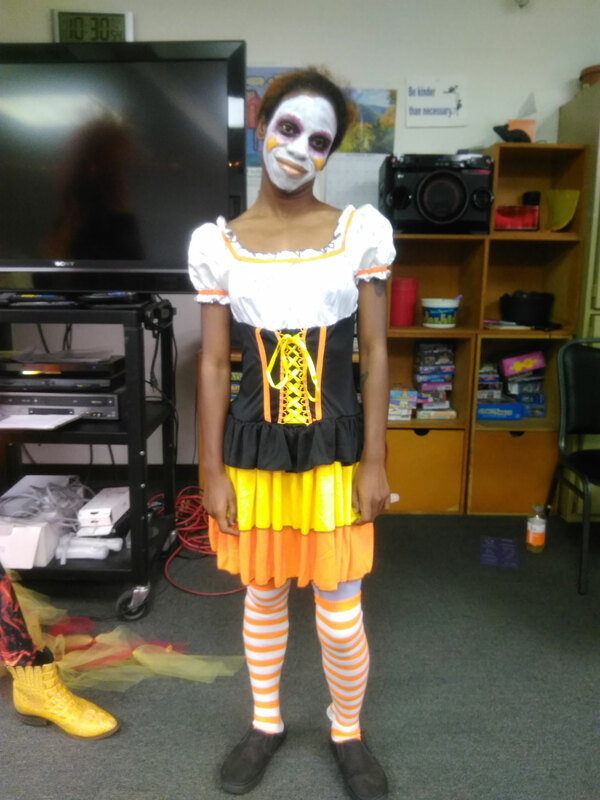 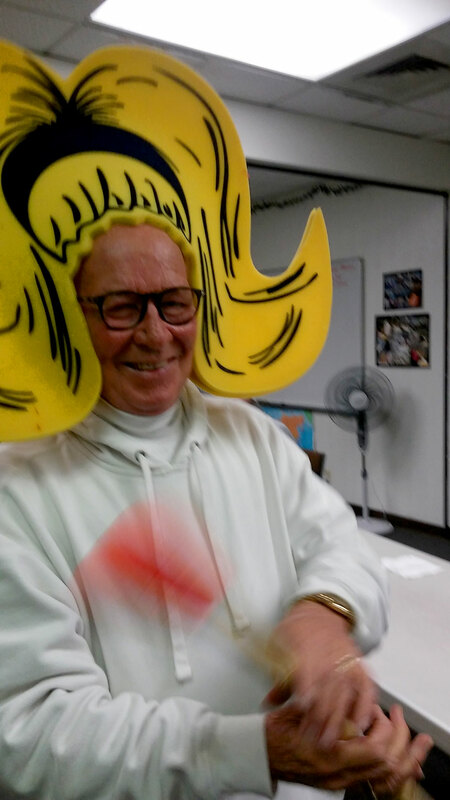 Our annual Halloween party and costume contest was a blast! 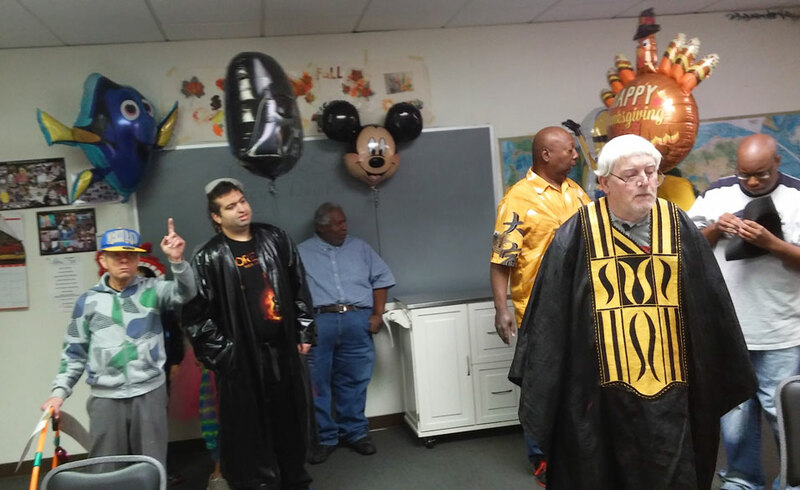 The various costumes were fun to see. 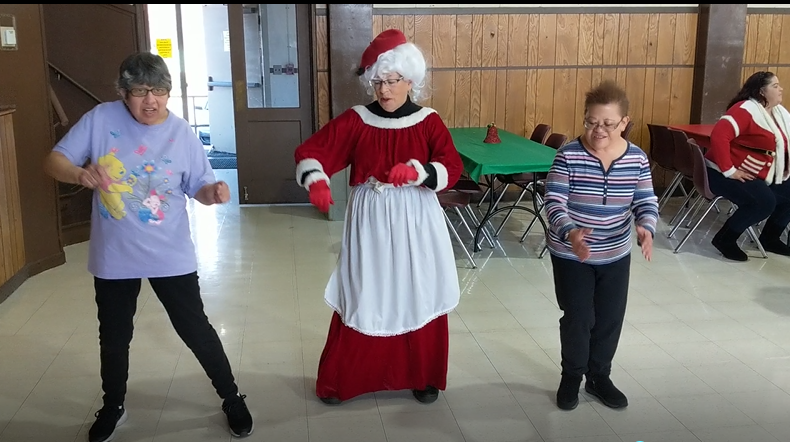 We also enjoyed dancing and eating healthy snacks. 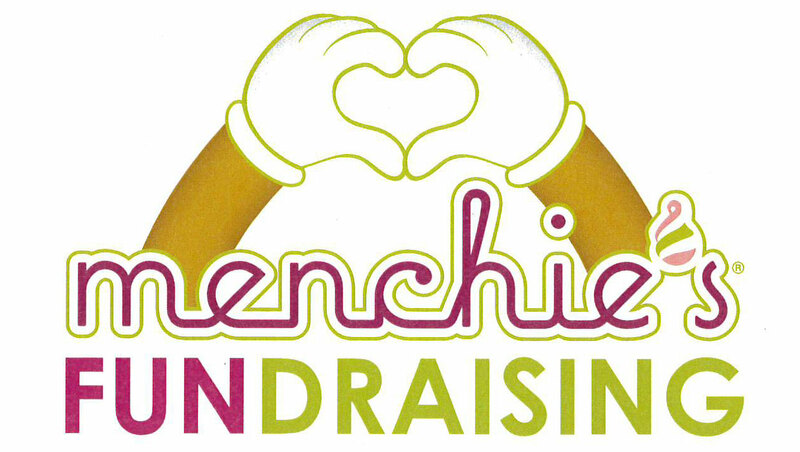 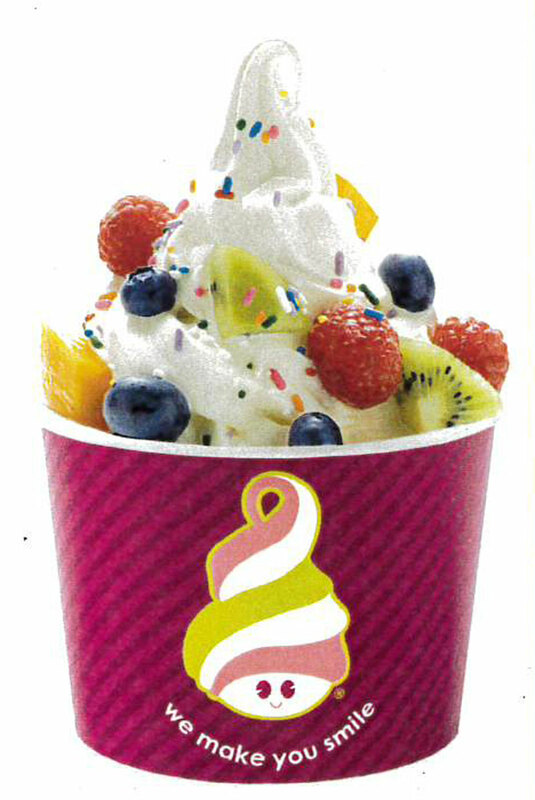 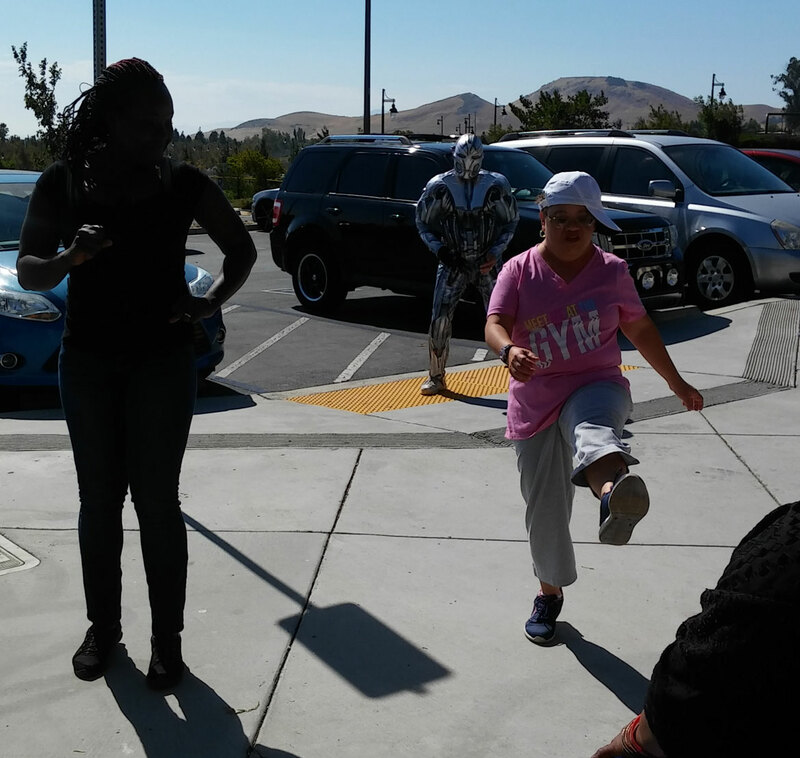 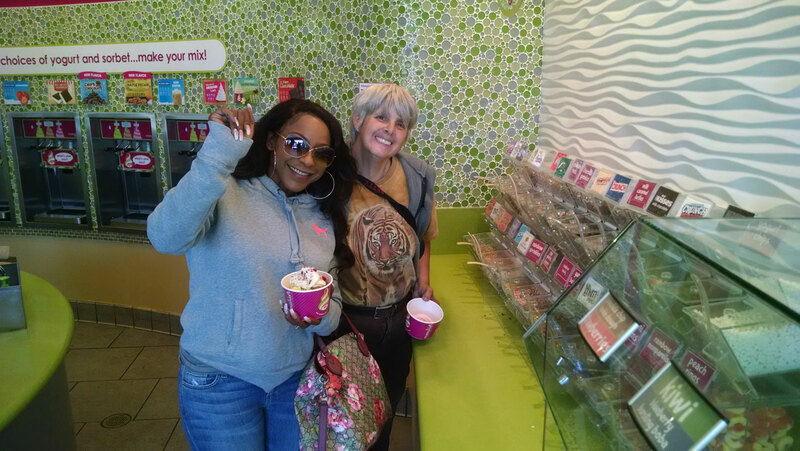 Menchie's, a Vallejo frozen yogurt shop, generously gave us a fundraising day, in which we collected a portion of the sales proceeds. 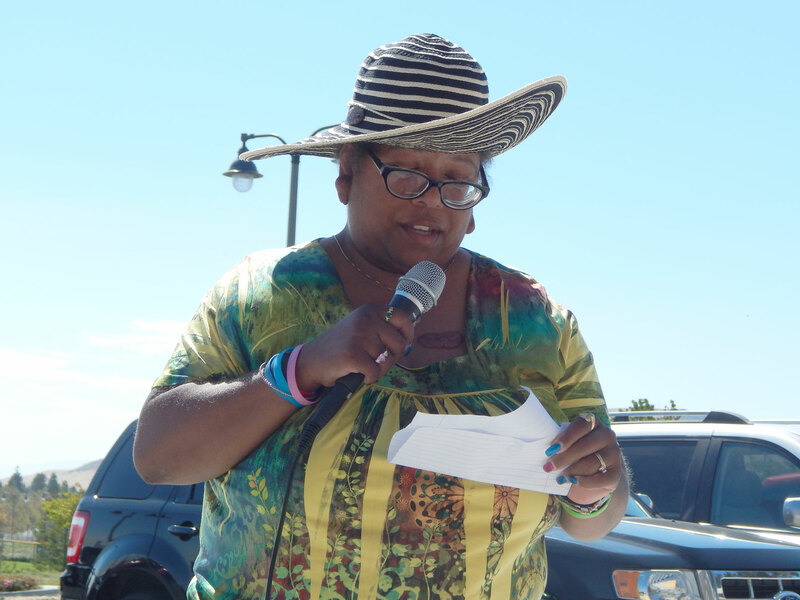 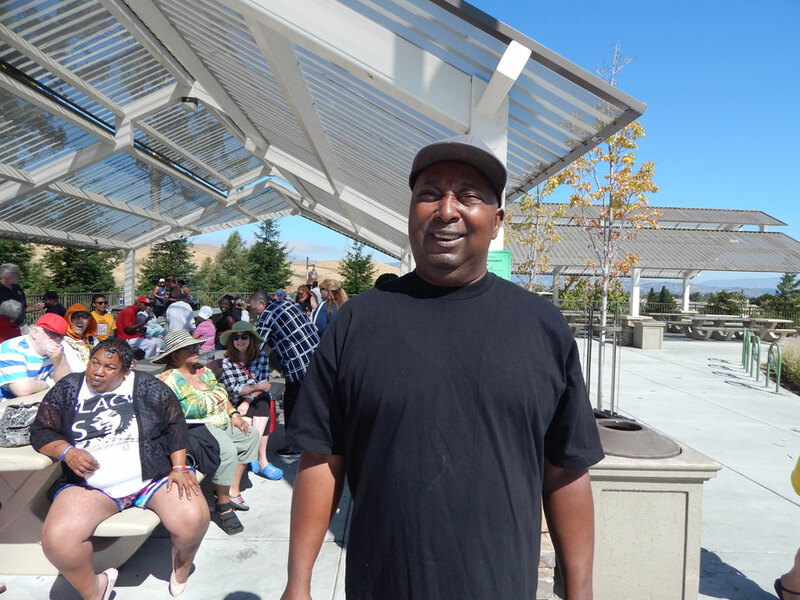 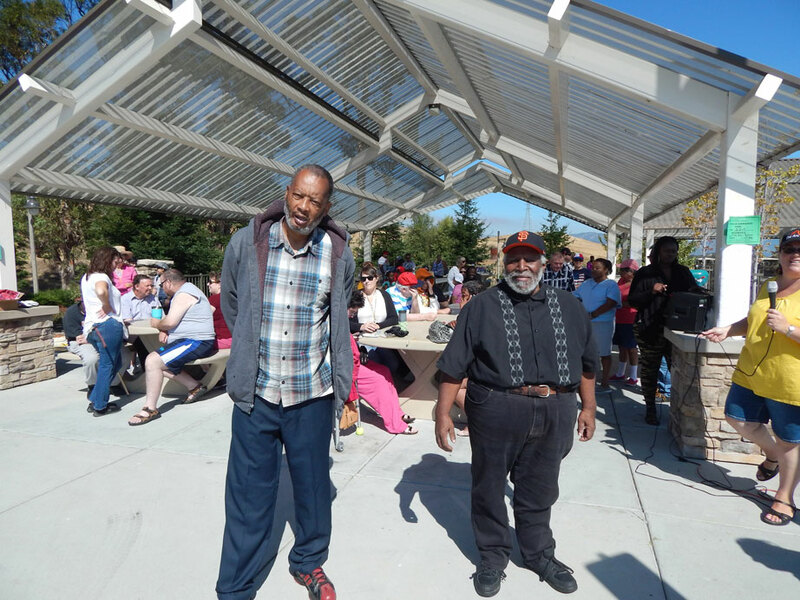 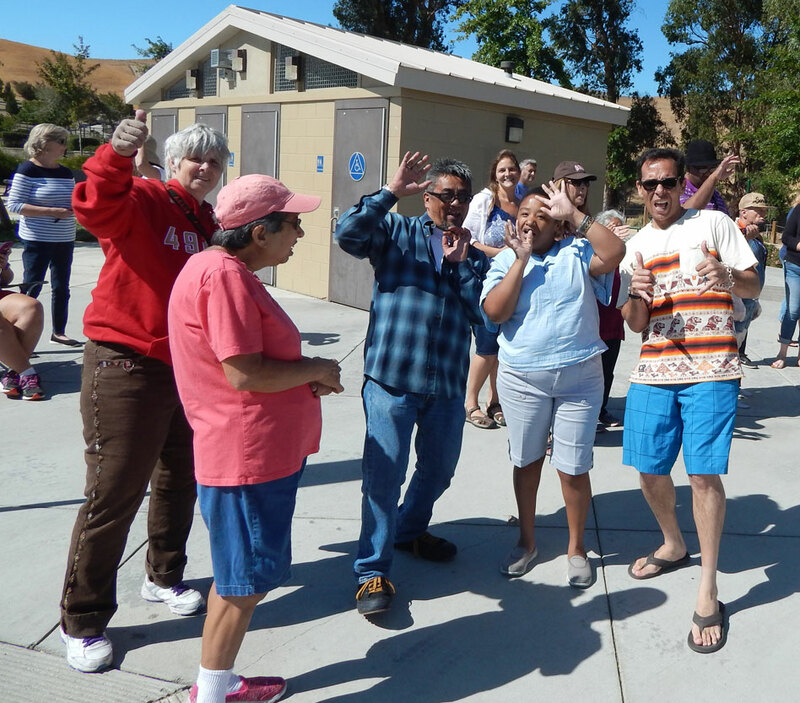 There was so much fun and laughter at the annual BBQ at The Cordelia Community Park. 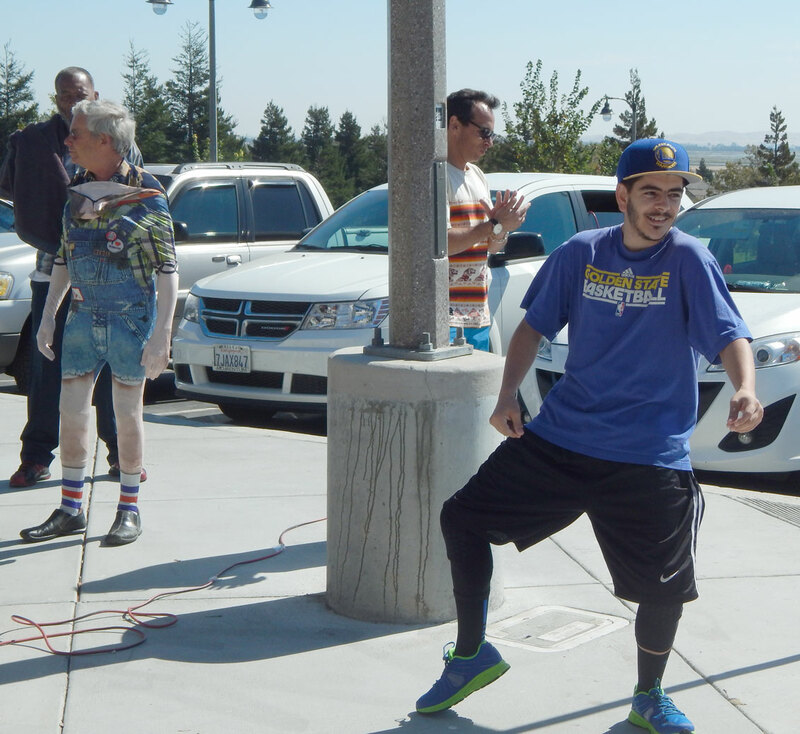 The talent contest was especially entertaining! 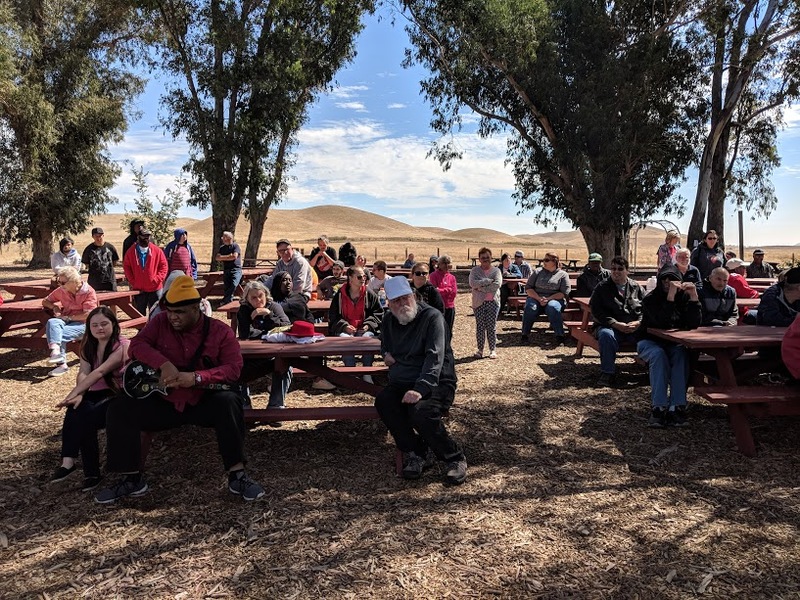 We also had the honor of being visited by Jack Bachelor, the Field Representative for Congressman Garimendi, and by Michael Wilson, Field Represenative with Supervisor Erin Hannigan's office. 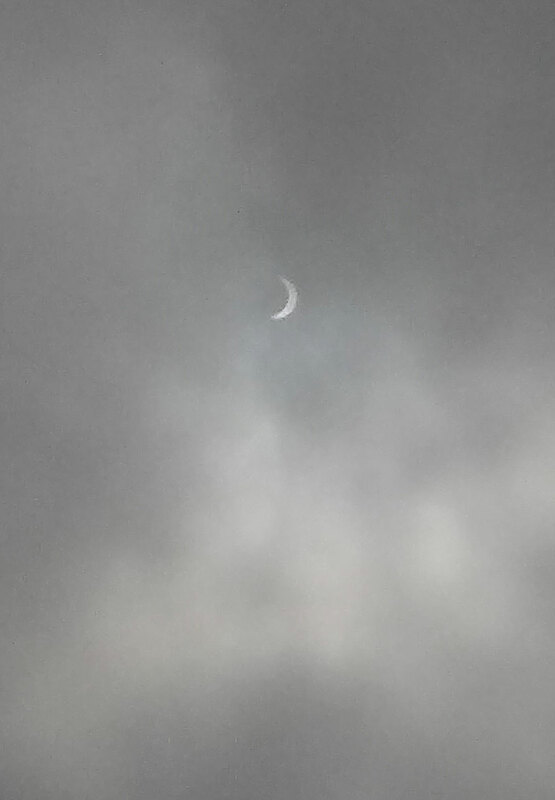 On August 21, the the solar eclipse could be seen from Vallejo...well, in theory. 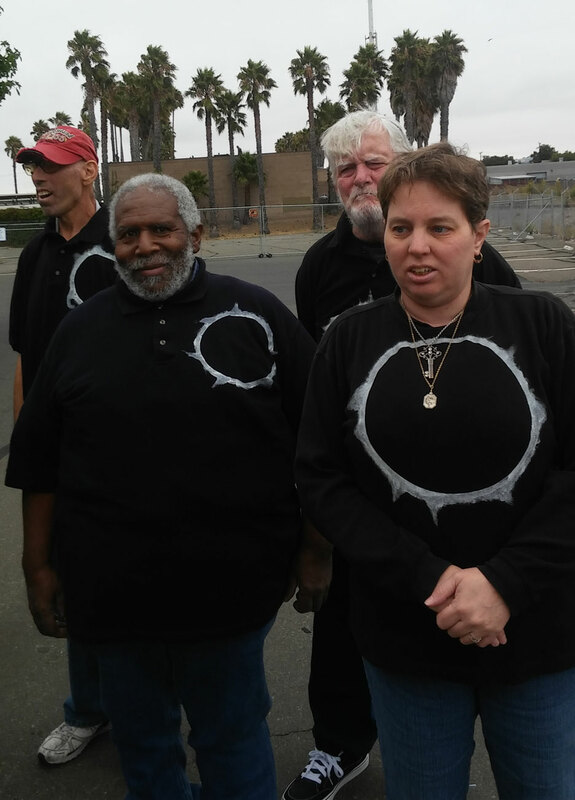 While we learned about the eclipse and wore eclipse shirts which were painted by staff, and had moon shaped snacks, the morning was cloudy, so we couldn't see the sun. 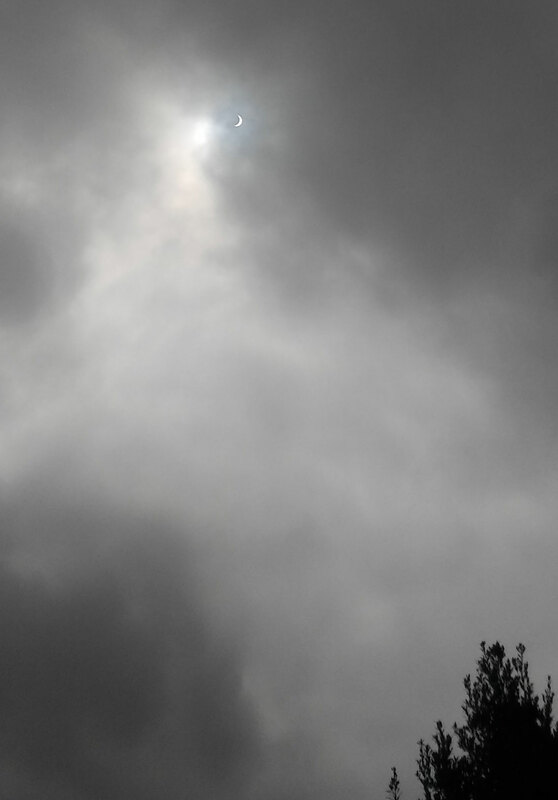 The sky became darker, so we had a bit of eclipse effect. 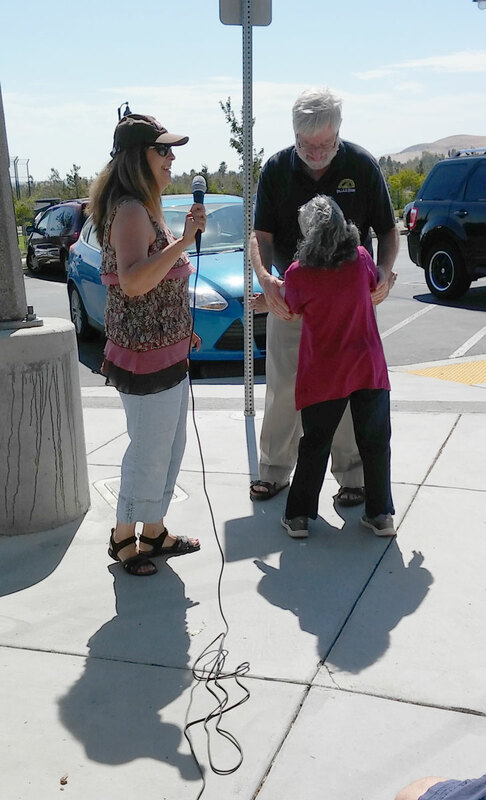 Marianita, one of our teachers, was able to view the eclipse from Benicia and shared her photos. 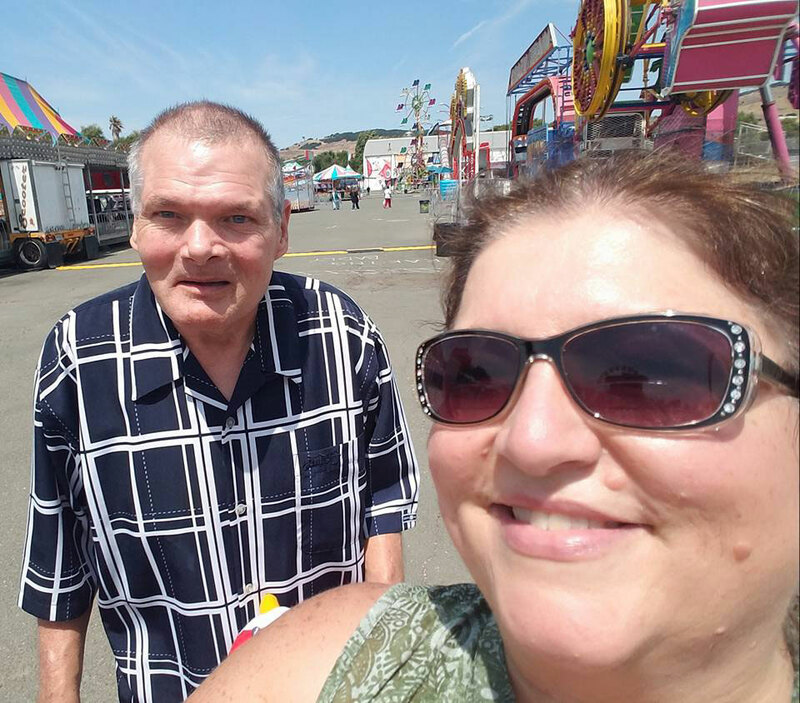 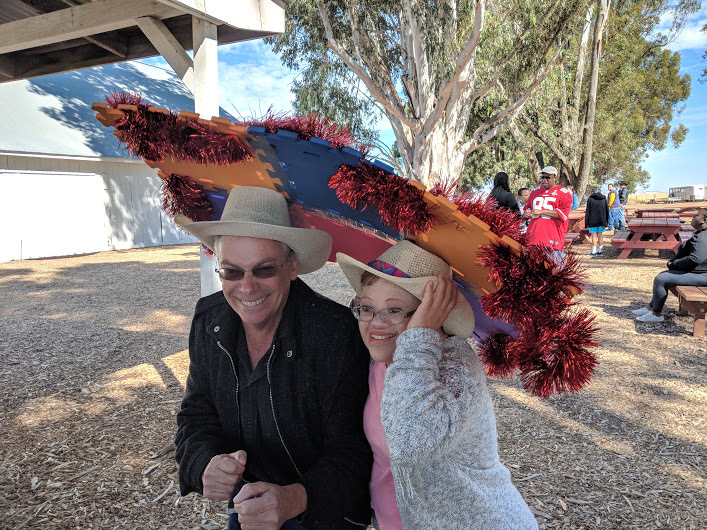 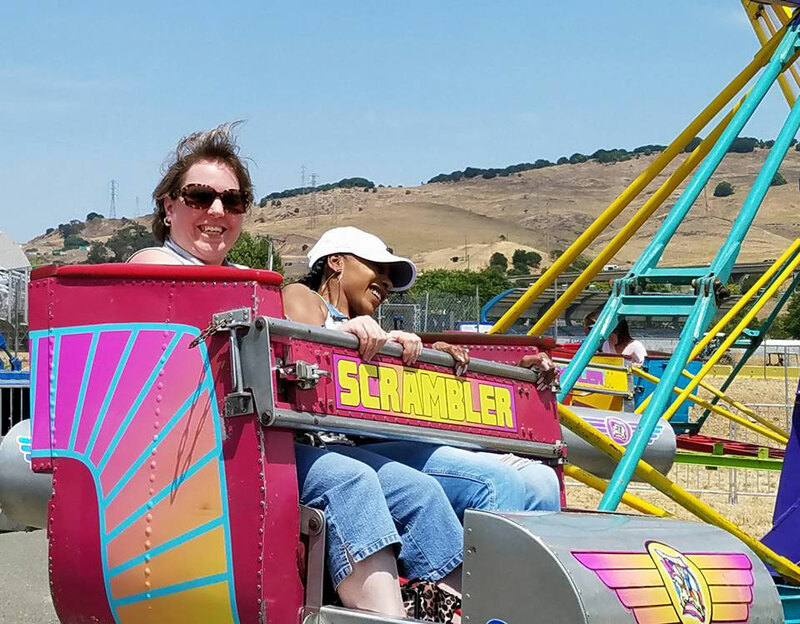 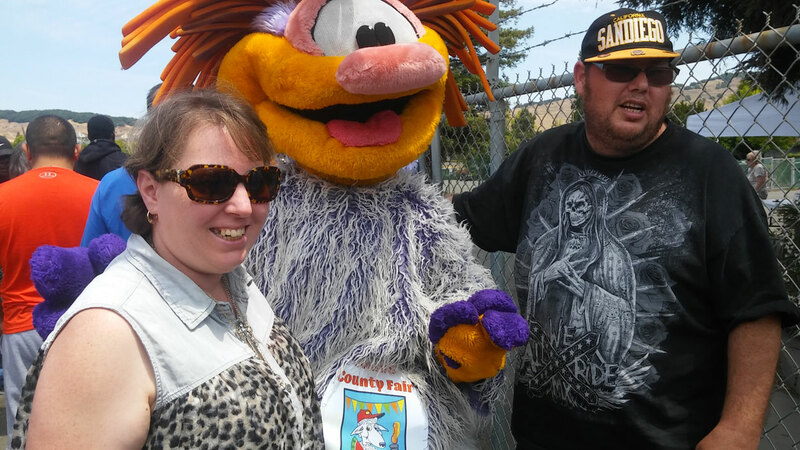 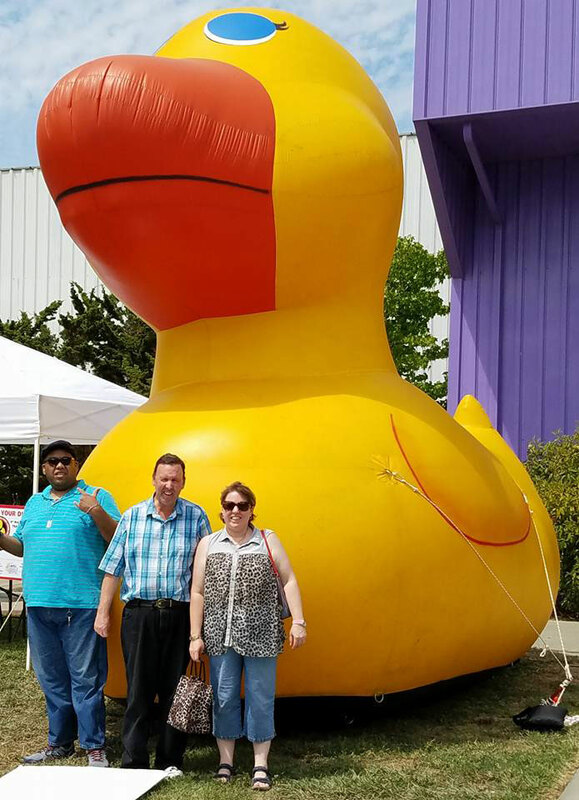 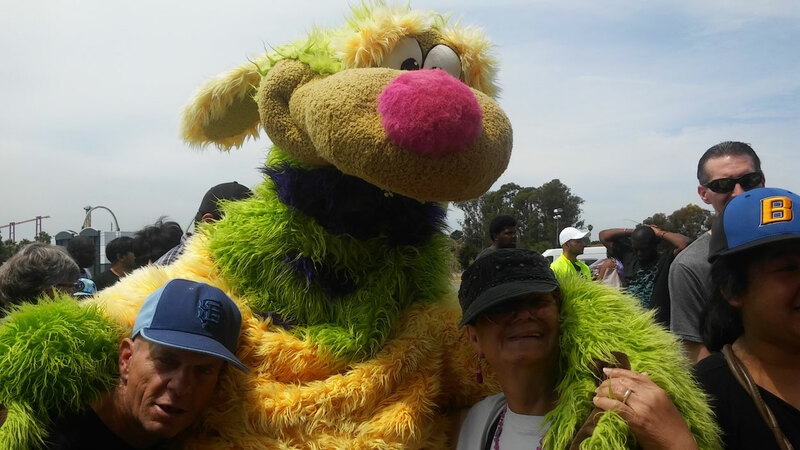 We all had an amazing time at the annual Solano County Fair. 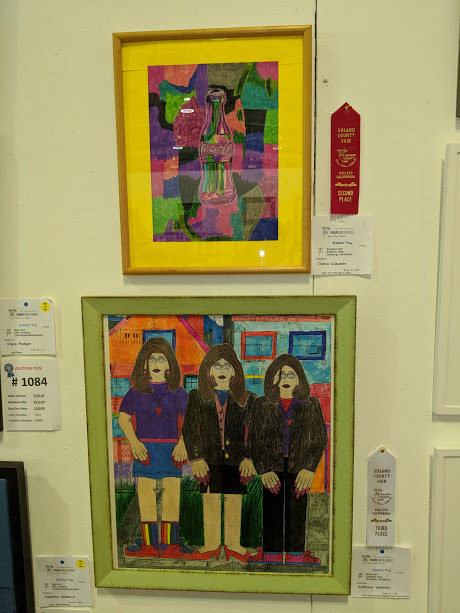 It was full of camaraderie as we attended exhibits, rode rides, ate Fair food, and won many awards for our artwork, which competes with that of the general public. 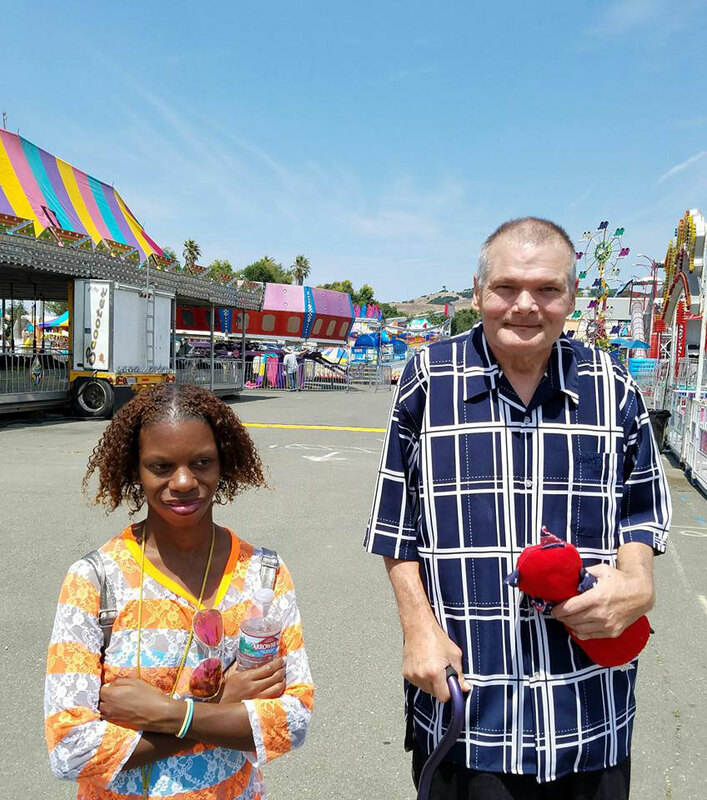 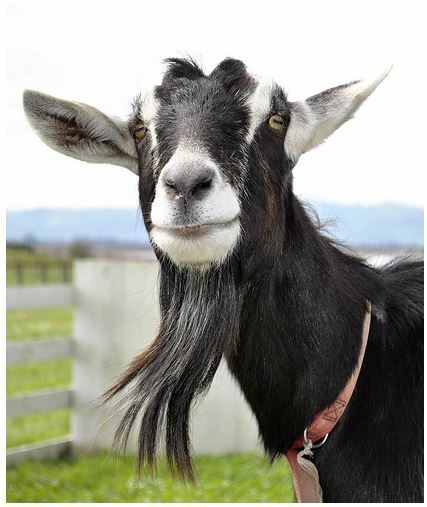 Each year, the Fair hosts "Special Friends Day." 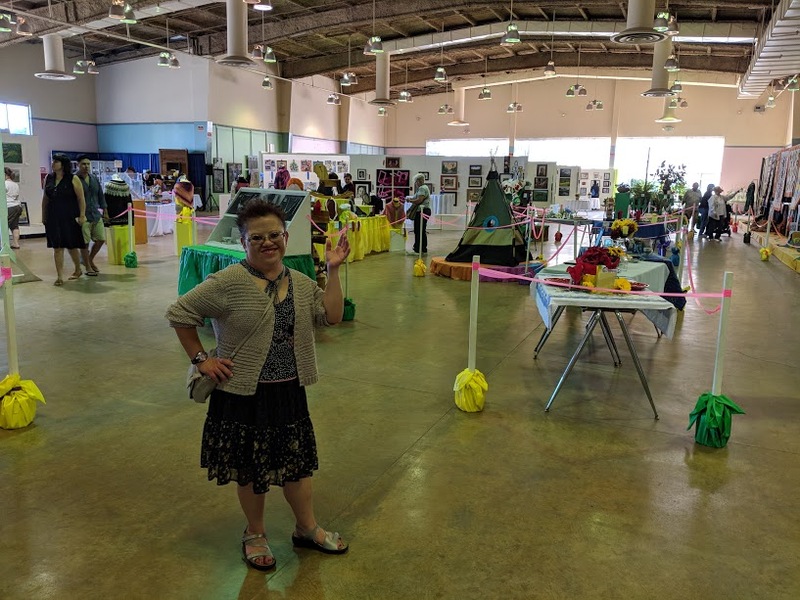 For two hours, hundreds of community members with special needs are able to enjoy the fair for themselves, without the usual crowd.  To find out more about it, please click here. 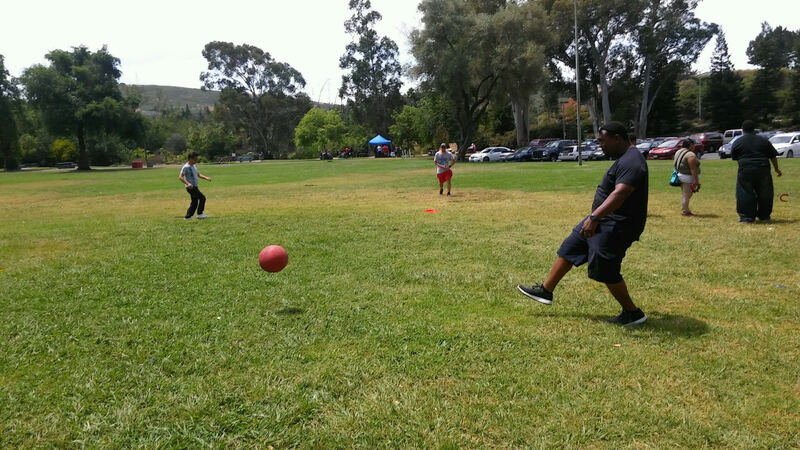 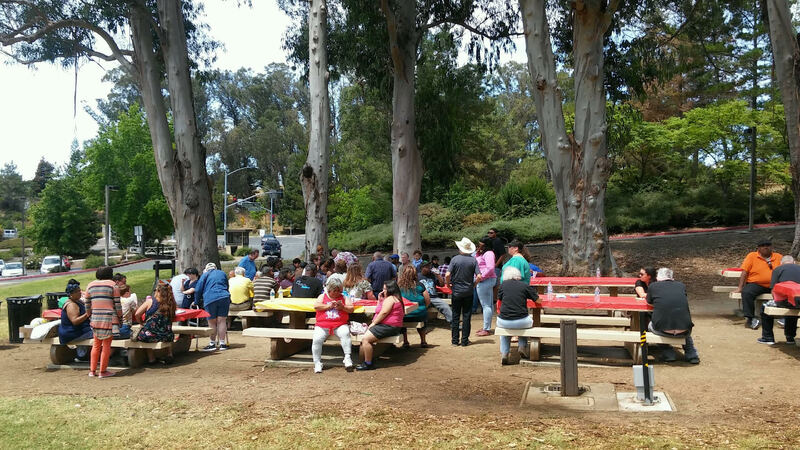 The ACT and TDS programs had a great time at the annual GVRD Reach Picnic! 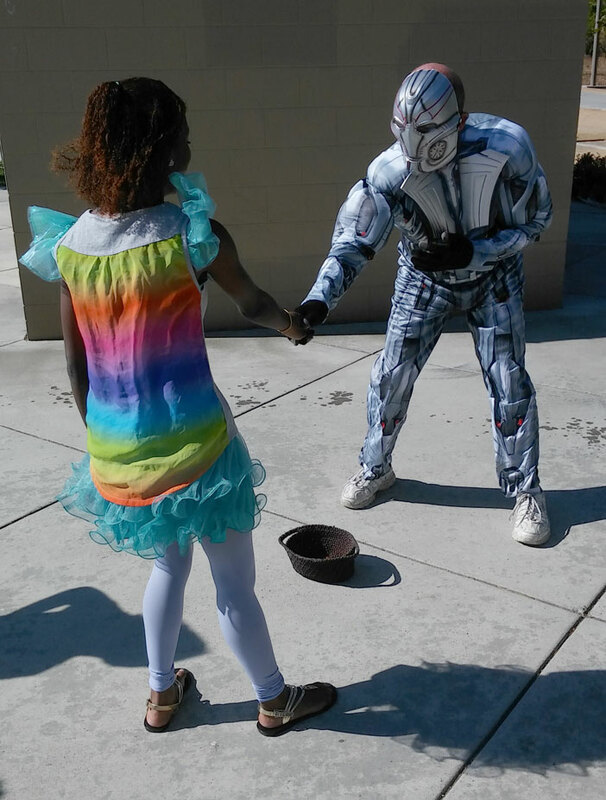 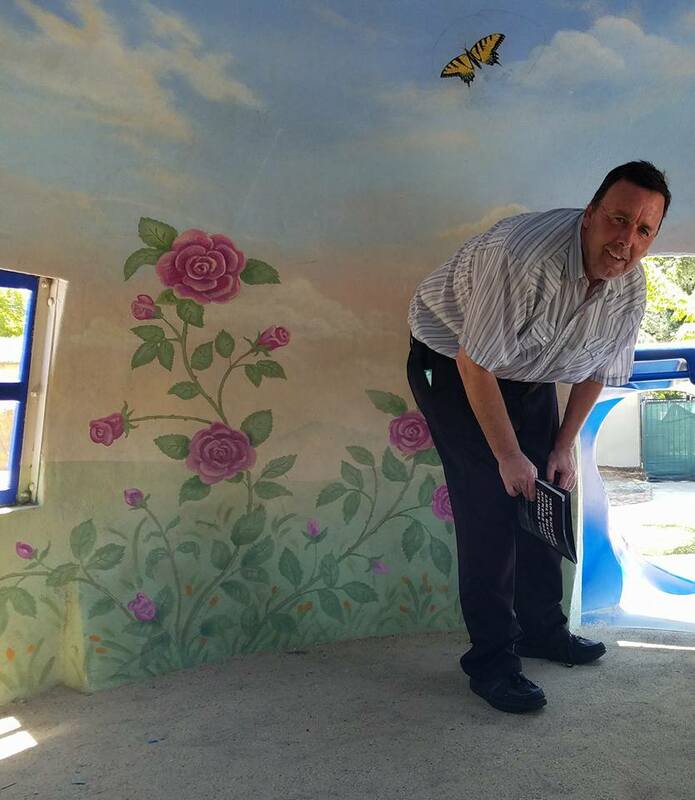 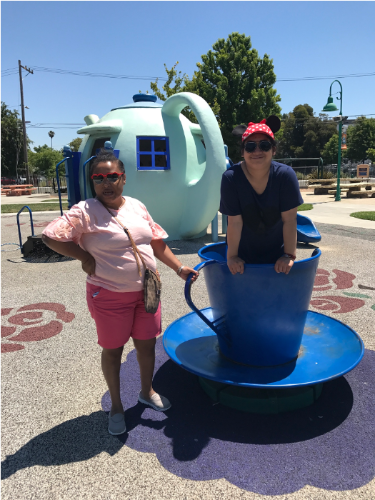 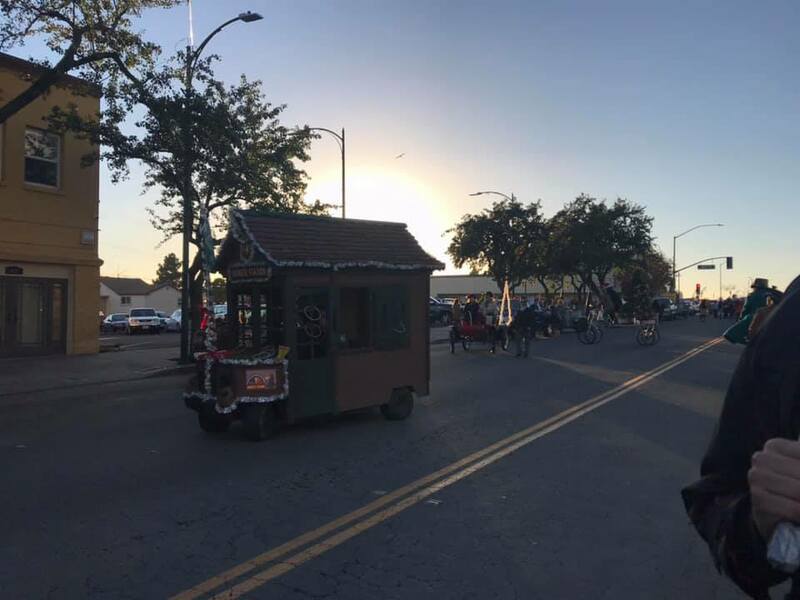 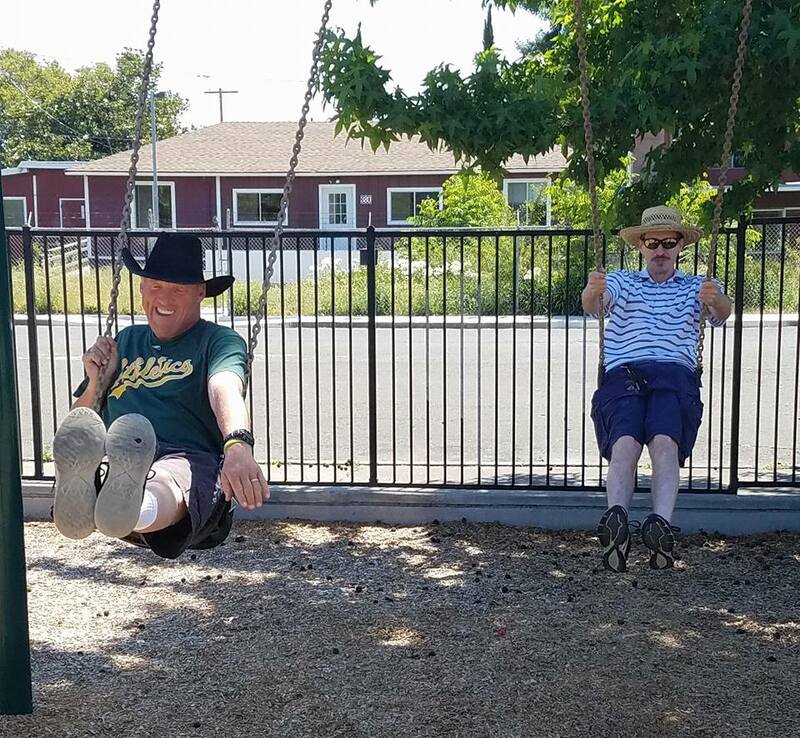 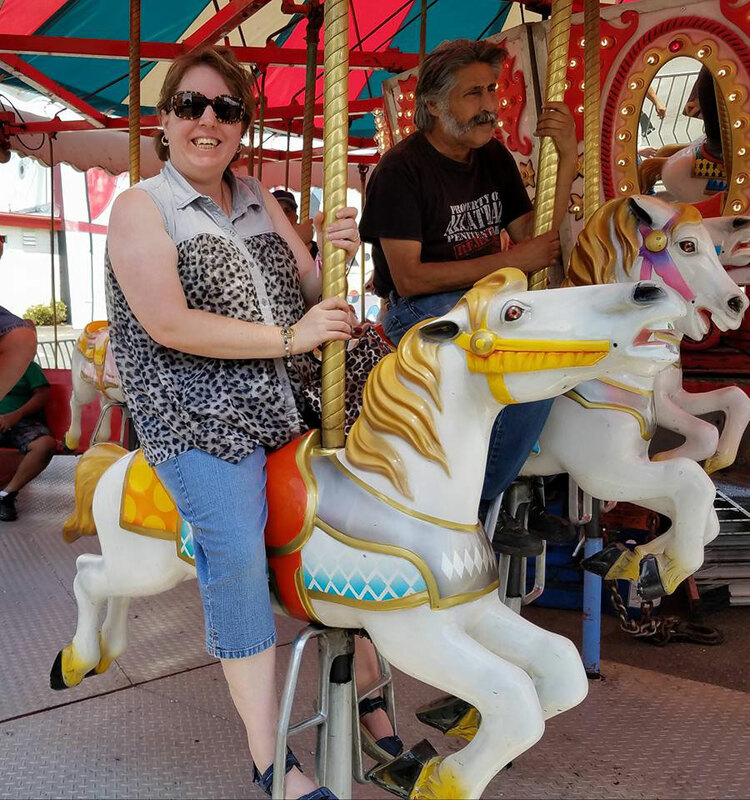 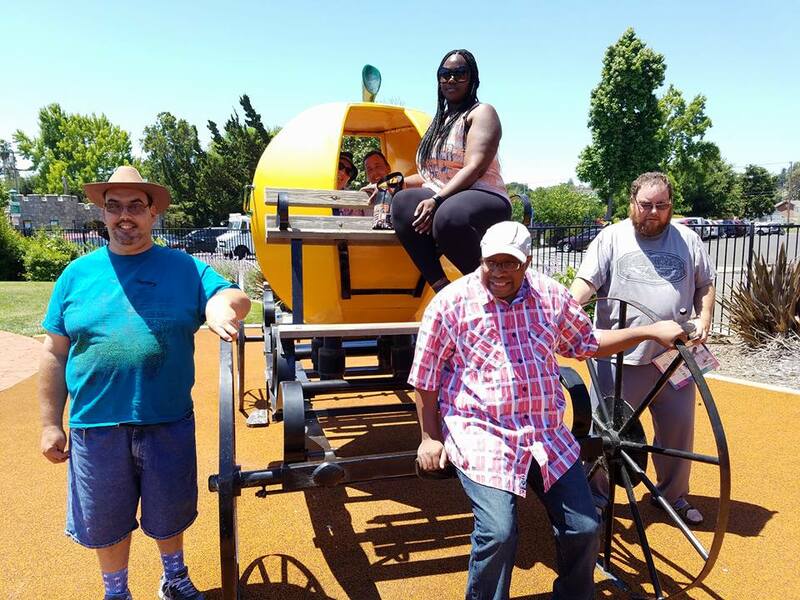 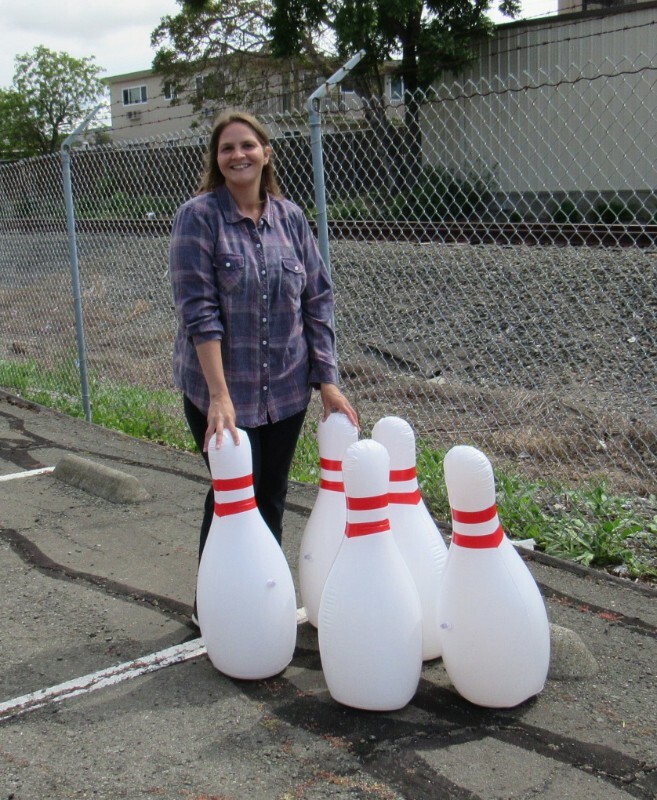 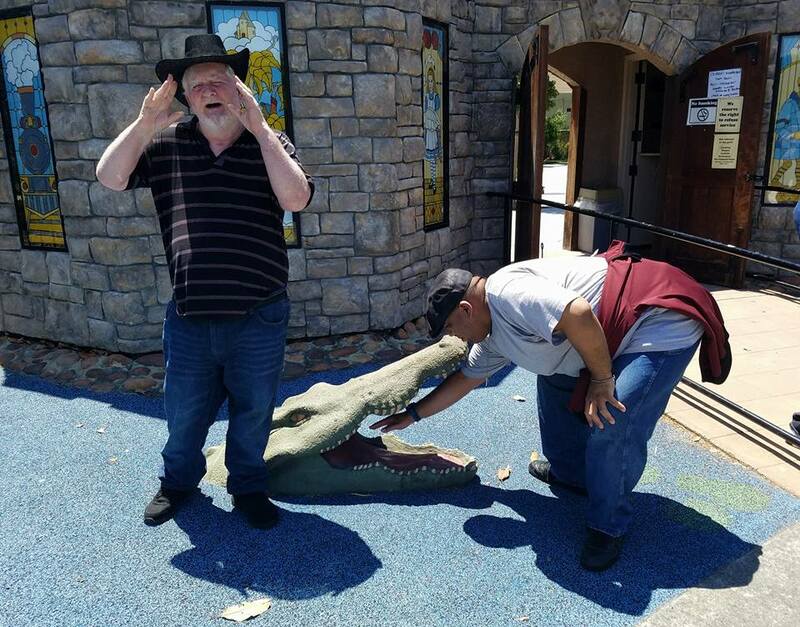 This year, the Greater Vallejo Recreational District hosted the picnic at Children's Wonderland on Glenn Street on Wednesday, June 21. 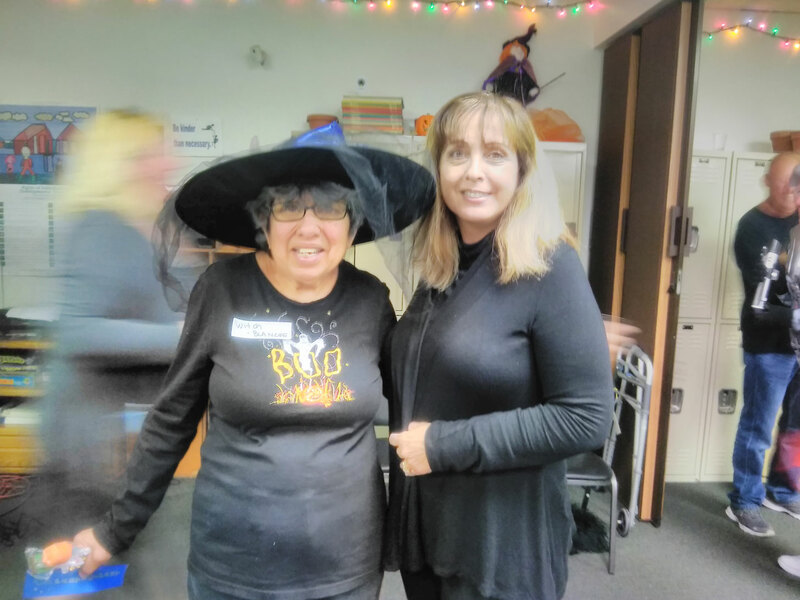 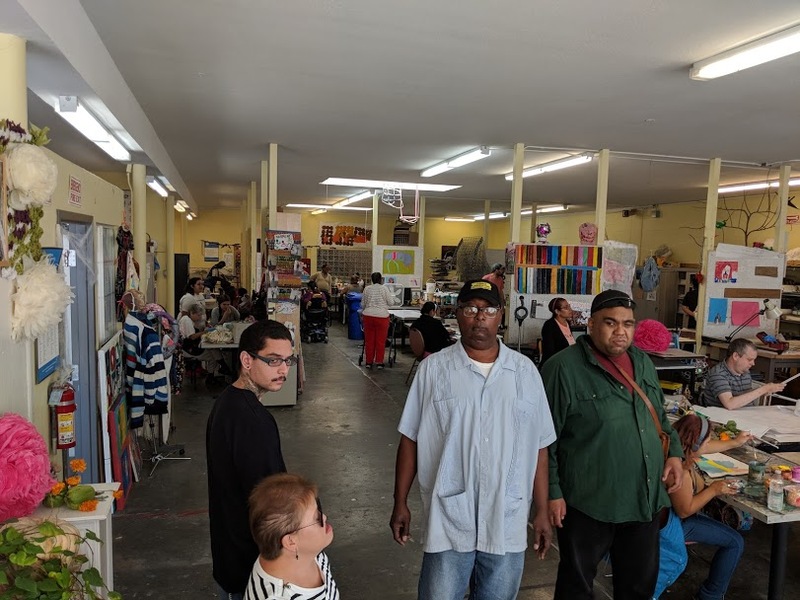 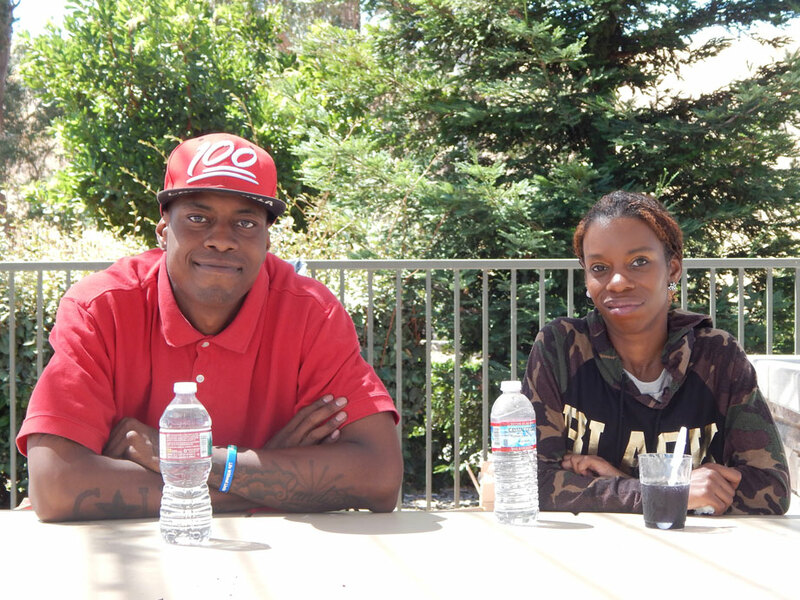 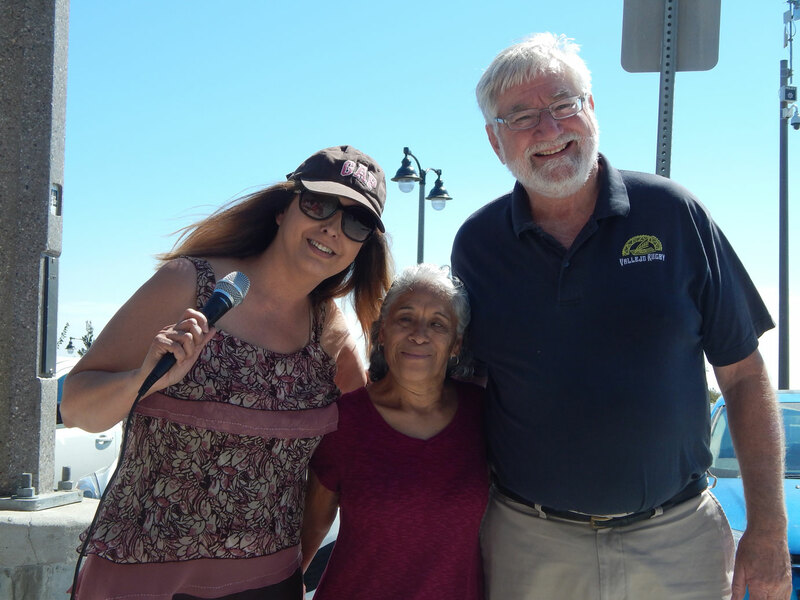 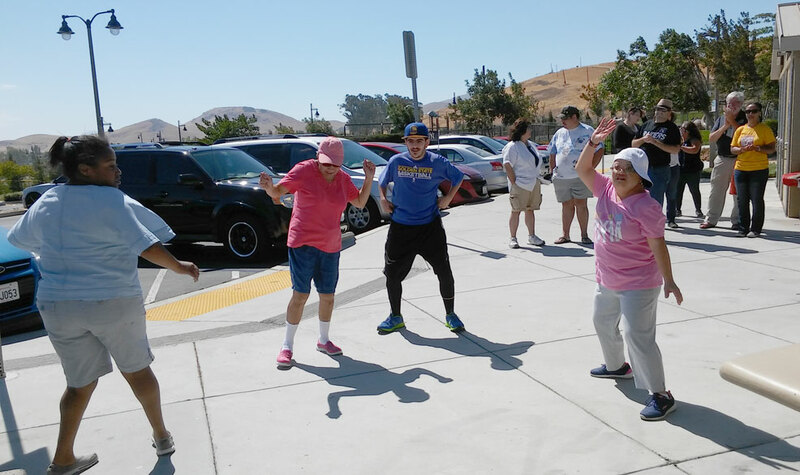 We love the opportunities that GVRD provides for our consumers to mix and mingle with people from other programs in Vallejo. 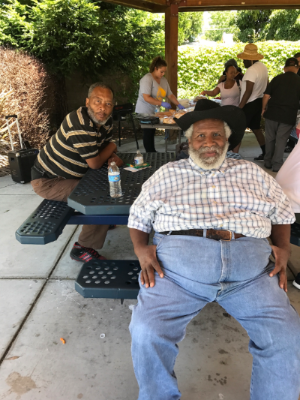 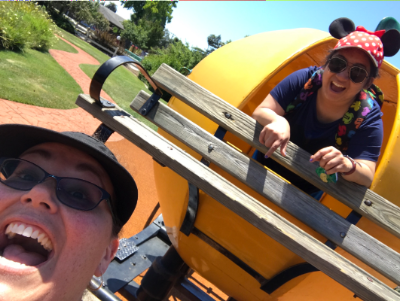 Our consumers enjoyed barbecued hamburgers and hotdogs, tossing frisbees around, pleasurable strolls around the park, and fun board games. 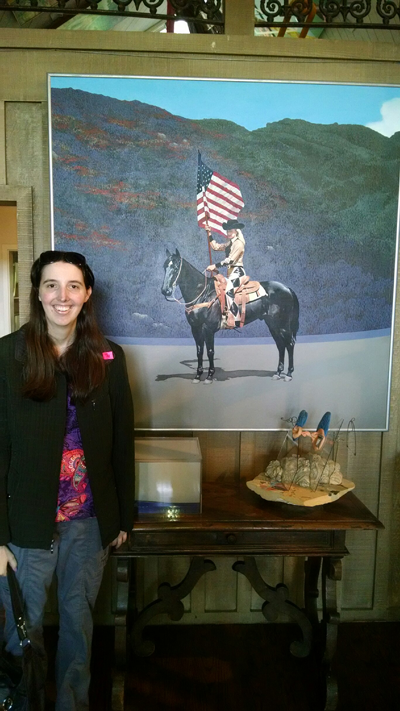 Thank you GVRD for this wonderful opportunity! 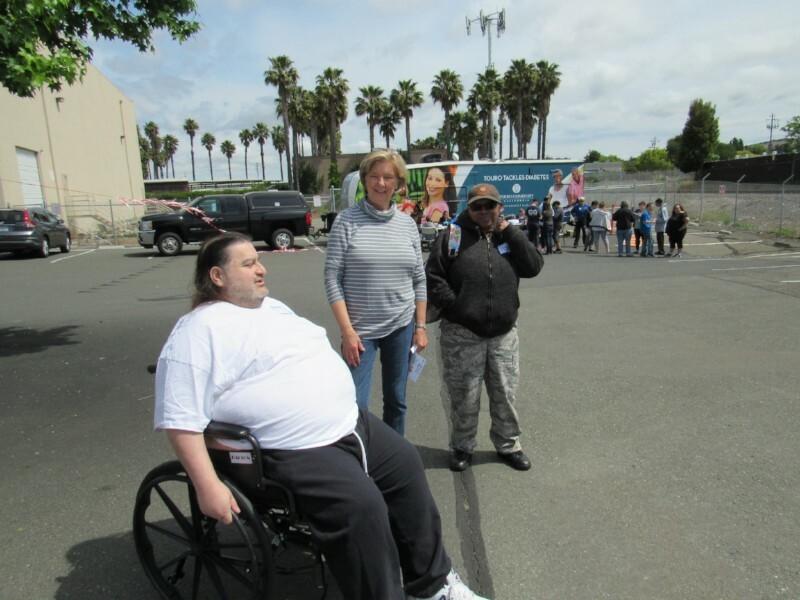 This year, Disability Capitol Action Day was June 13. 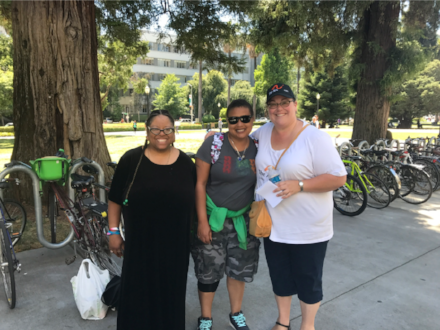 Consumers from all three Core Programs made the trek to Sacramento to advocate for themselves. 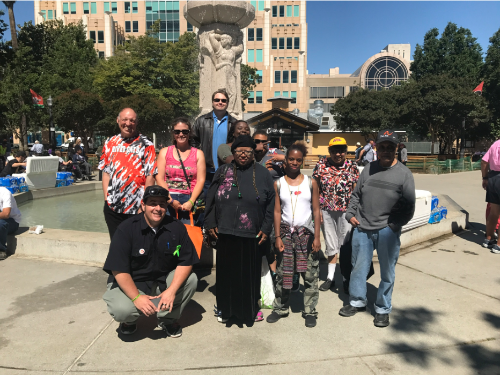 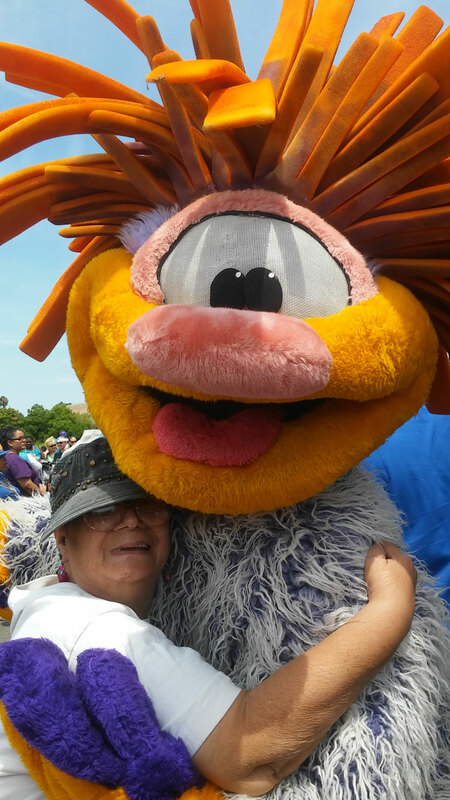 We started the day at Cesar Chavez Plaza for a resource fair and educational rally. 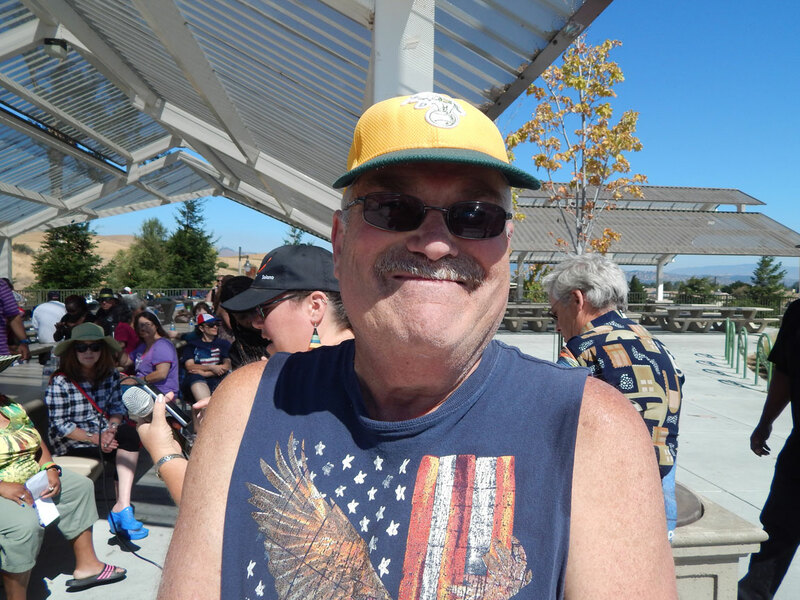 Many inspiring speakers pumped up and educated us about the trouble brewing in Washington DC and what needs to be done in California. 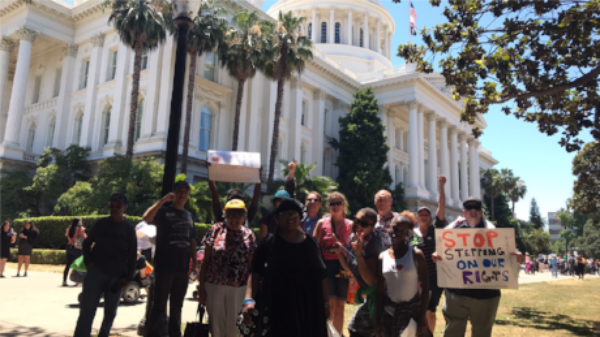 We then marched from Cesar Chavez Plaza to the south lawn of the state Capitol, while chanting, "We're here! 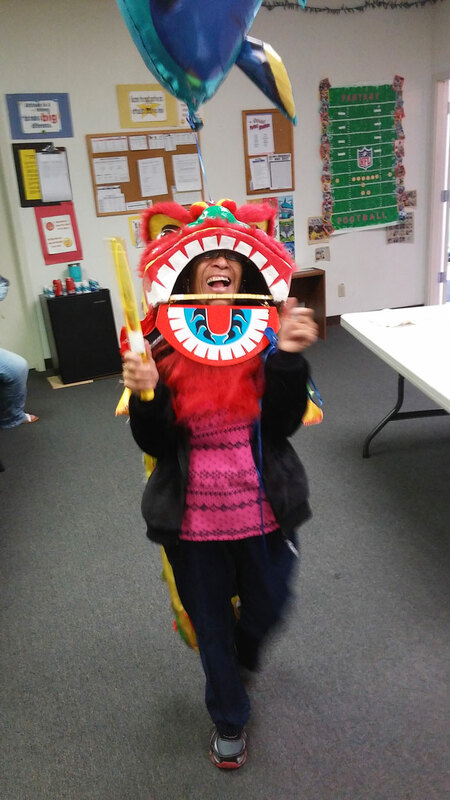 We're loud! 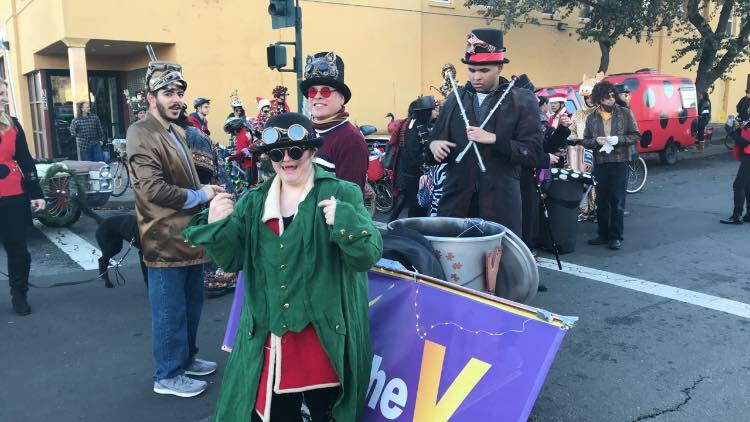 We're disabled and proud!" 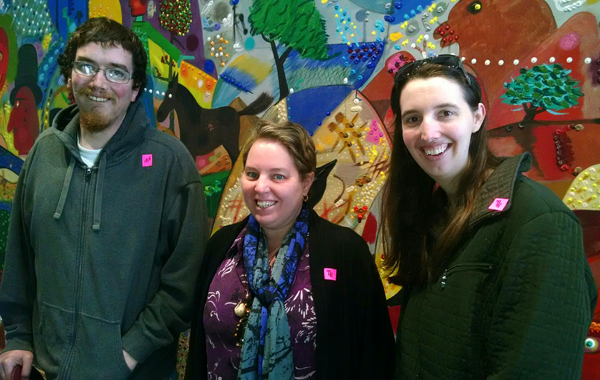 After taking a break to rehydrate and eat our brown bag lunches, we stormed the Capitol! 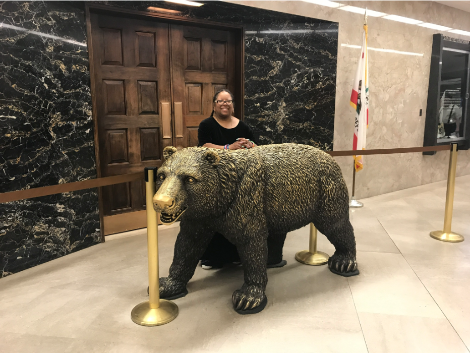 Breaking into smaller groups, each team chose a state Senator or Assemblyperson's office to visit. 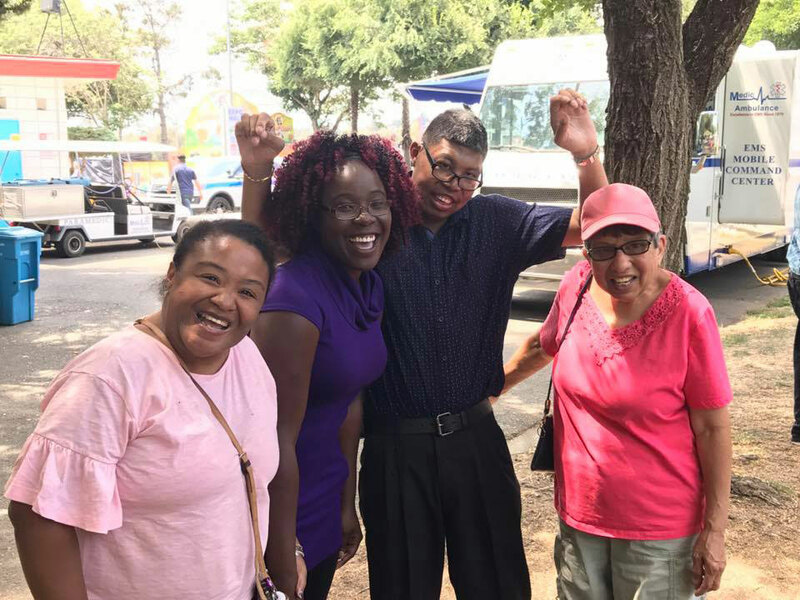 This was especially exciting for TDS Consumers Sonia Jones and Bridgette Bohannon as they didn't leave a message with an aide, but they spoke directly with our local representative! 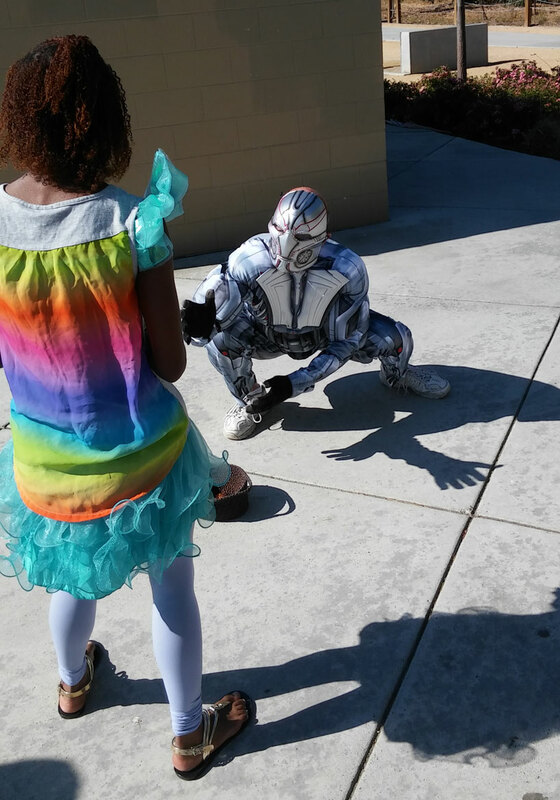 While standing outside Assemblyman Tim Greyson's office, Mr. Greyson came out. 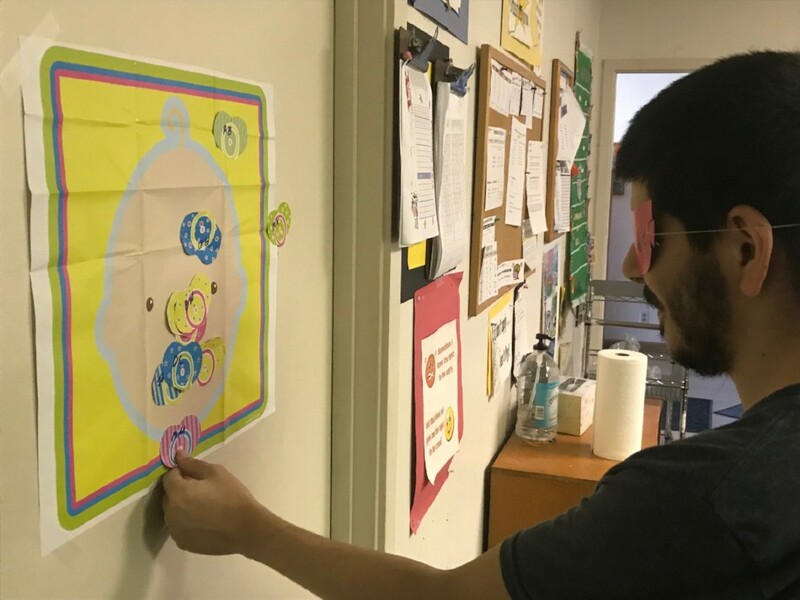 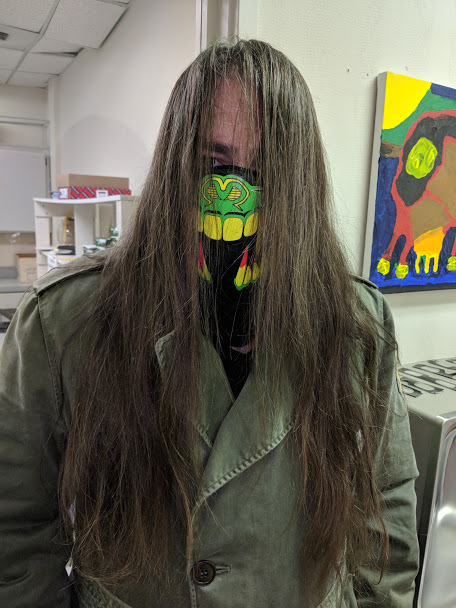 After realizing that we were his constituents and Bridgette and Sonia wanted to tell him about some important issues, he quickly ushered us into his office for a meeting. 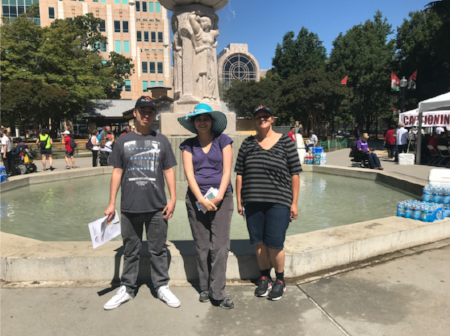 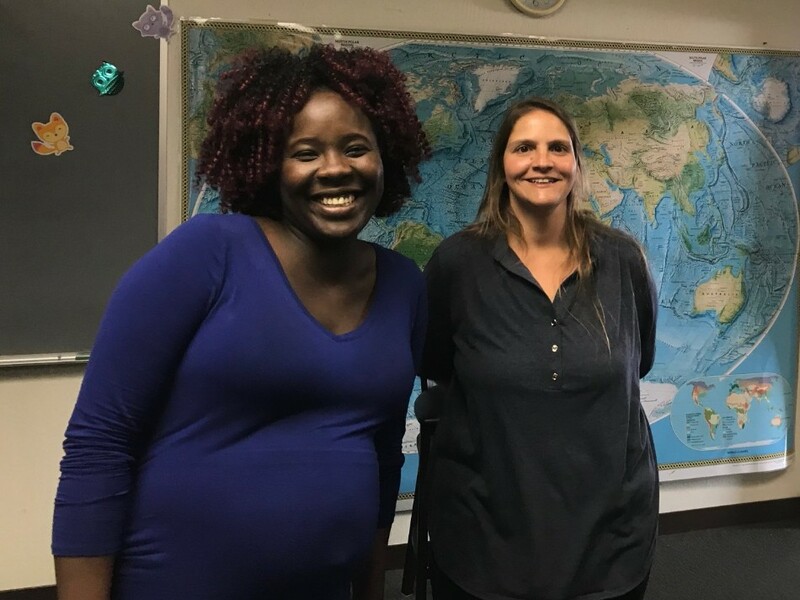 Sonia and Bridgette were able to explain why Medi-Cal and SSI are critical to their lives and that Mr. Greyson should care about these issues. 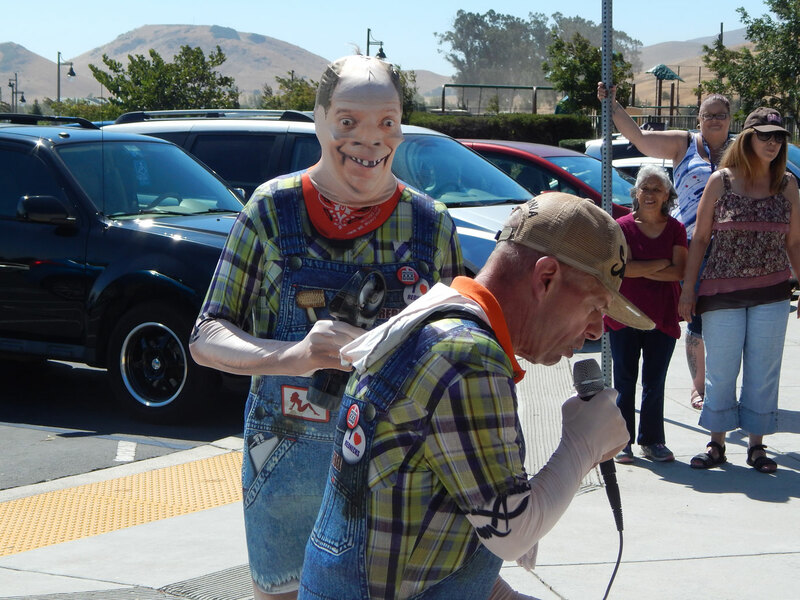 They were so pumped that they got the chance to speak directly with their Assemblyman. 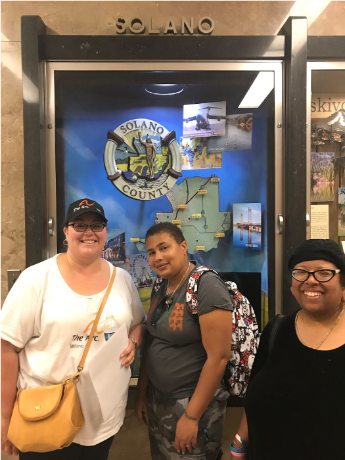 The Arc-Solano is so proud of these ladies, and all our consumers, who came to Sacramento and made their voices heard! 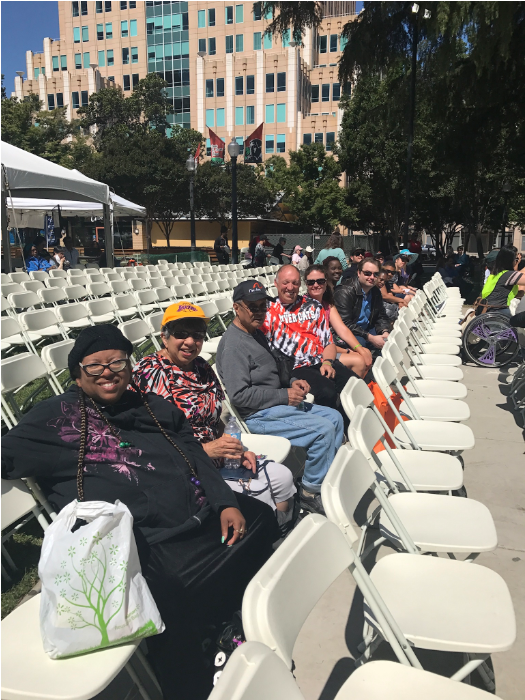 The Arc-Solano at the rally! 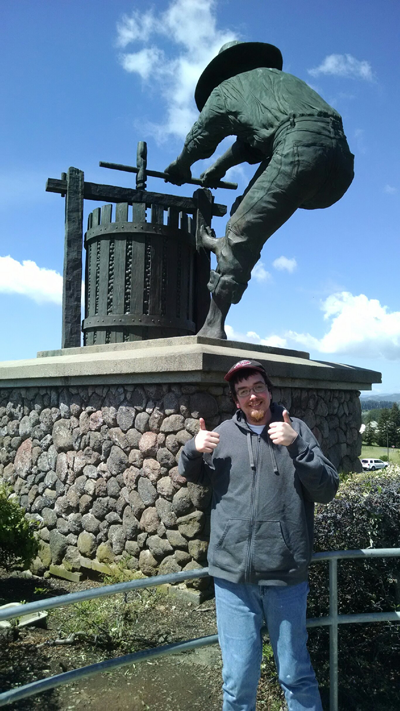 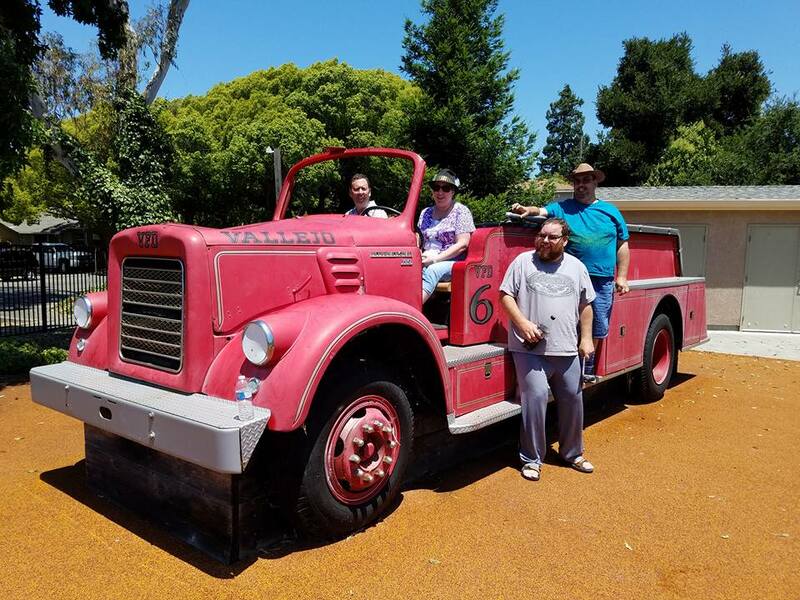 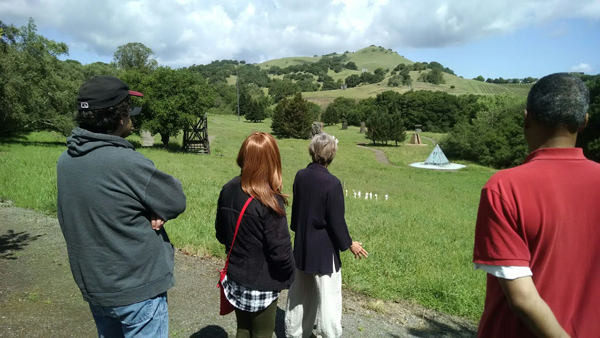 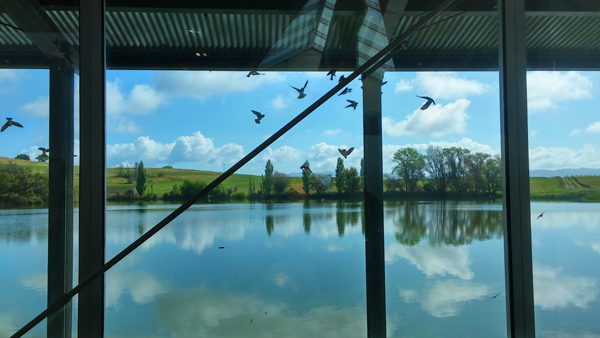 Six artists within the Art@Arc program, along with staff, visited the di Rosa Art Preserve in the Napa hills. 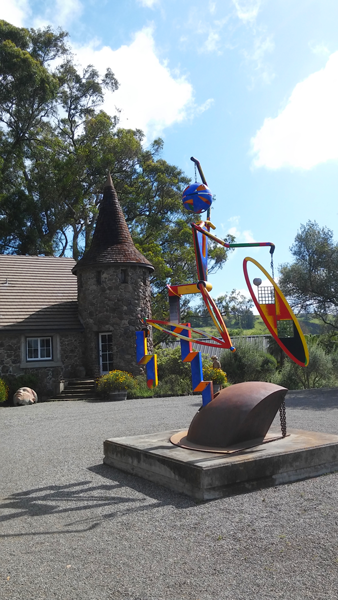 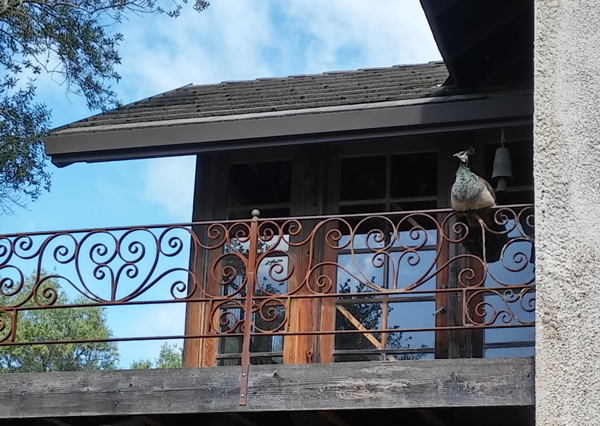 The di Rosa is an art oasis set on a large estate of amazing natural beauty. 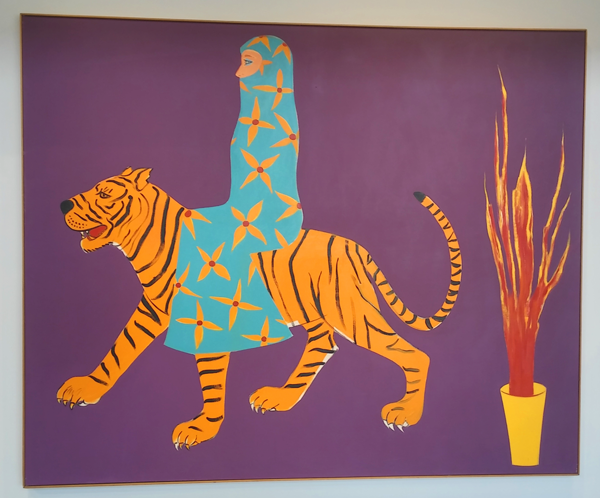 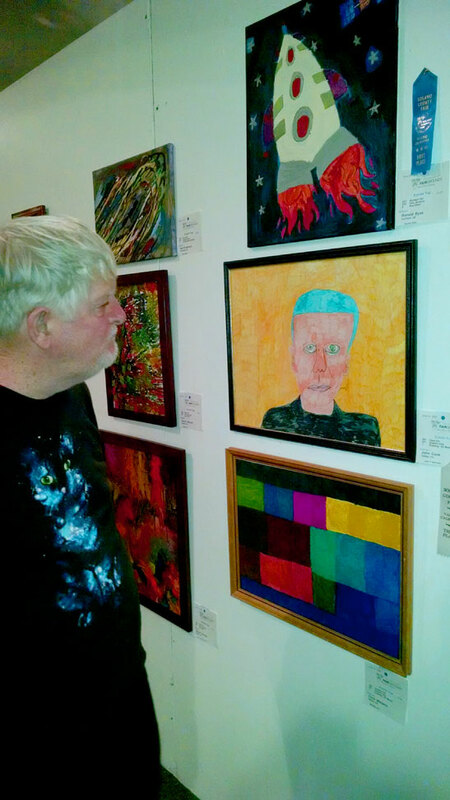 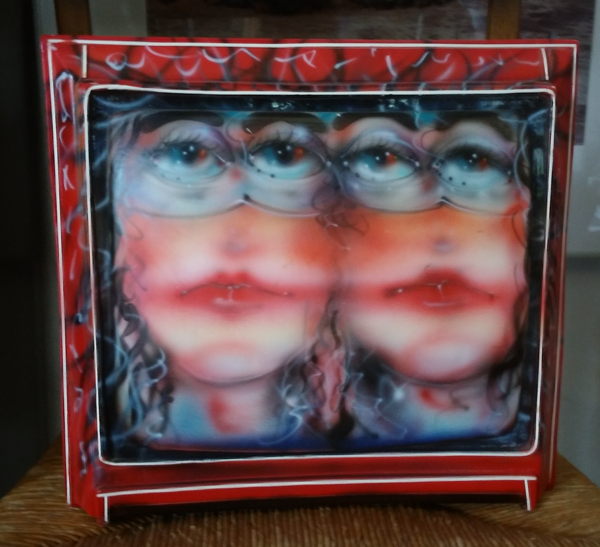 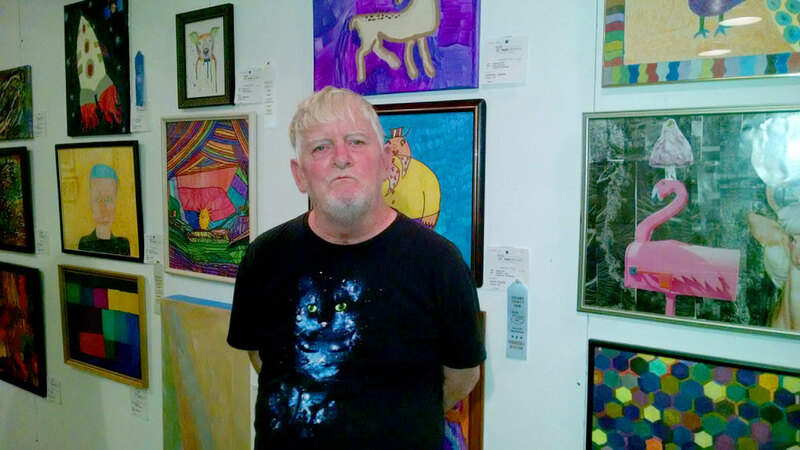 It holds a huge collection of art by Northern California artists. 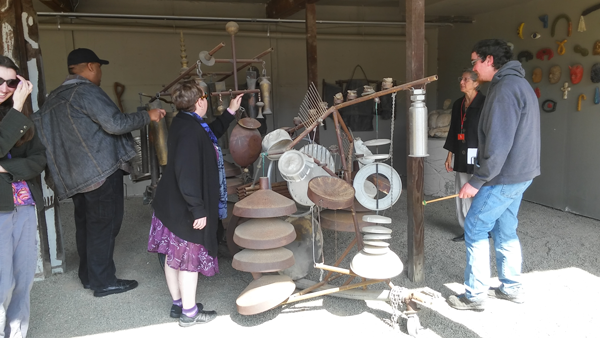 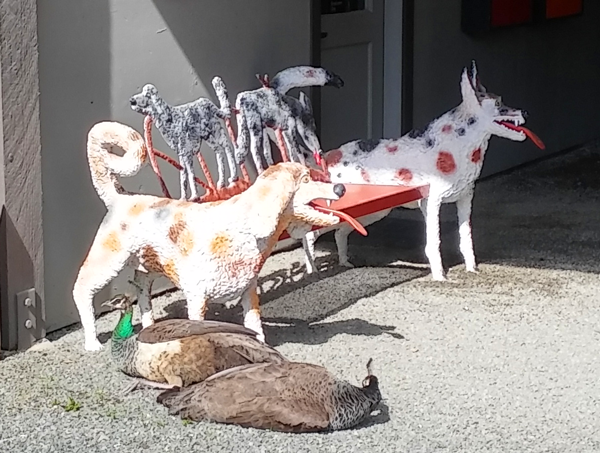 We were inspired and enchanted by the many pieces of art, both in the gallery spaces and in the outdoor sculpture gardens. 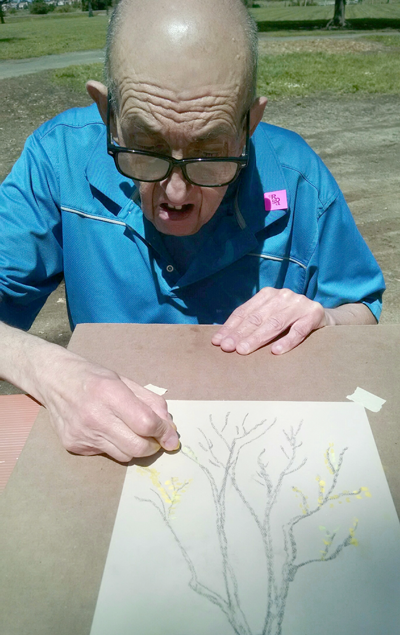 Afterward, we visited a local park, where we picnicked and explored nature by doing plein aire drawing. 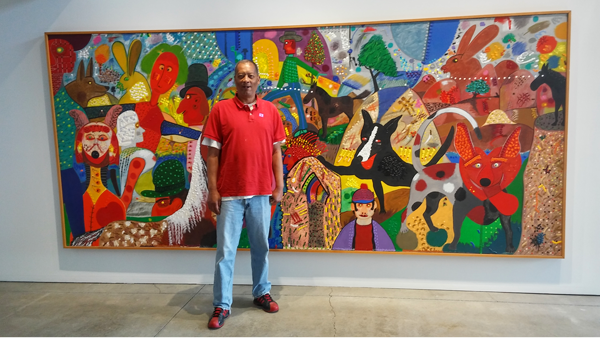 The Art@Arc program provides instruction and guidance in several media. 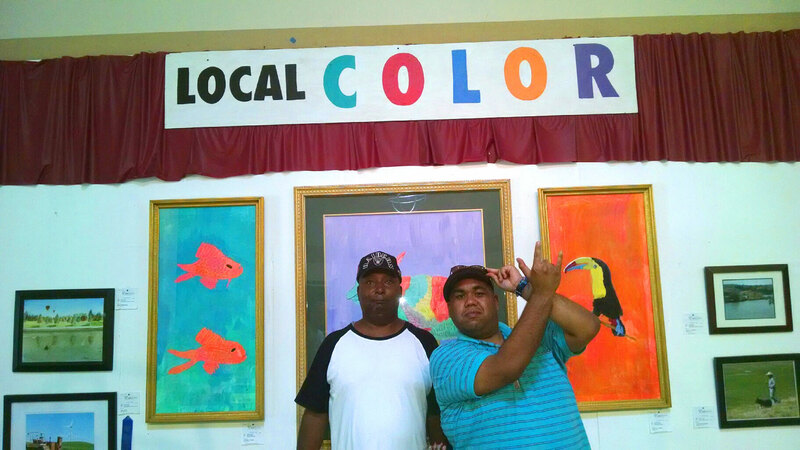 Additionally, we educate our art students about art history and art within the greater community. 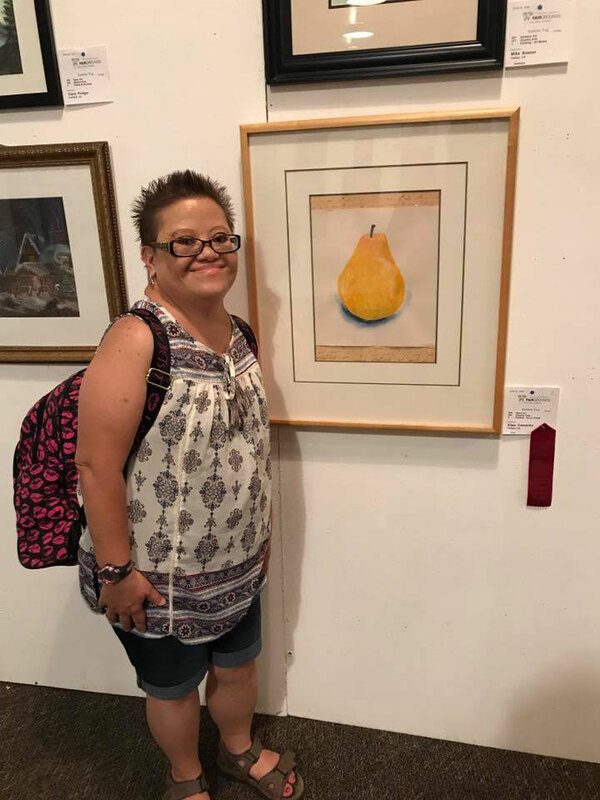 We participate in the art competition at the County Fair, winning many awards each year, and our work is also shown in local galleries. 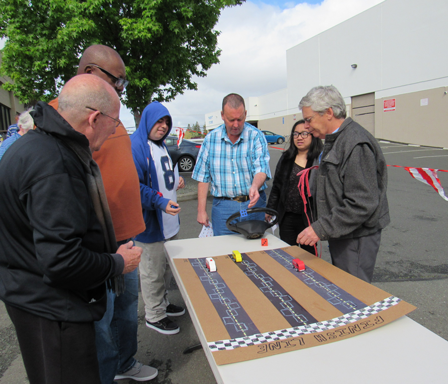 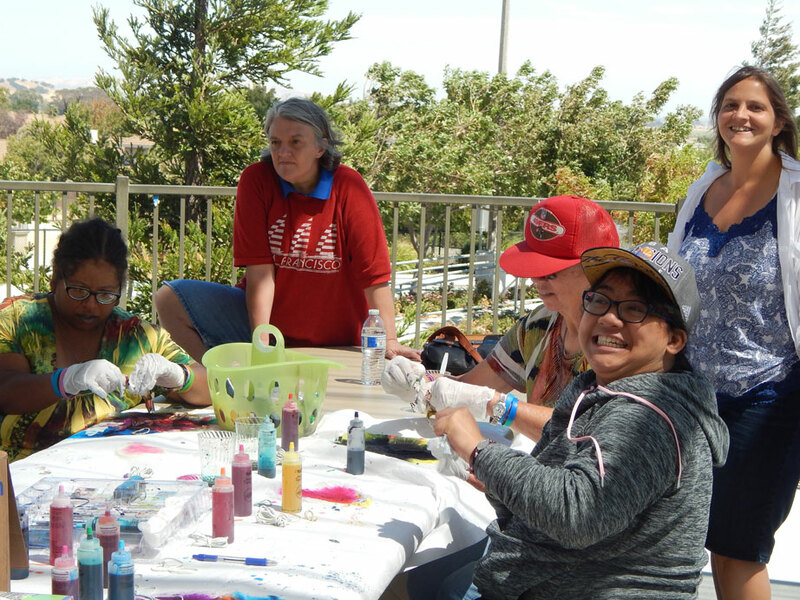 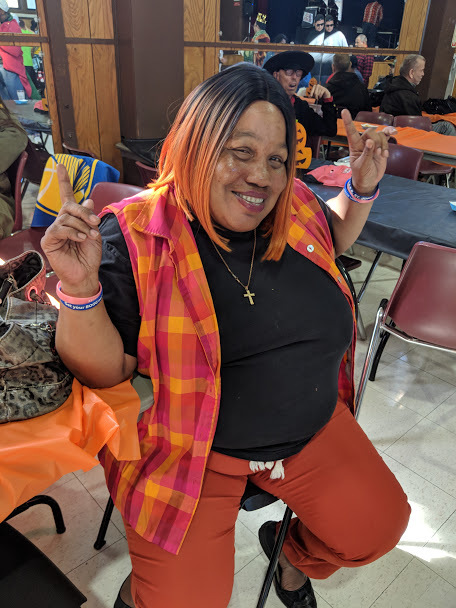 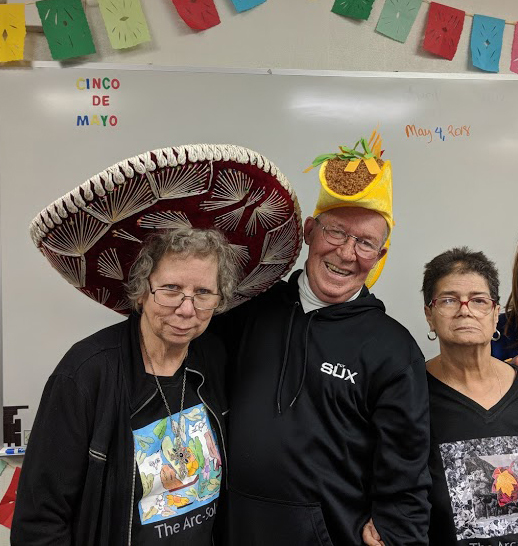 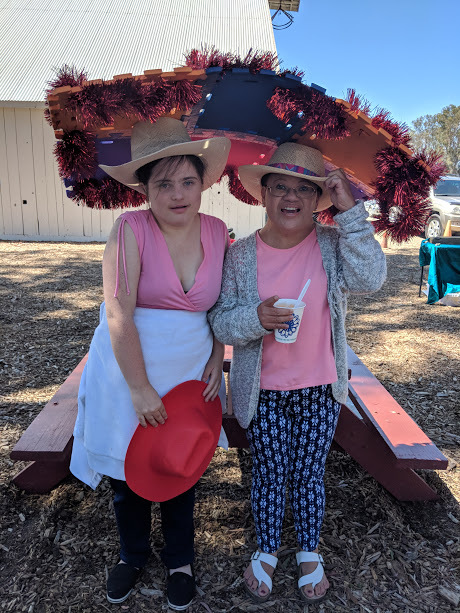 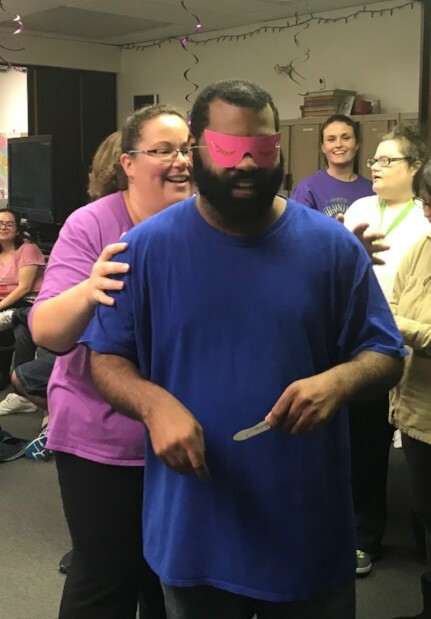 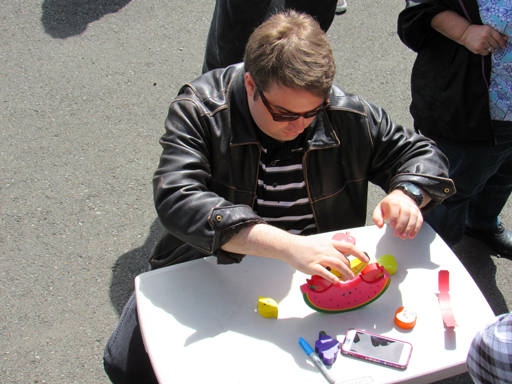 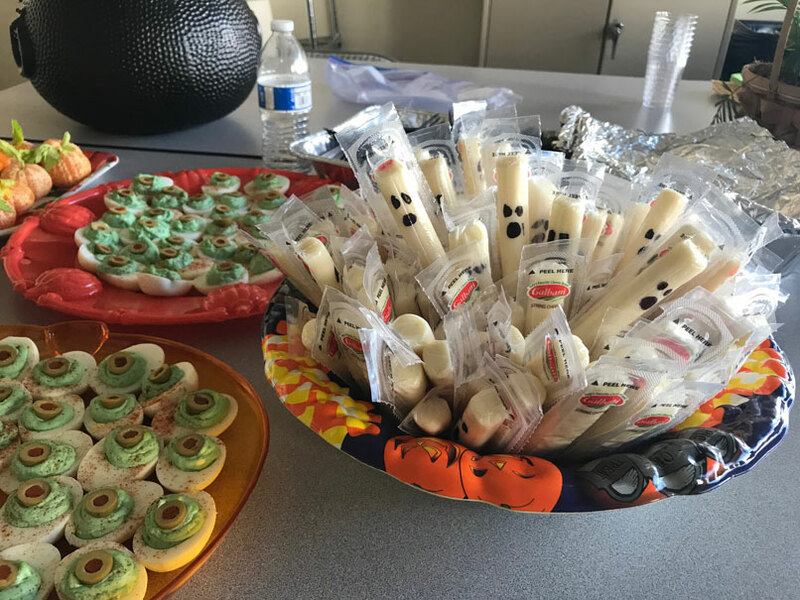 Consumers from all three Core Programs enjoyed socializing and testing their skills at our Carnival and Ice Cream Social that we hosted on April 18. 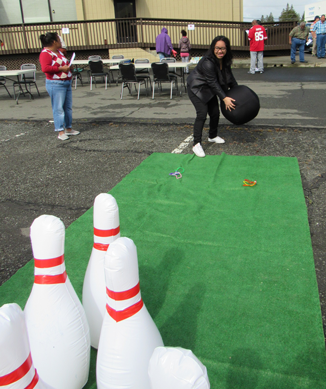 Upon arriving, Consumers received their "Passport to Fun," a colorful program that listed all the games set up for their pleasure. 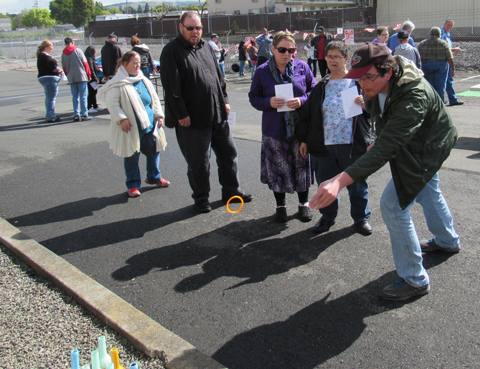 As consumers participated at each game, their passports were checked off and they earned tickets that could later be redeemed for prizes. 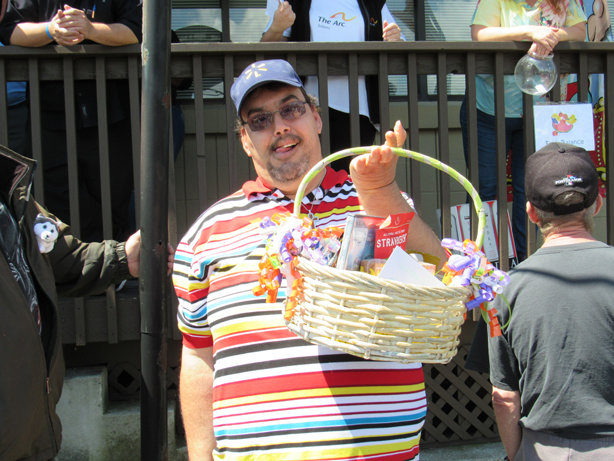 Once all the completed passports were collected, TS Consumer Richard Fowler’s passport was drawn and he won the grand prize basket! 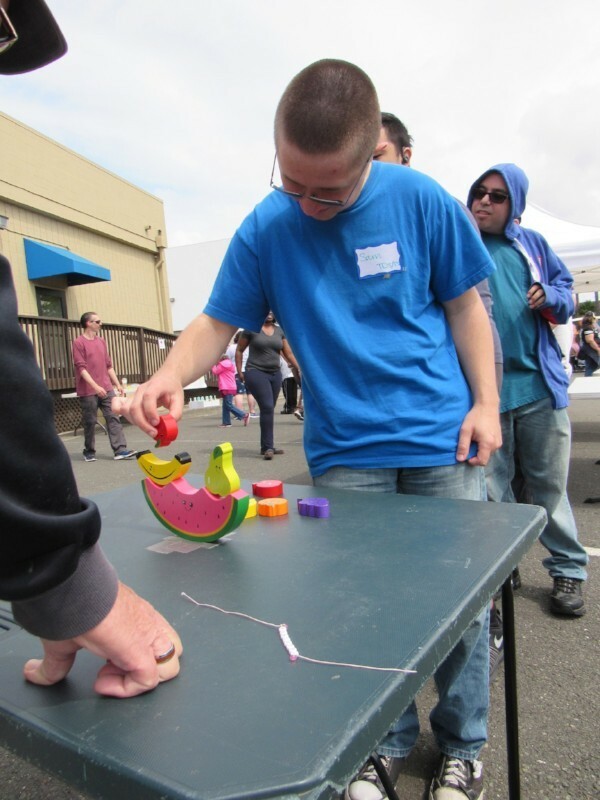 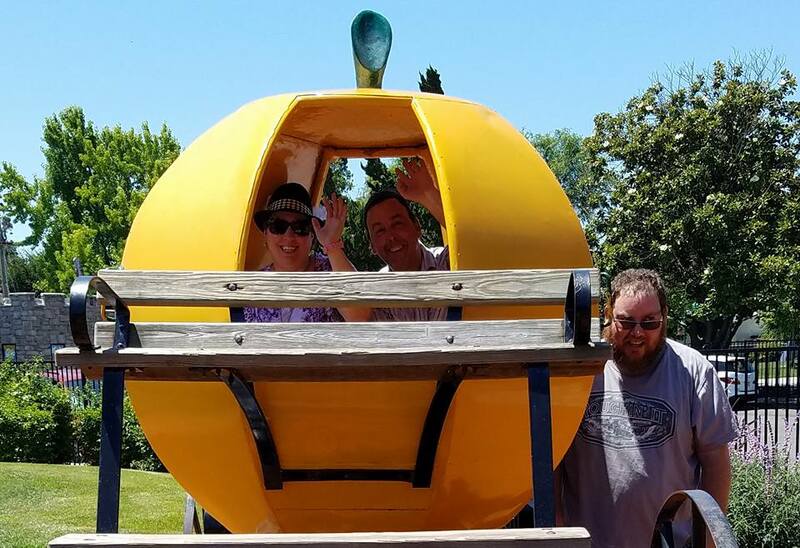 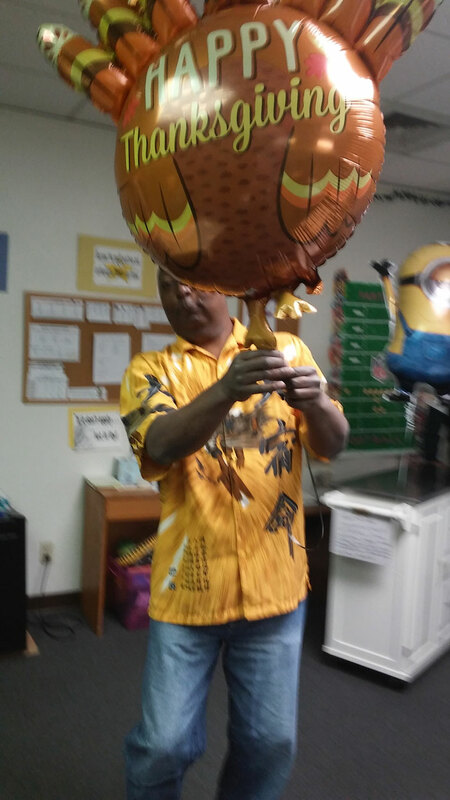 The carnival games included: Rubber Ducky Race, Blow Up Bowling, Fish in a Cup, Rolling for Race Cars, Ring Toss, Bingo, Fruit Balance, Egg in a Spoon Race, and Guess How Many Gum Balls. 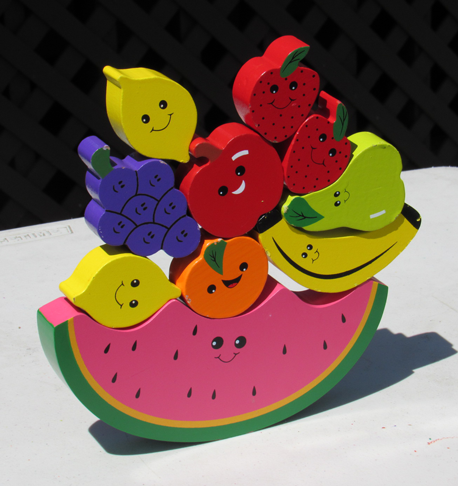 These games tested a variety of gross and fine motor skills, counting, balancing, and manual dexterity. 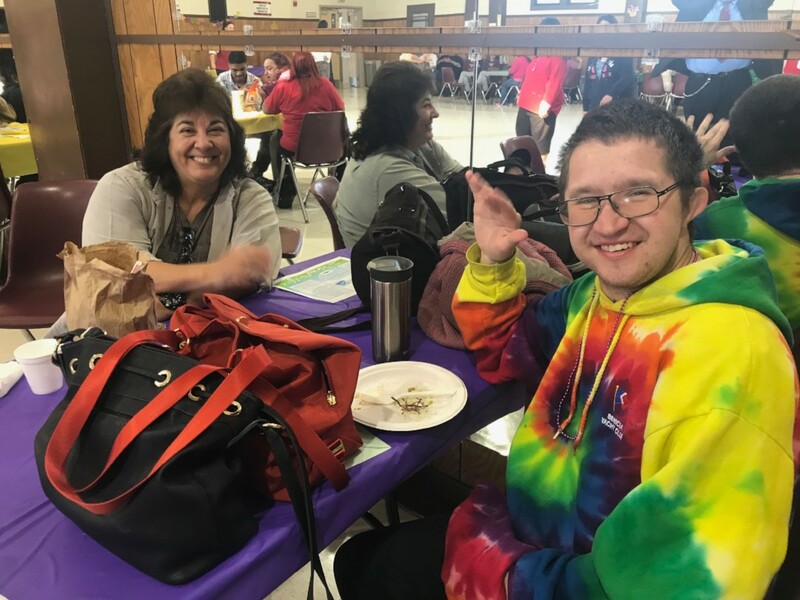 When consumers wanted to take a break from the games, they enjoyed each other’s company while eating an ice cream Sundae, prepared by the TS staff. 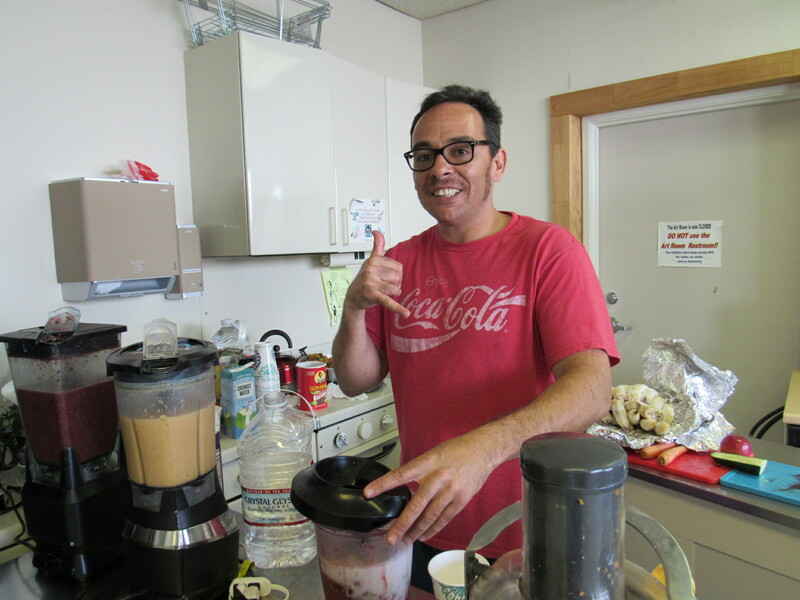 We offered a few different flavors of ice cream, including lactose free and no sugar added varieties, and a myriad of tasty toppings. 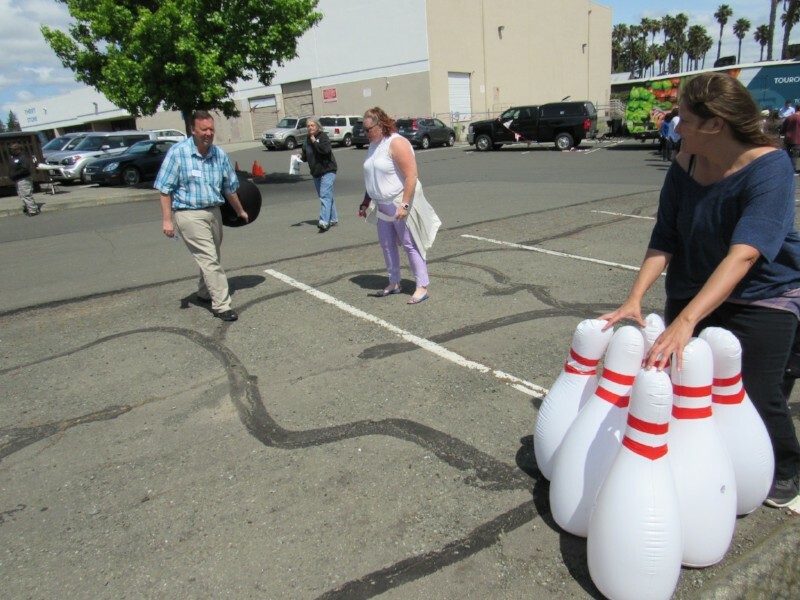 The Arc-Solano is happy to host three major consumer events each year. 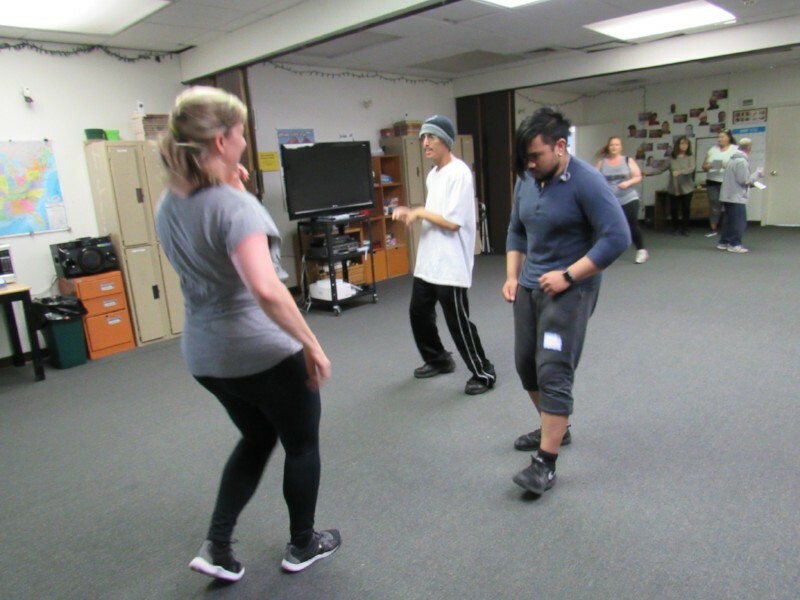 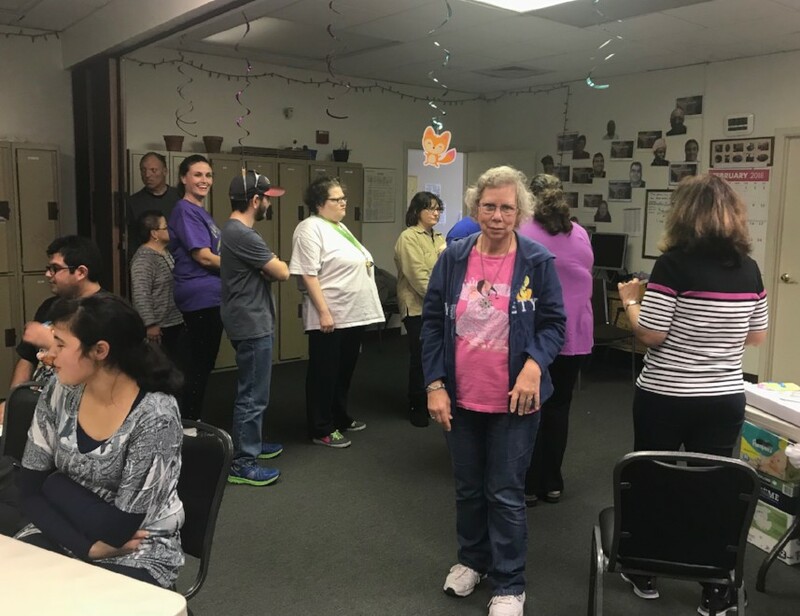 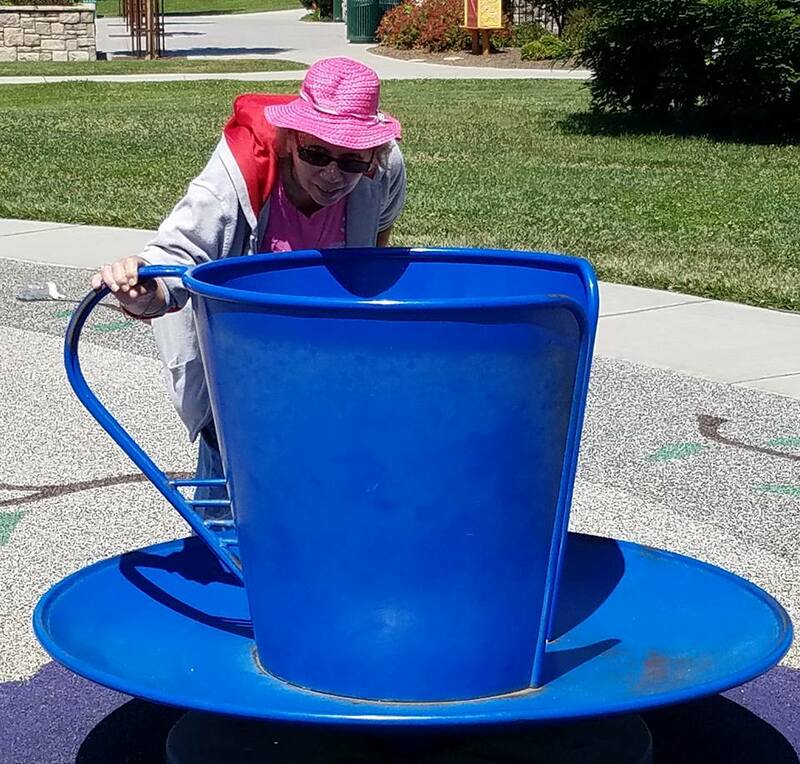 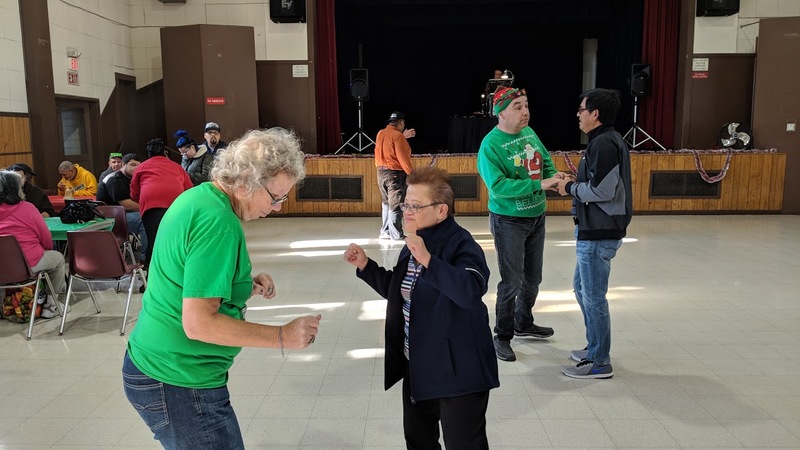 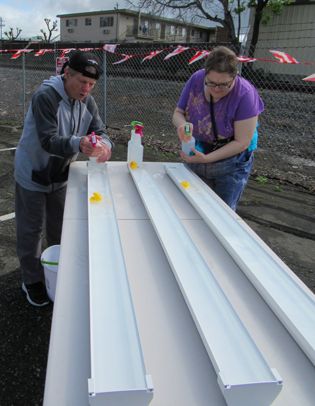 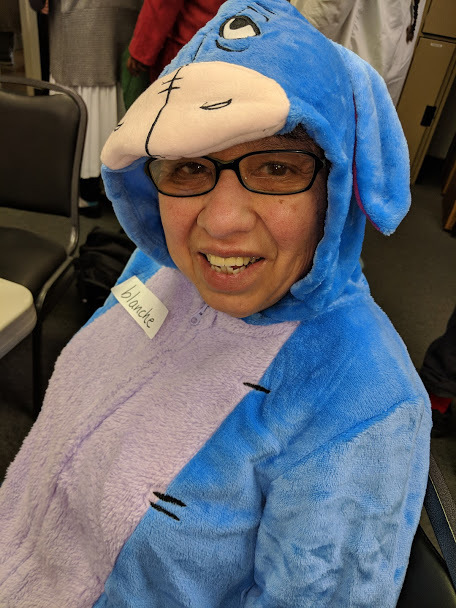 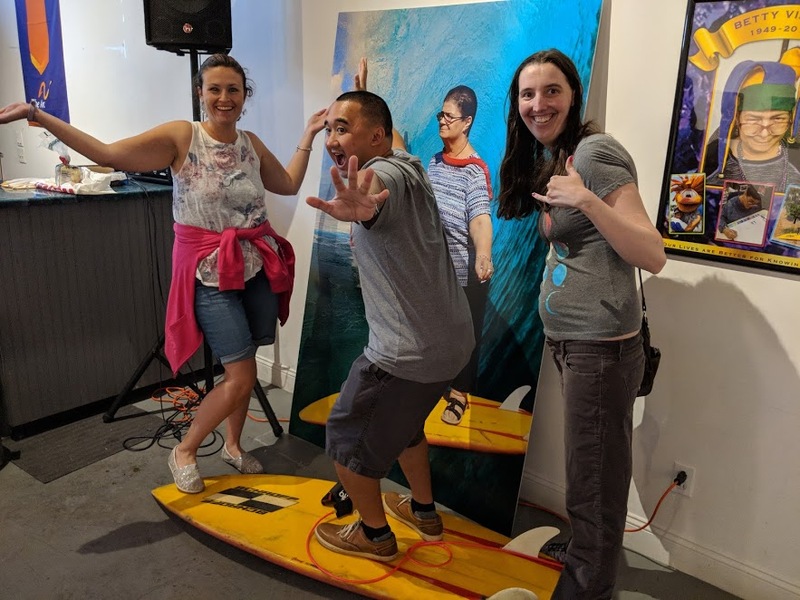 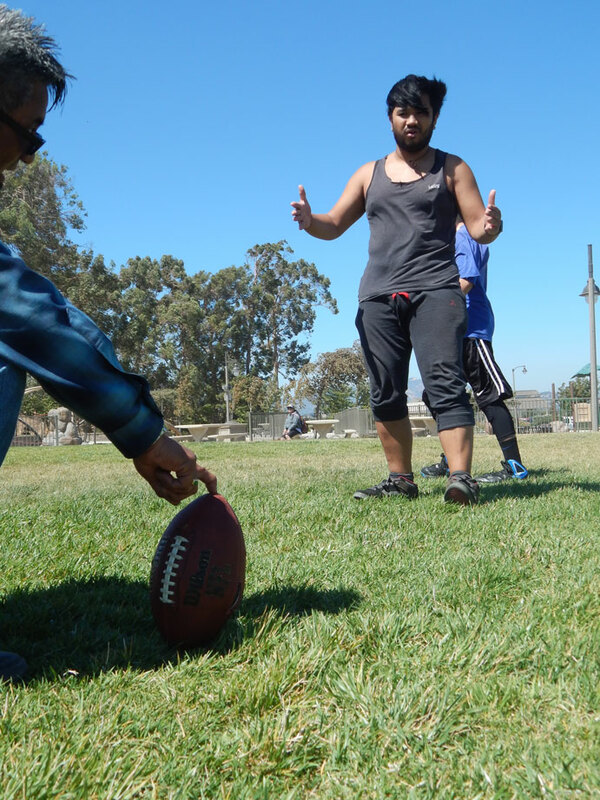 This gives our participants a chance to practice social skills in a fun and relaxed atmosphere, as well as reconnect with friends whom they may not see very often. 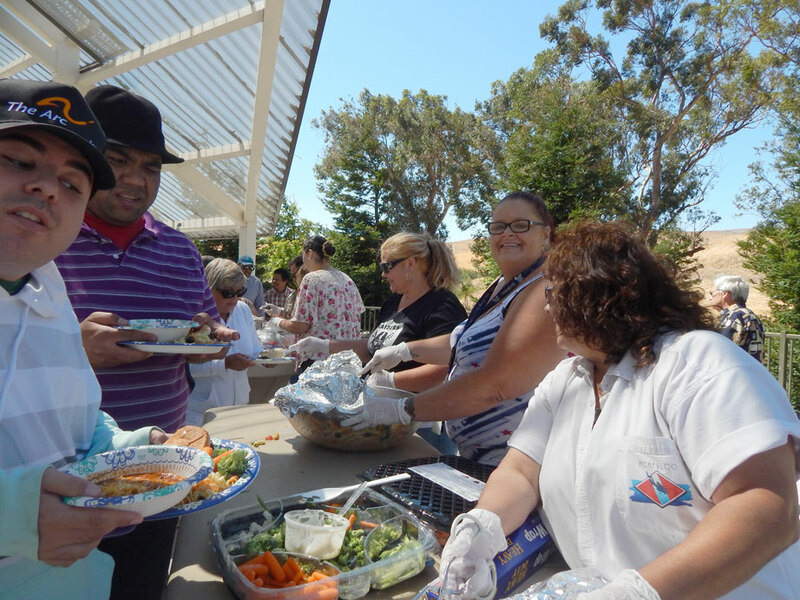 Our next event will be our summer BBQ in late August/early September in Fairfield and then we’ll host our annual Holiday Feast in early December.